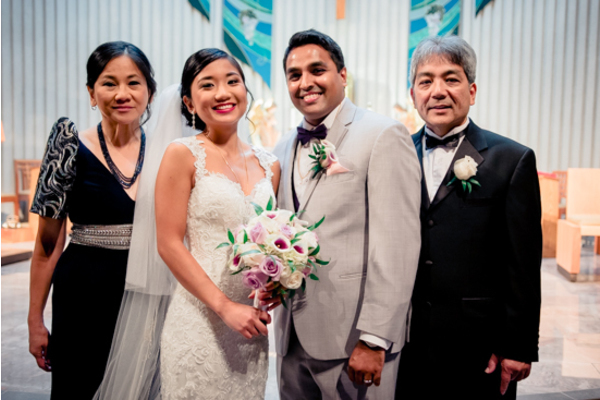 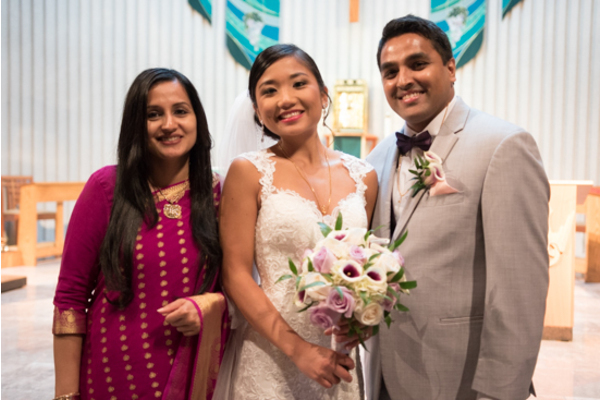 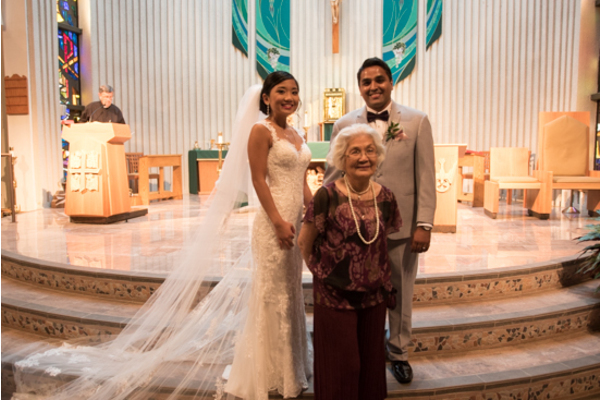 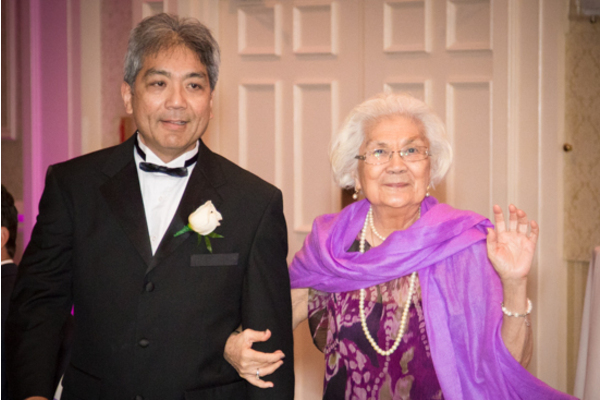 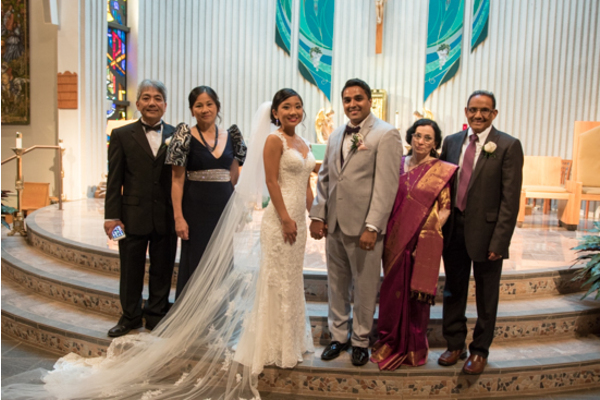 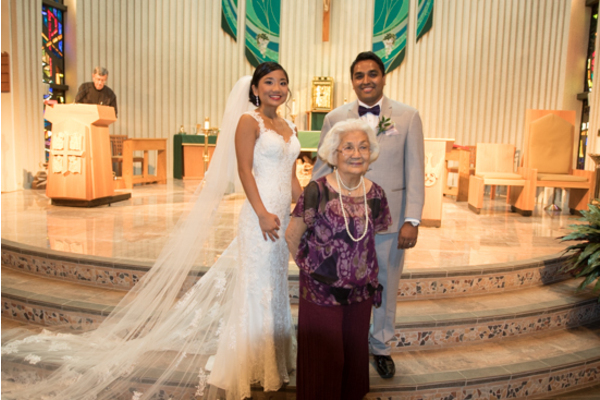 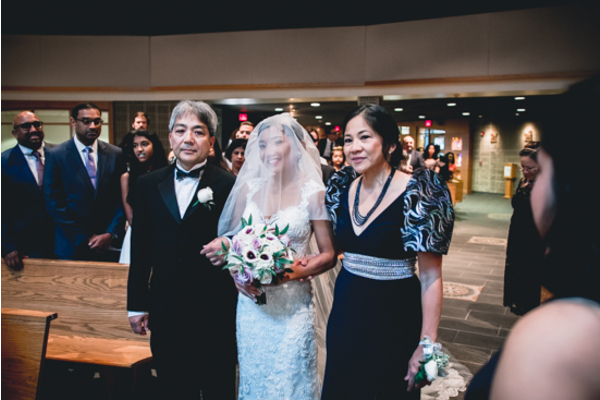 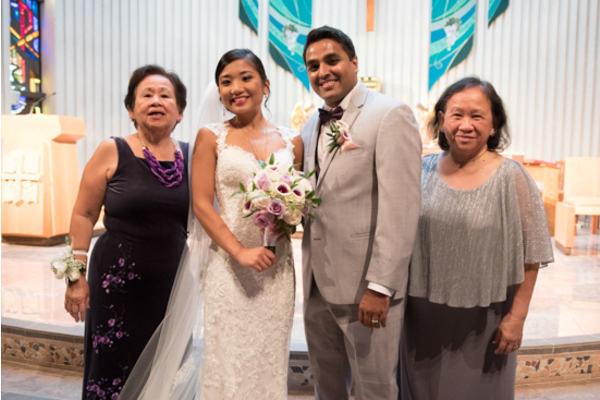 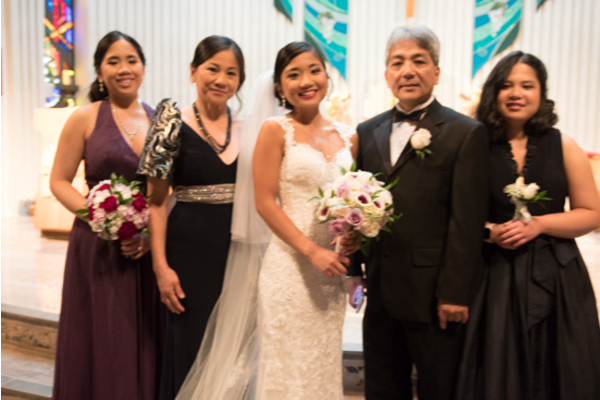 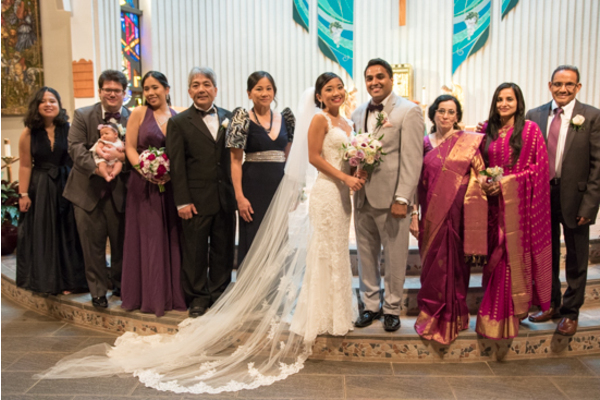 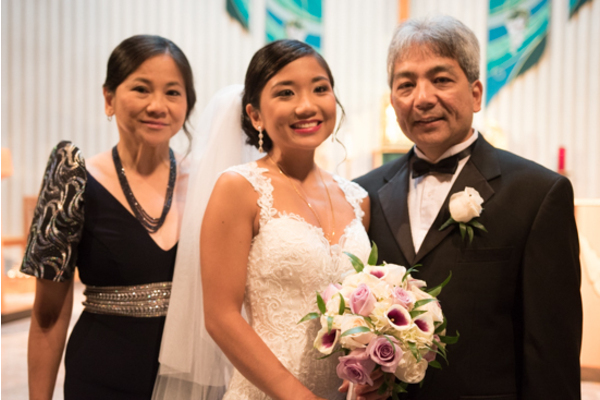 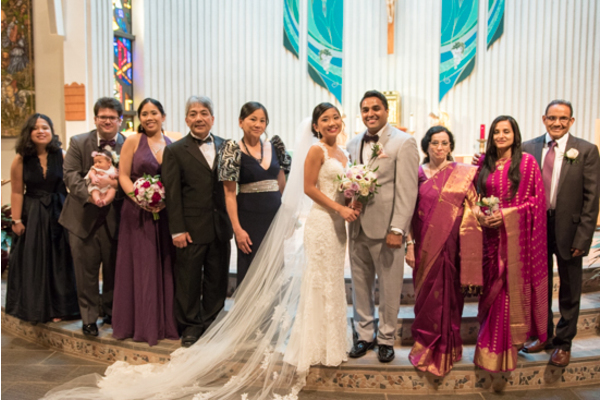 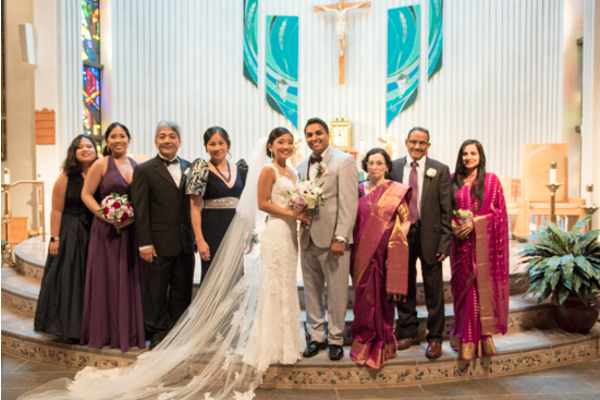 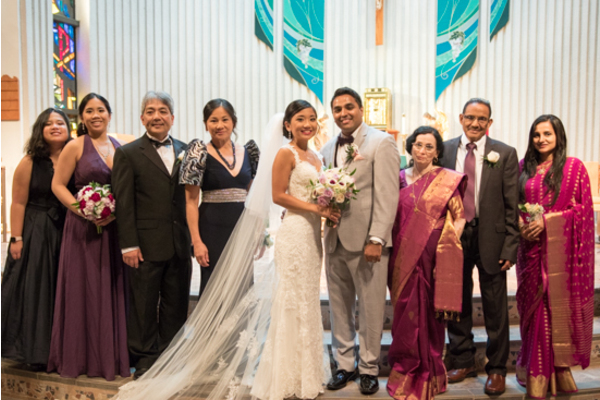 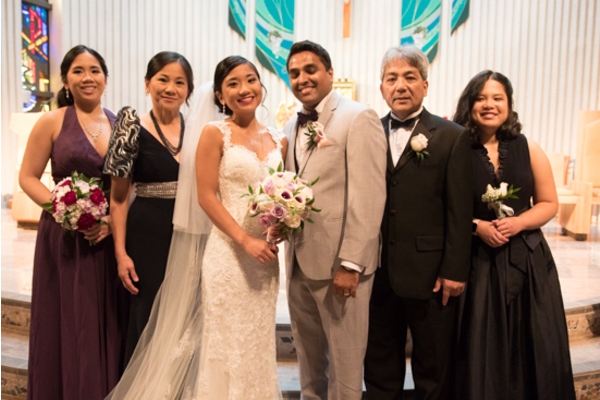 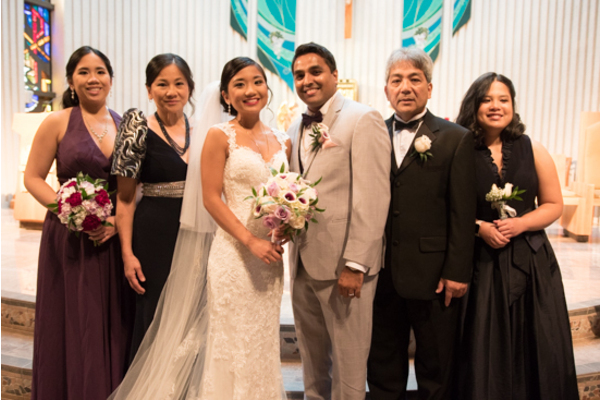 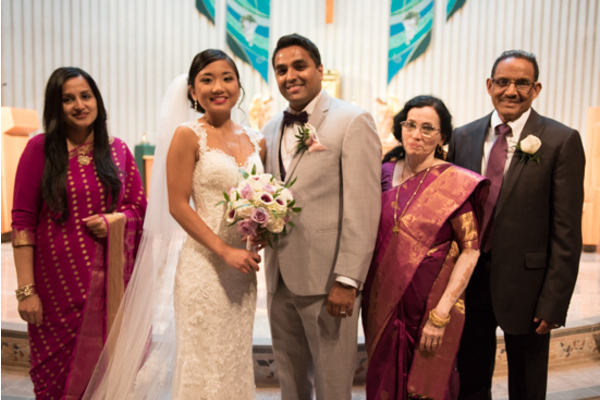 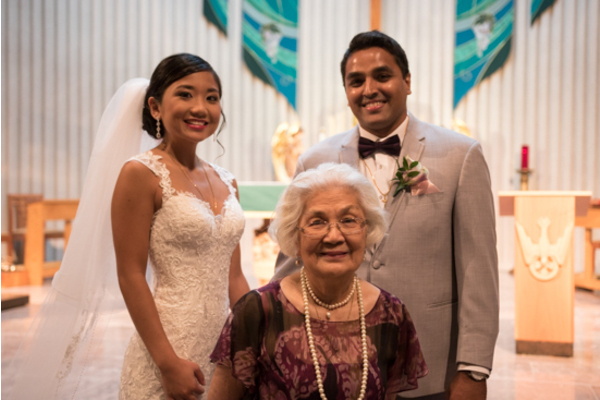 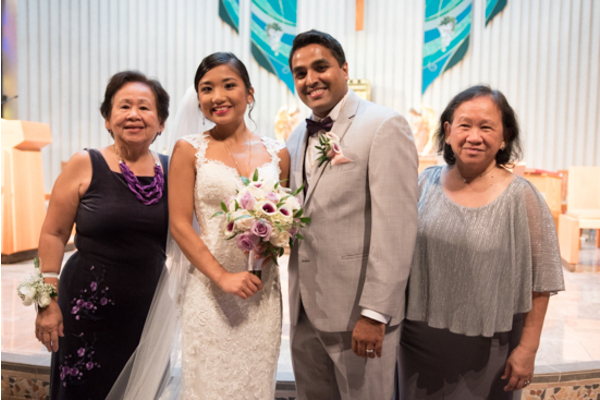 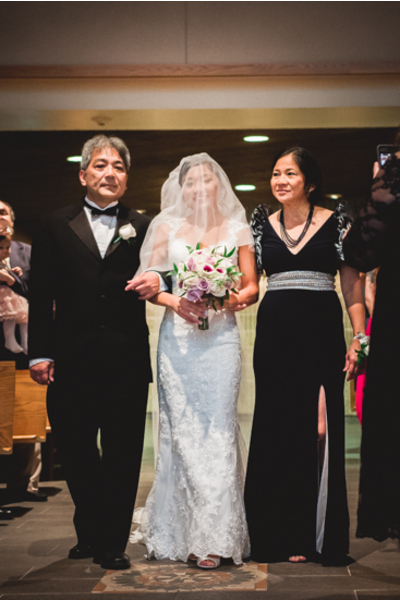 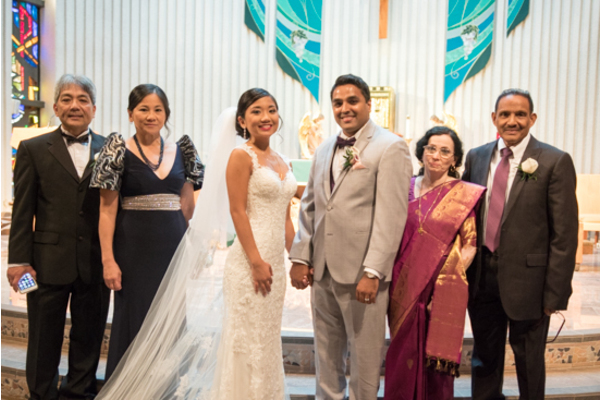 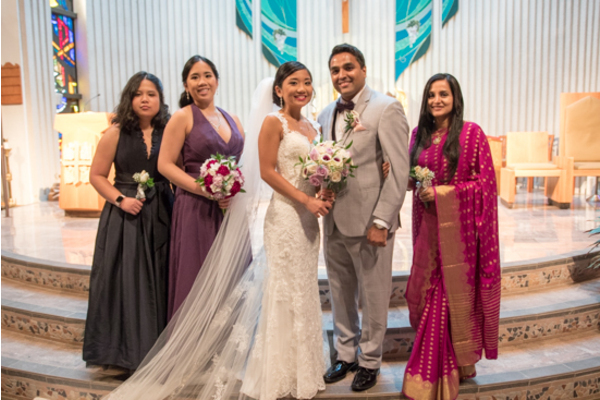 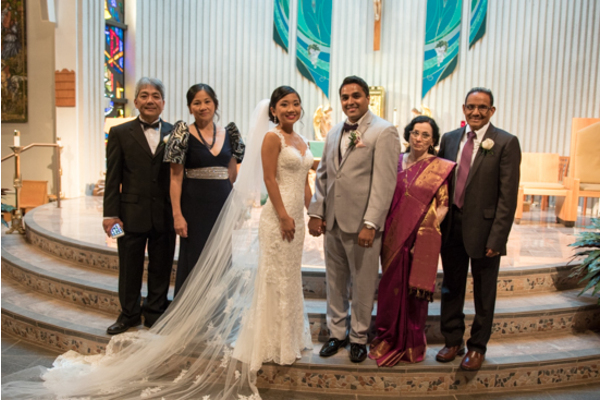 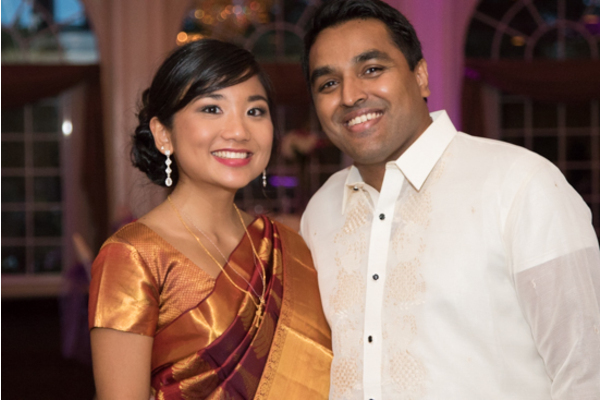 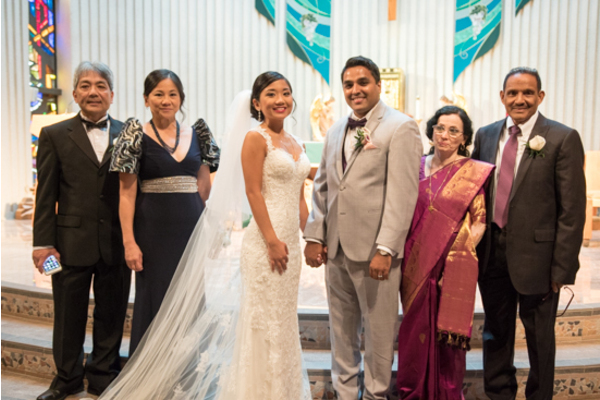 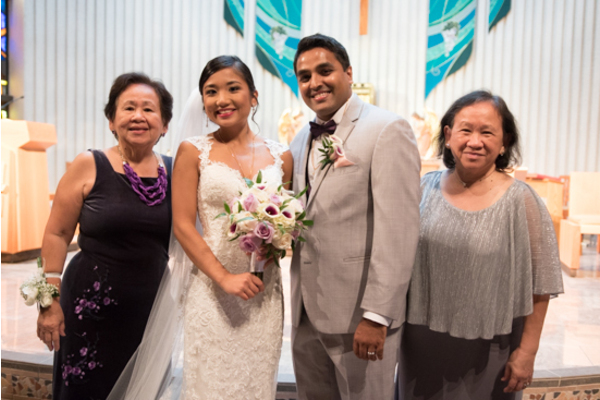 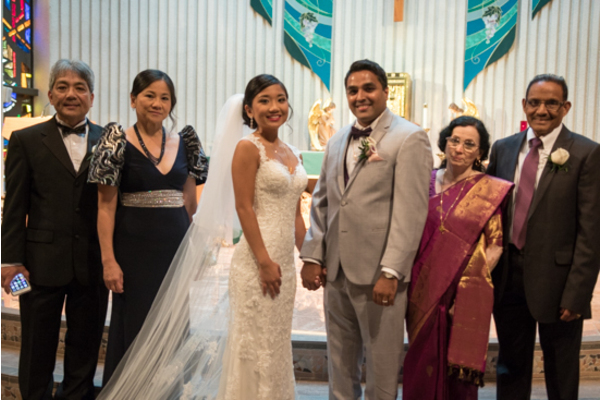 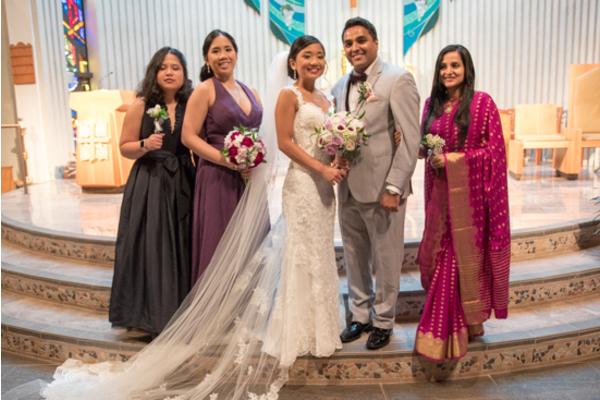 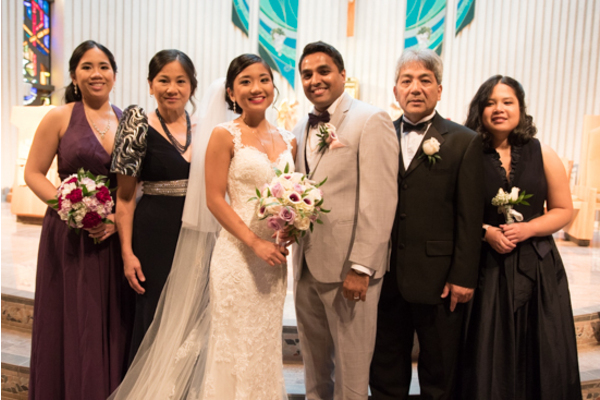 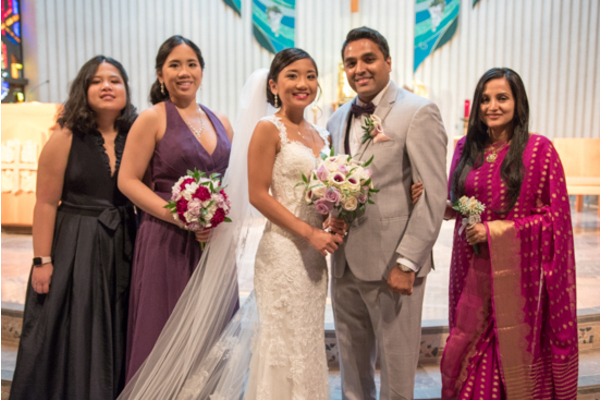 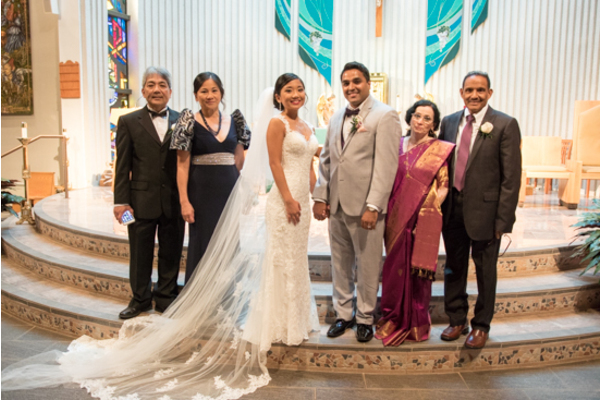 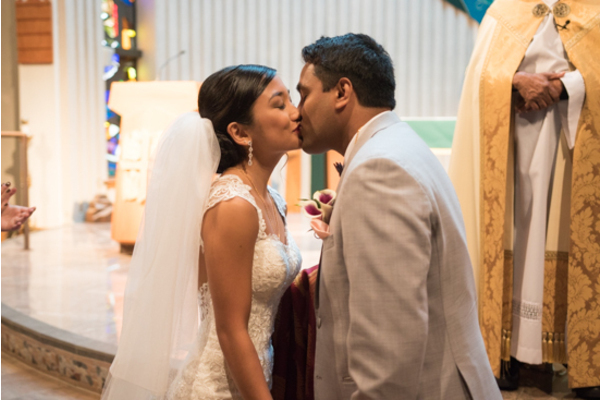 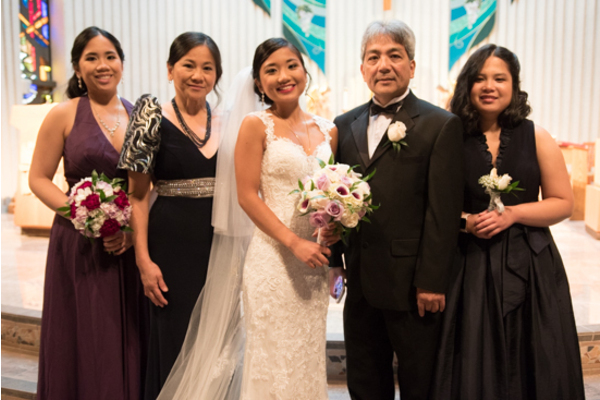 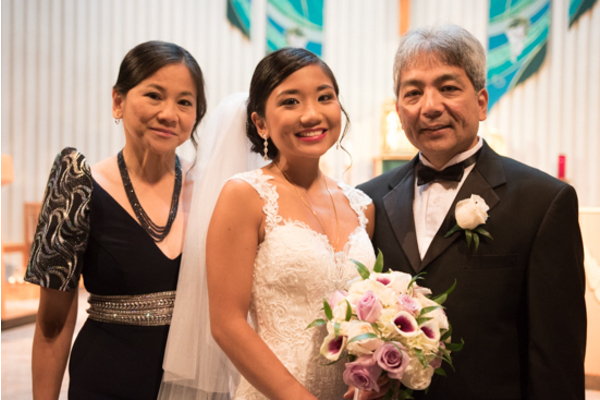 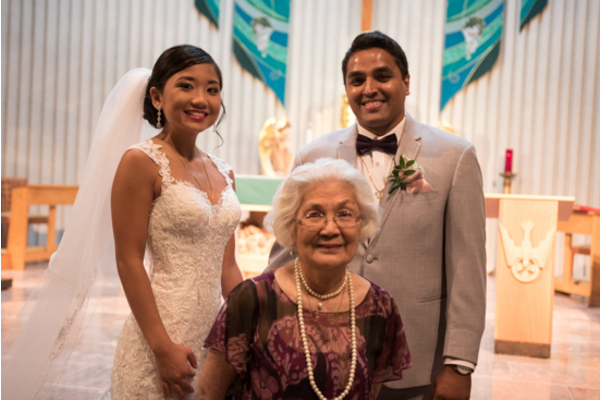 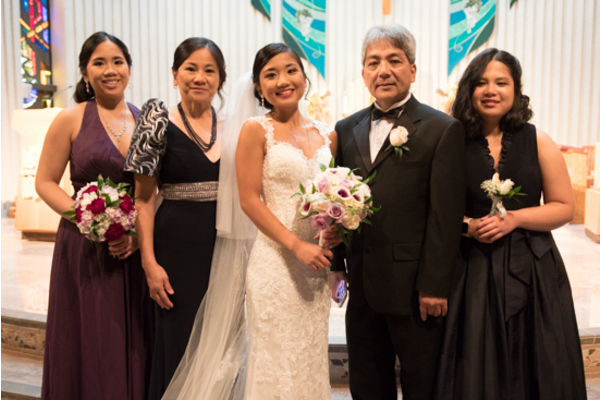 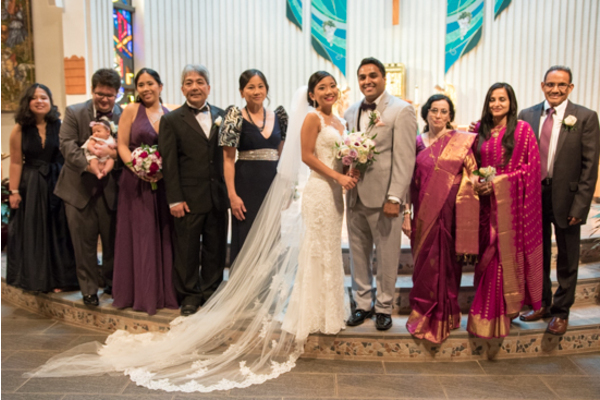 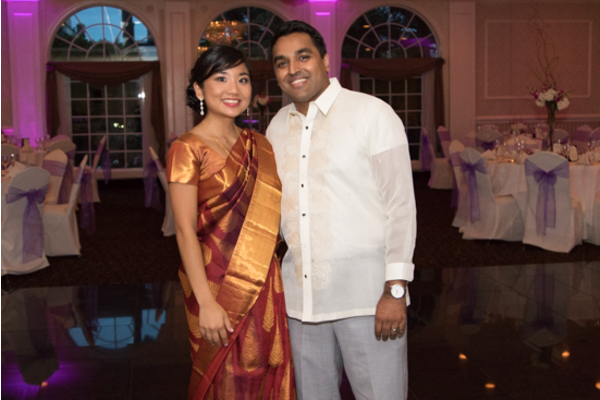 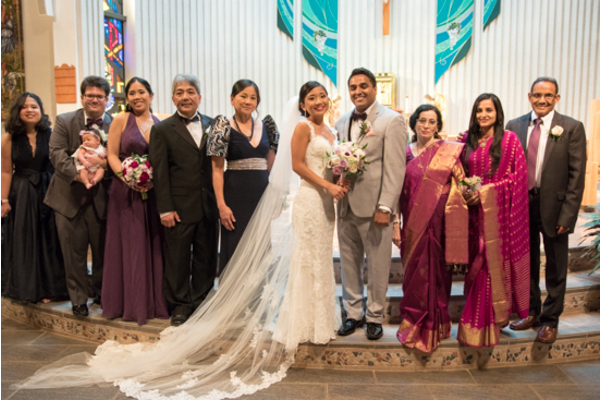 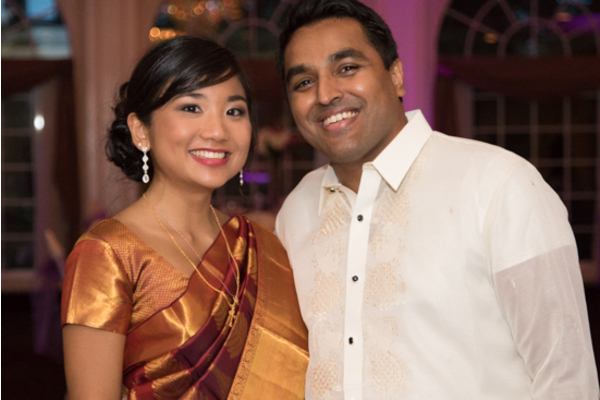 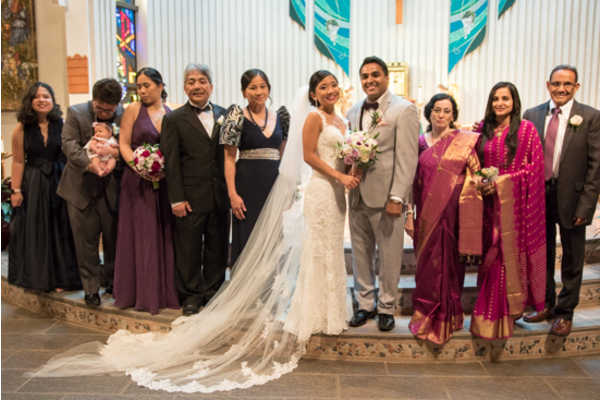 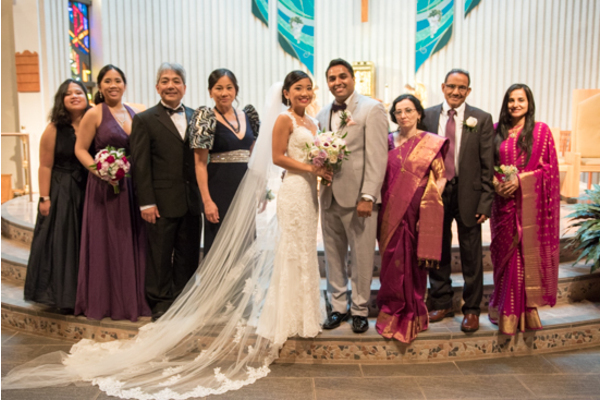 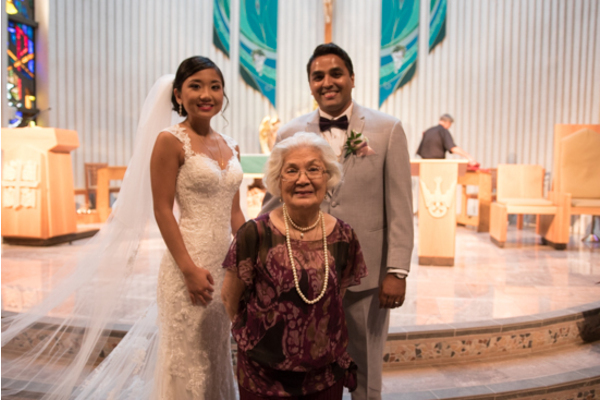 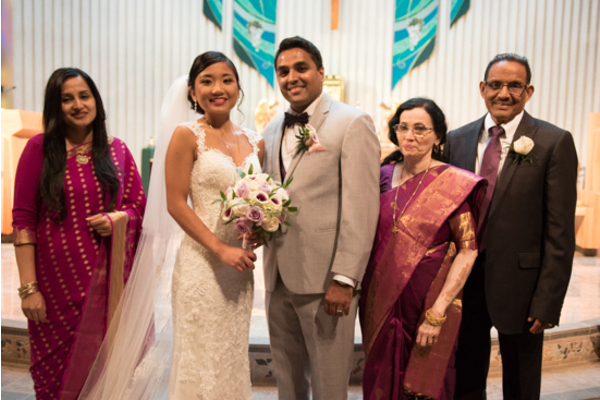 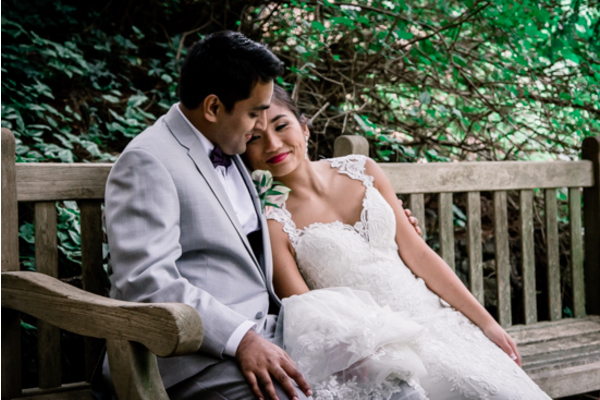 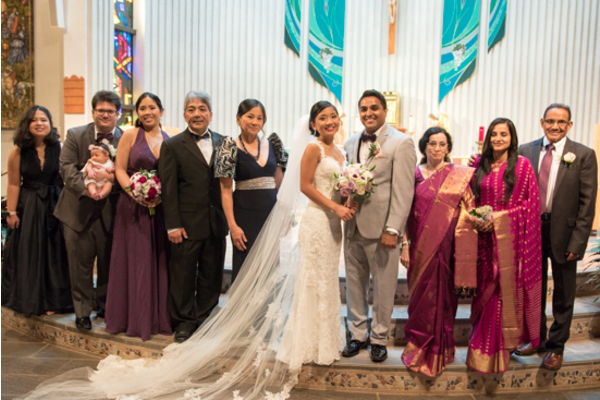 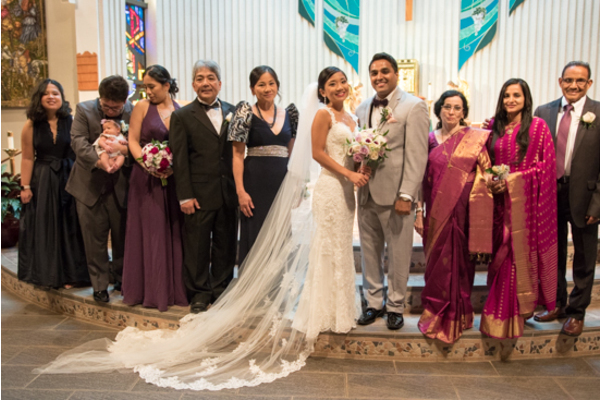 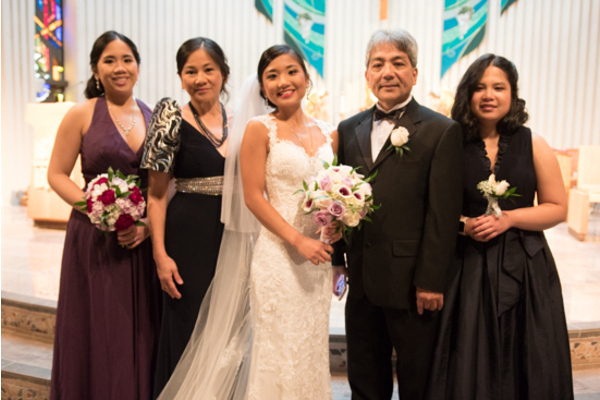 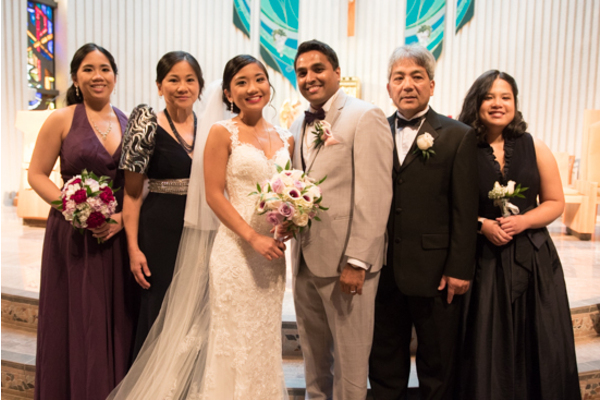 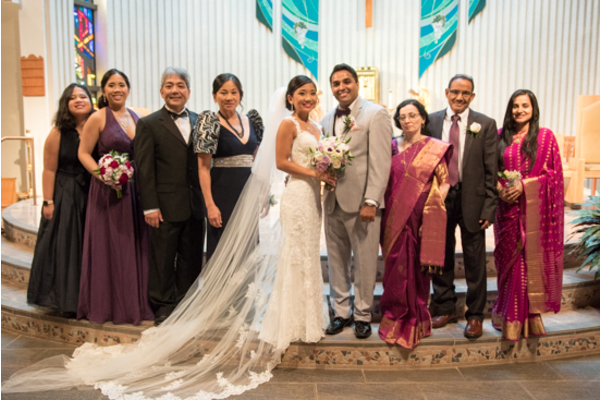 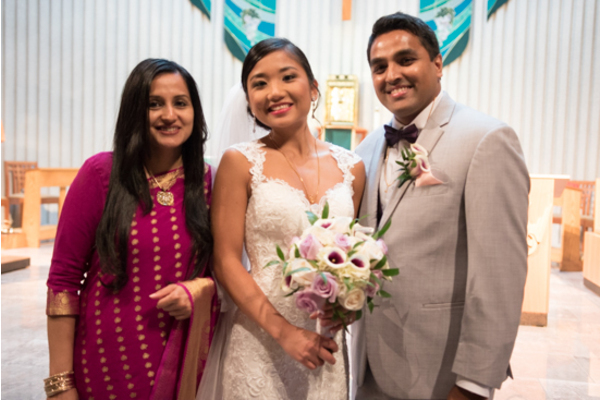 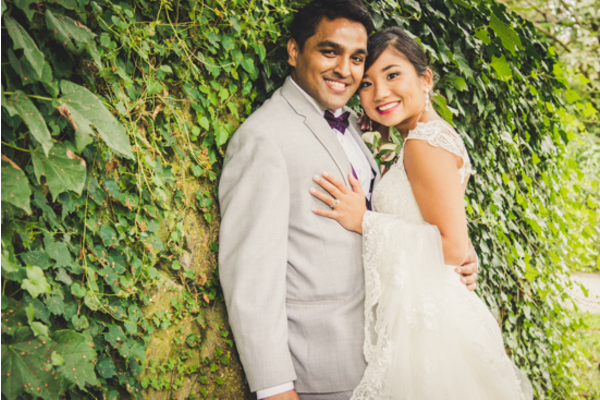 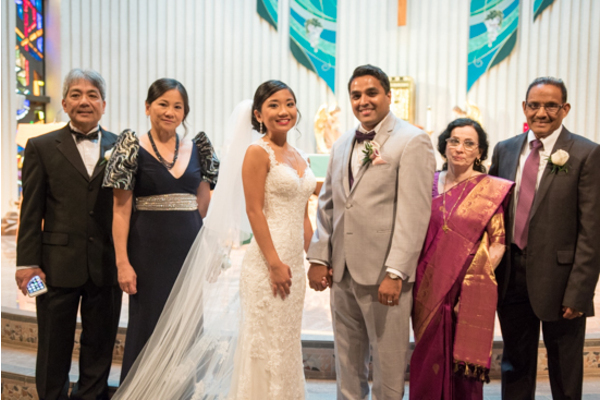 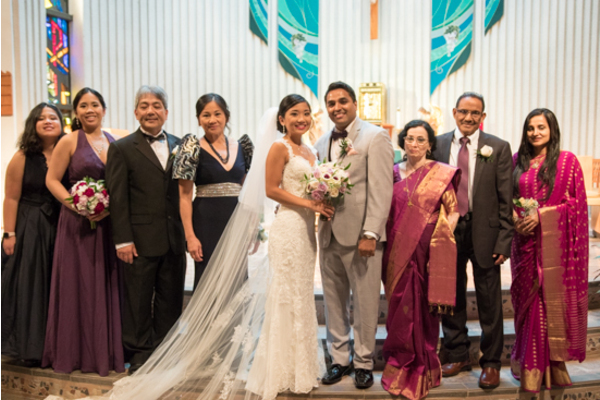 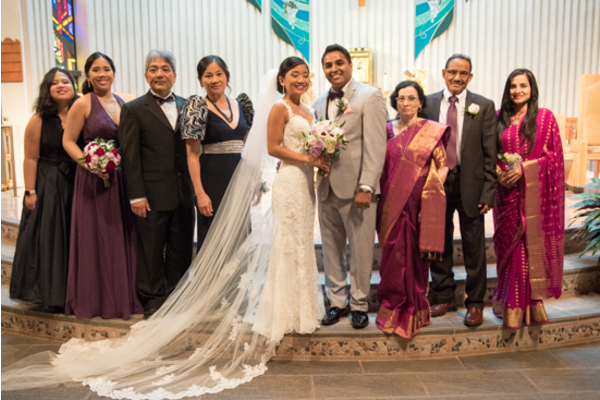 Congratulations to Clarissa and Saiju on their beautiful marriage! 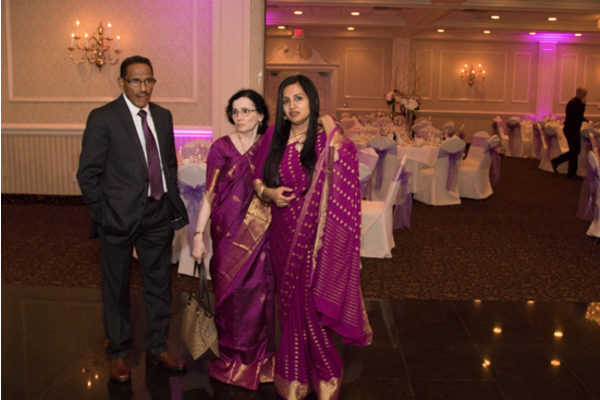 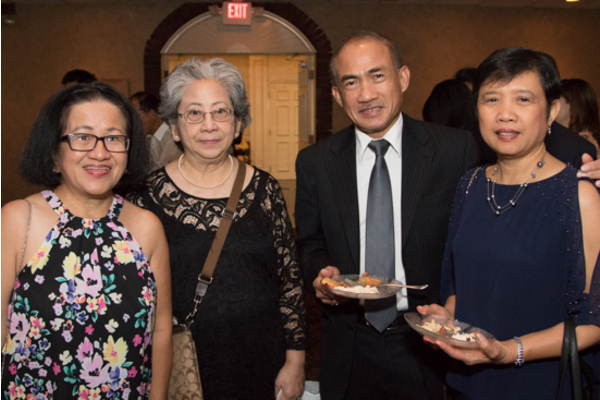 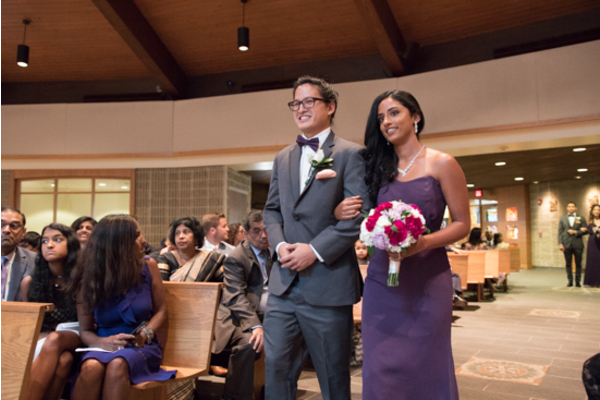 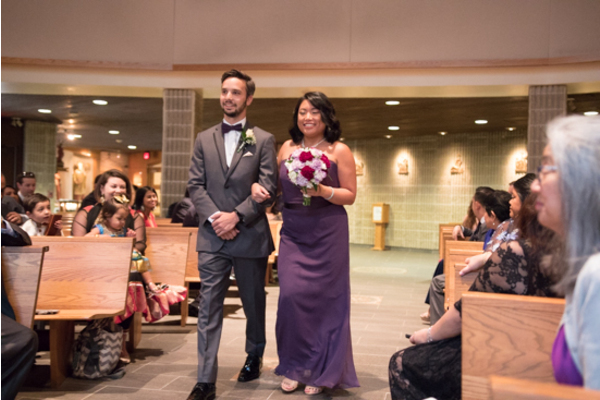 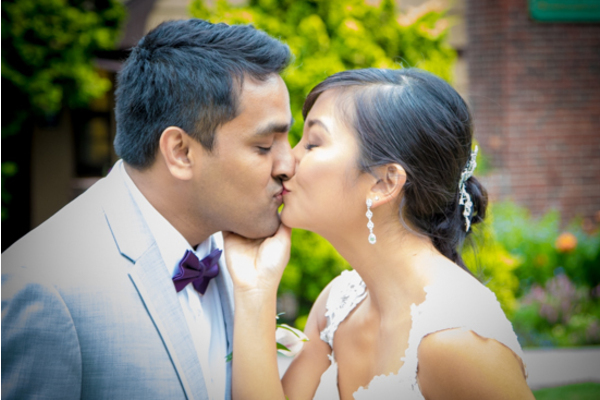 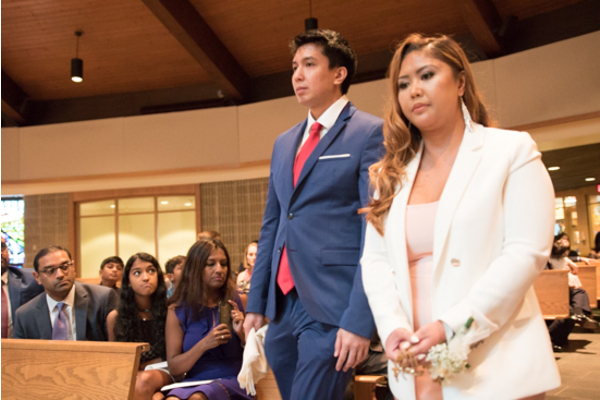 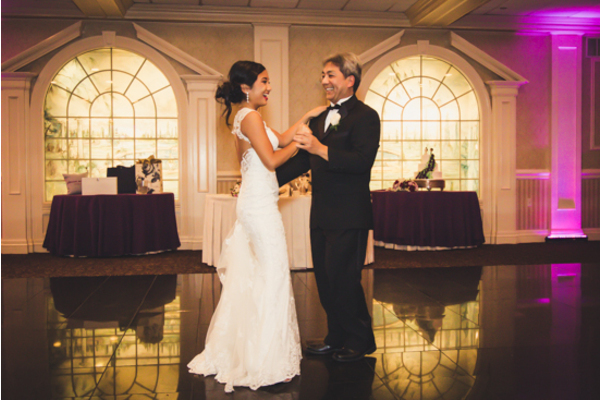 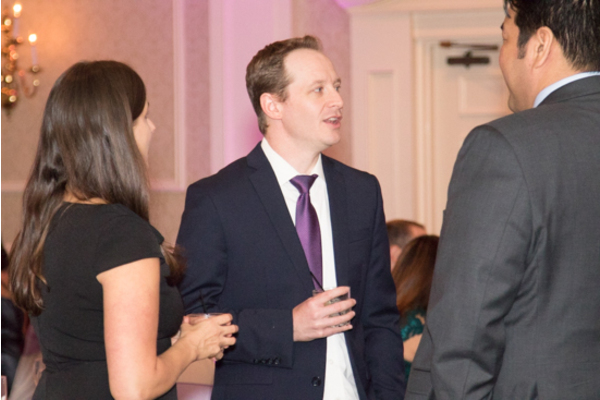 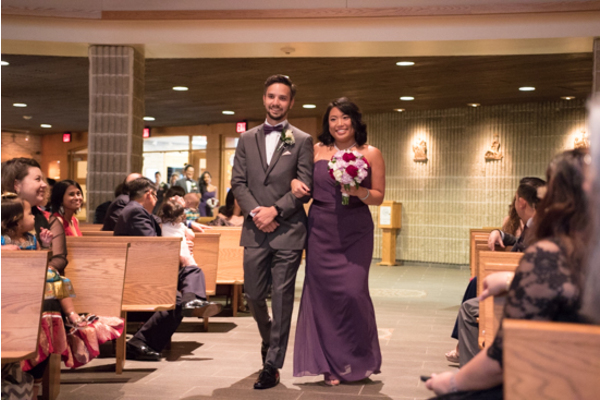 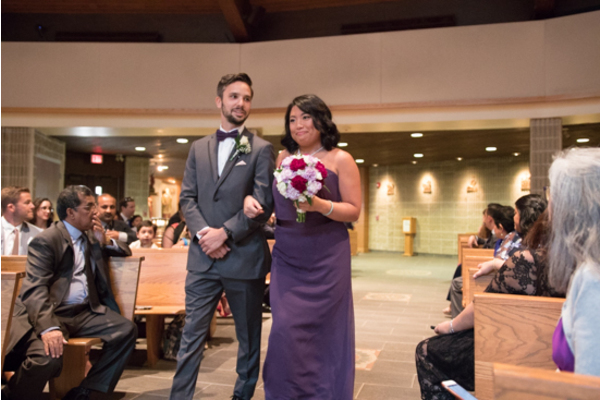 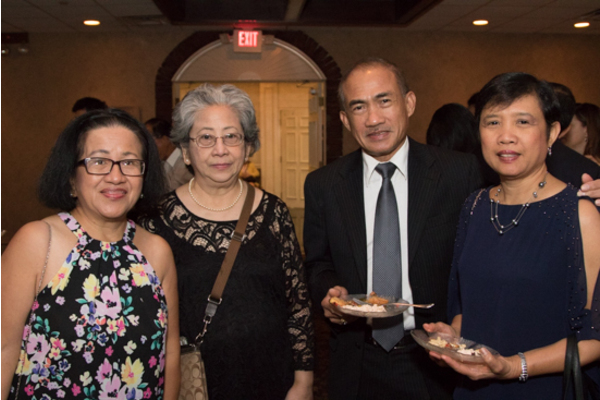 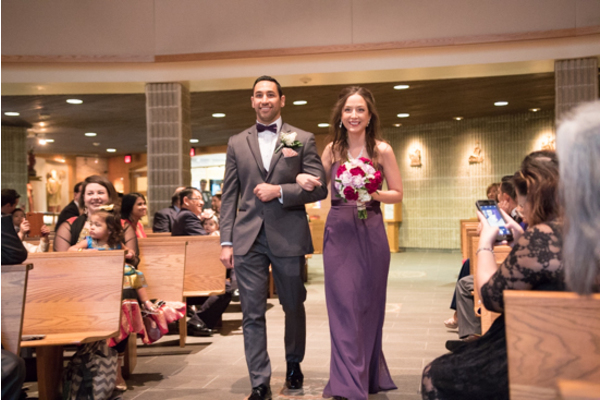 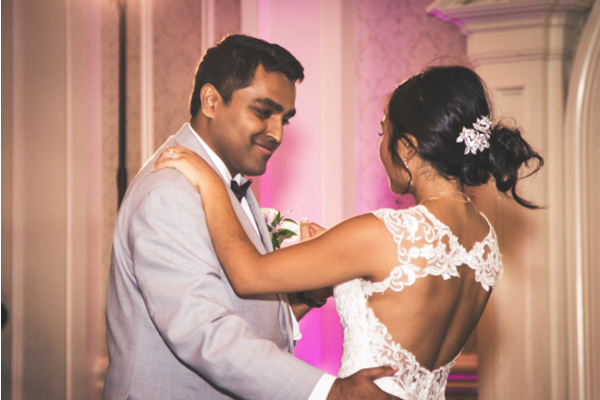 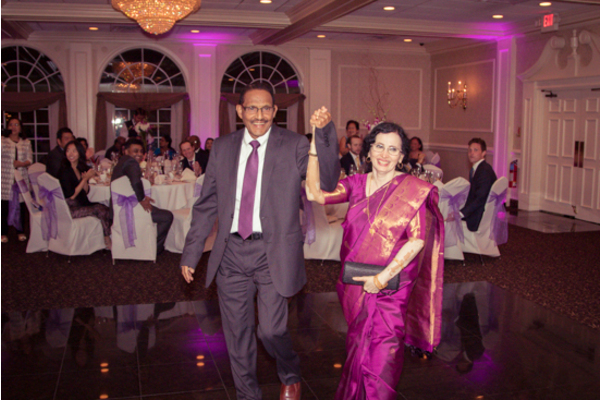 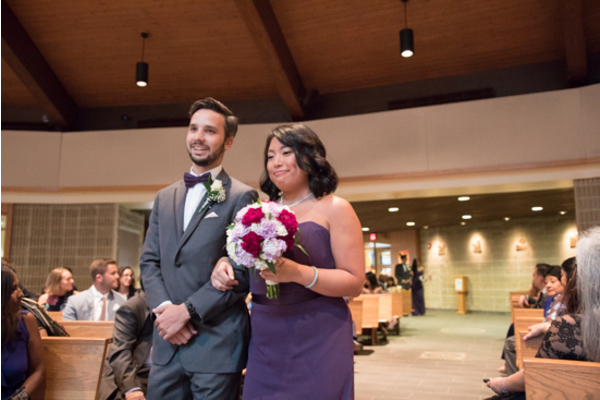 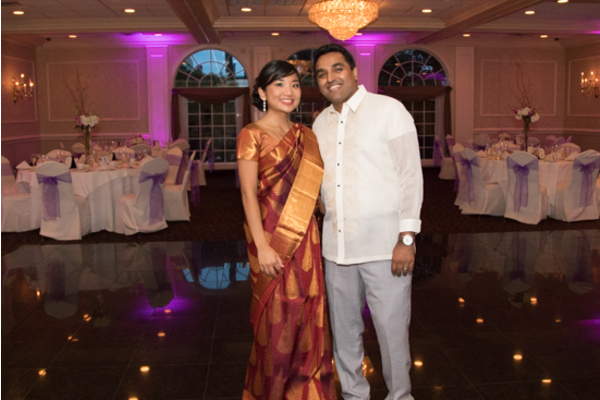 This lovely couple officially became one on September 8th 2019 at The Westwood in Garwood, NJ. 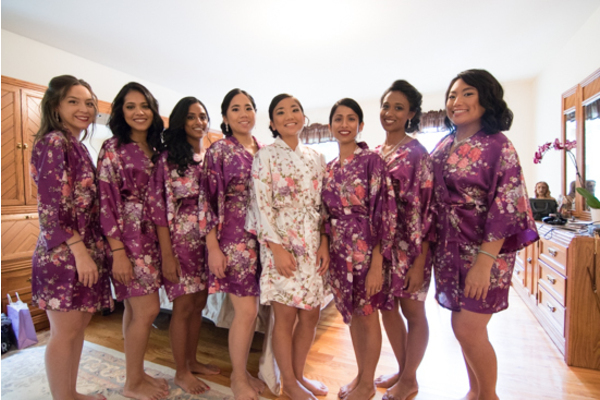 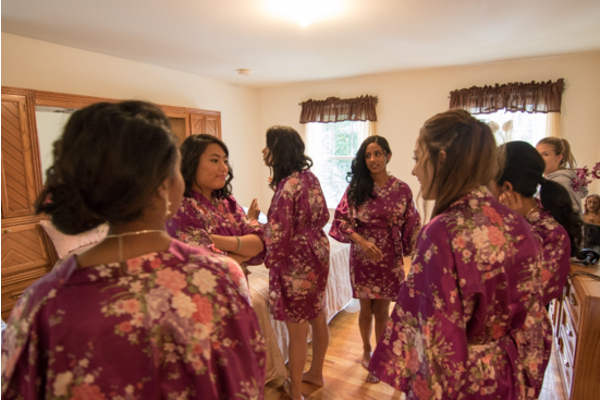 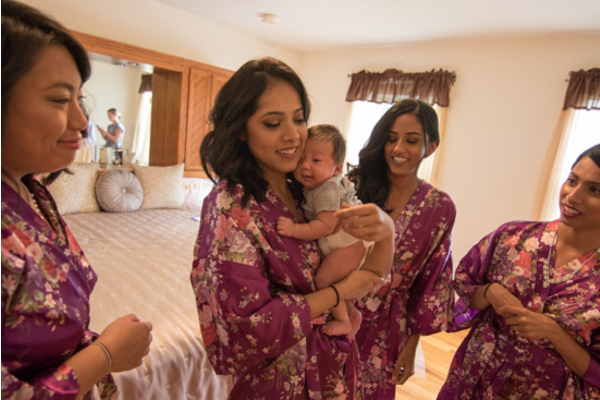 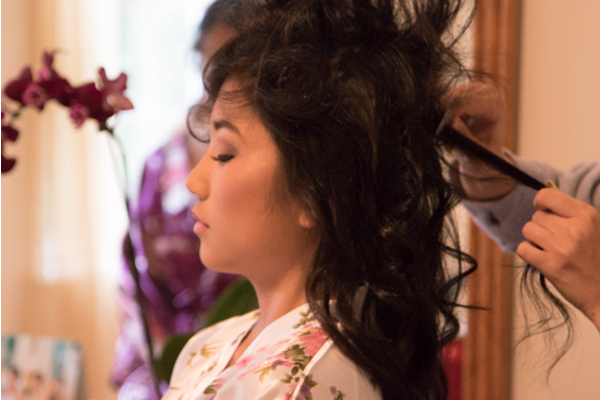 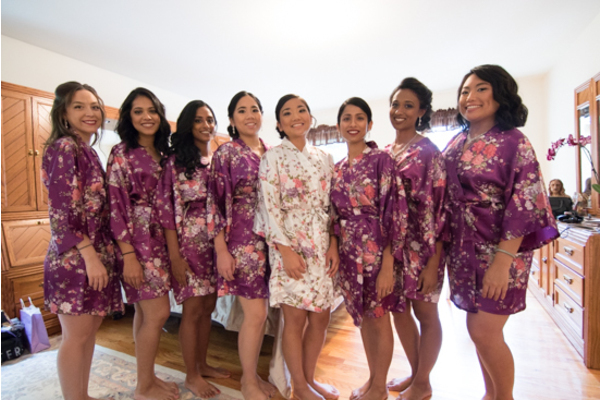 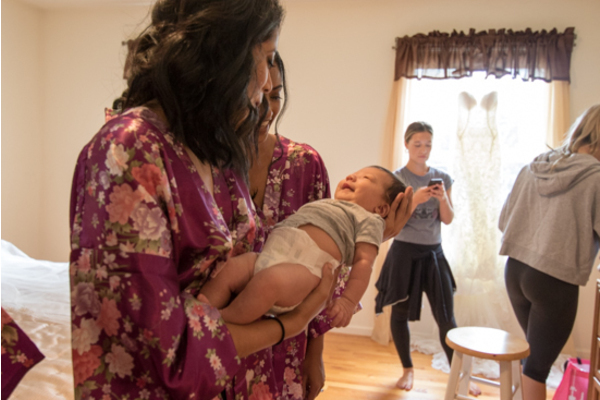 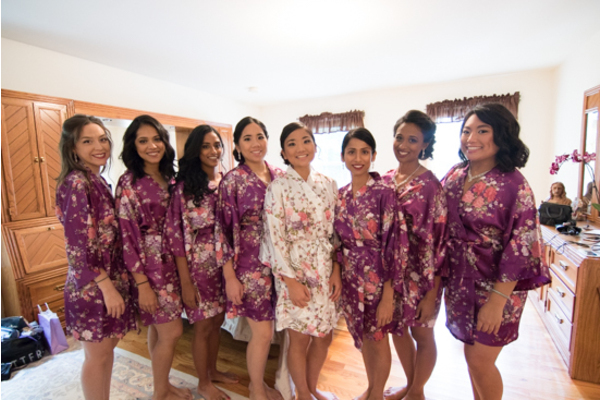 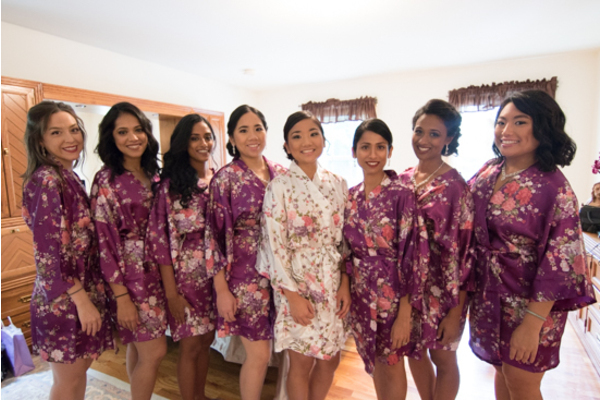 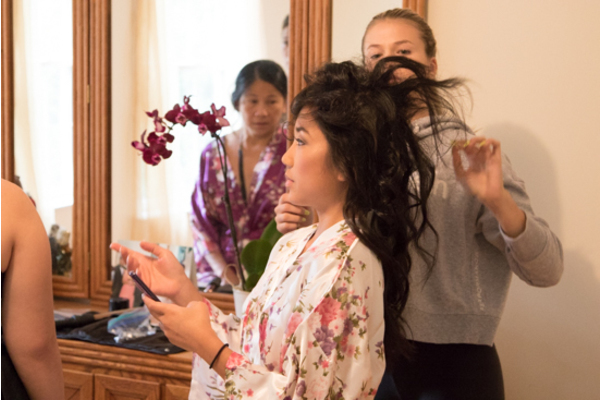 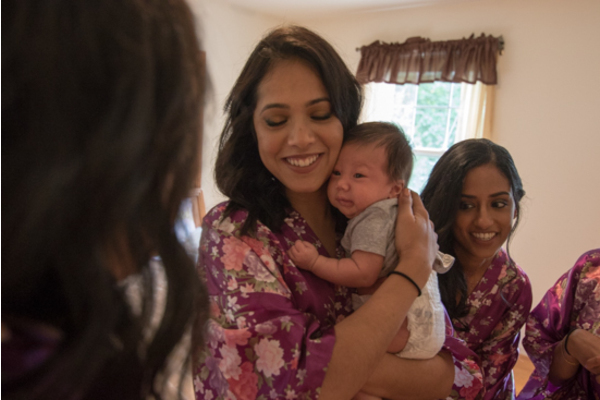 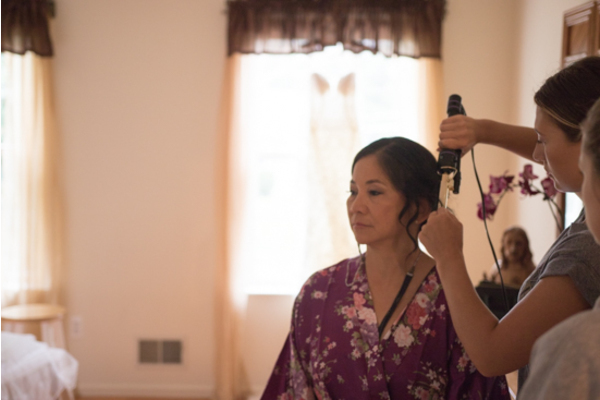 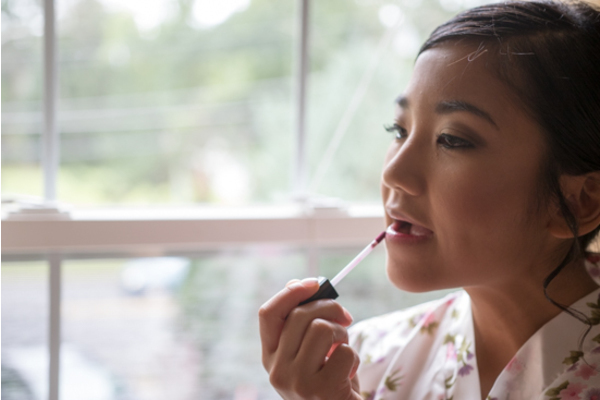 Clarissa and her bridesmaids started the day in matching floral robes and getting their hair and makeup done. 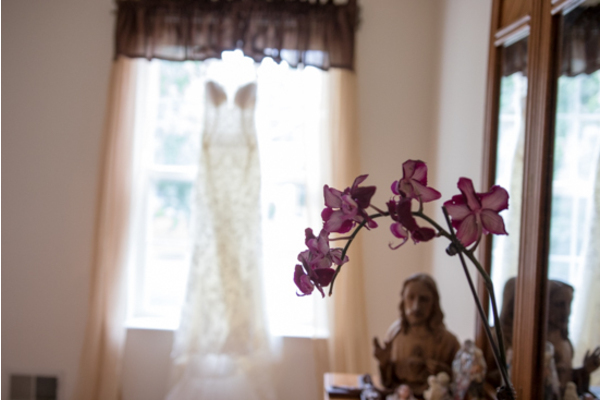 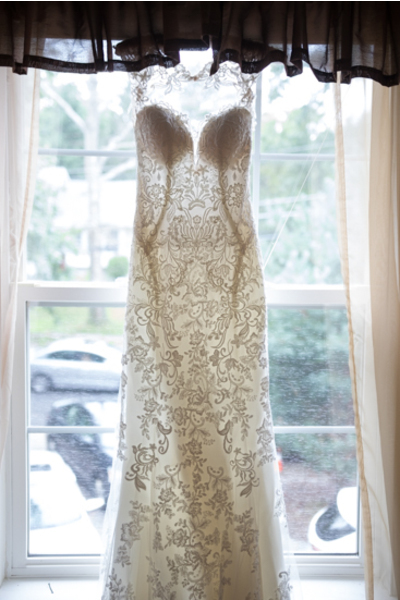 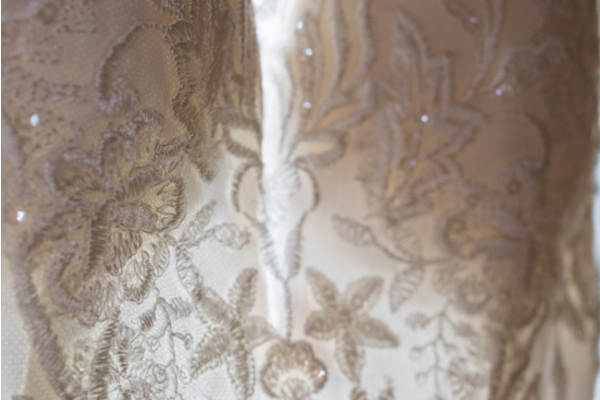 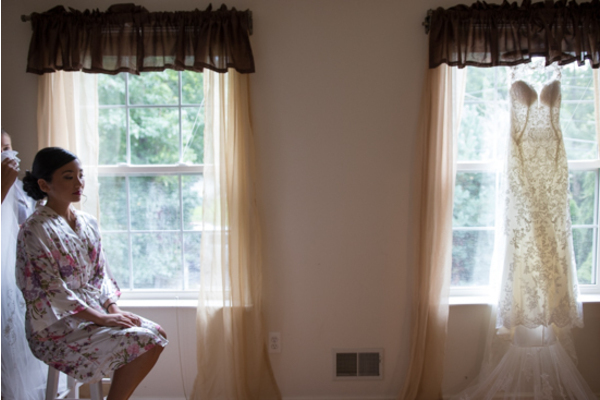 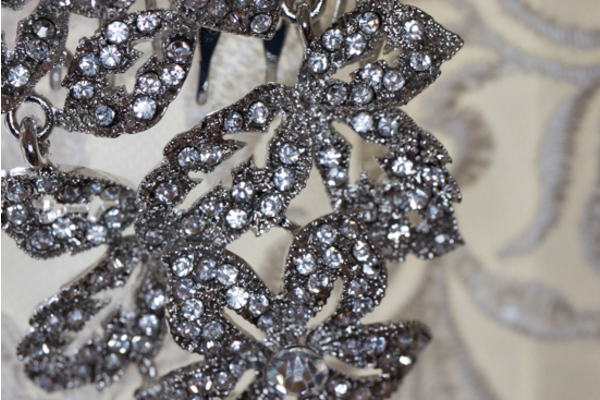 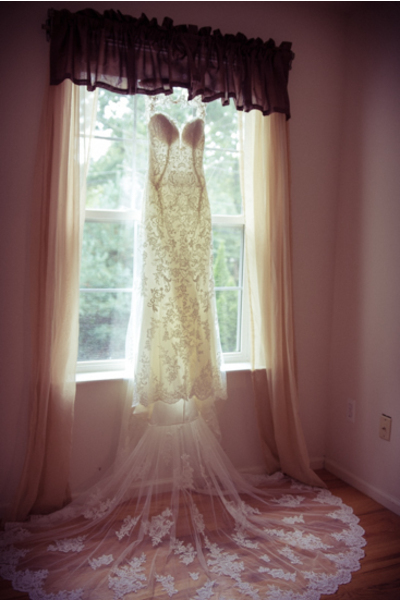 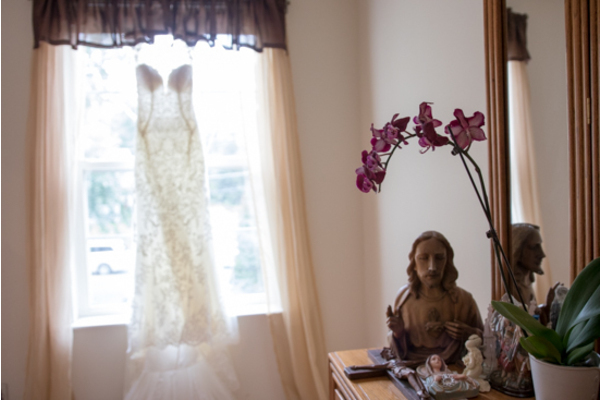 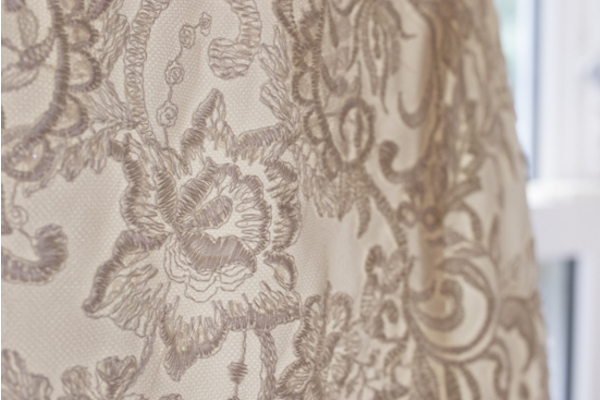 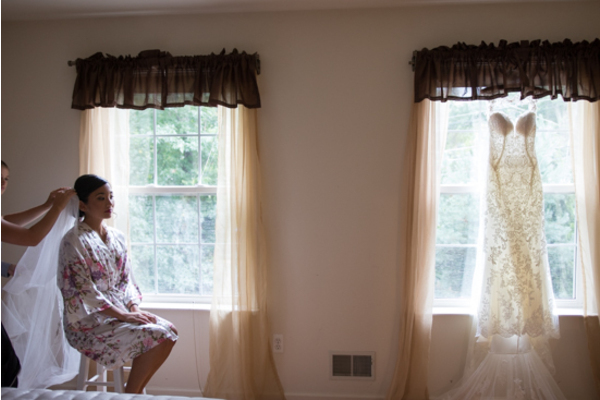 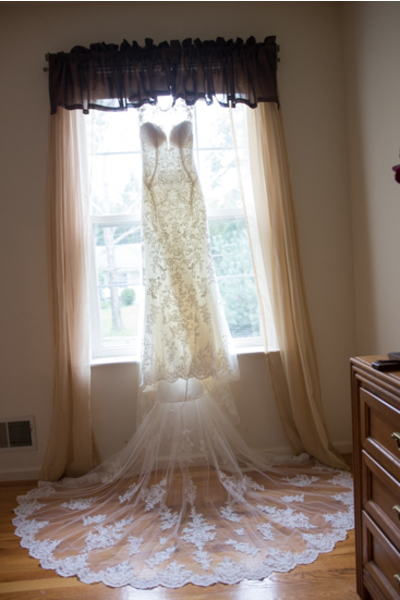 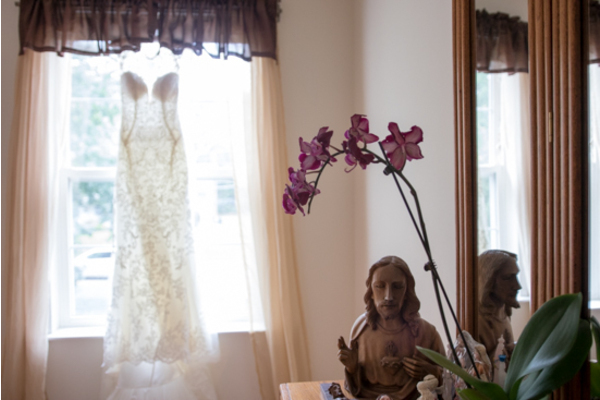 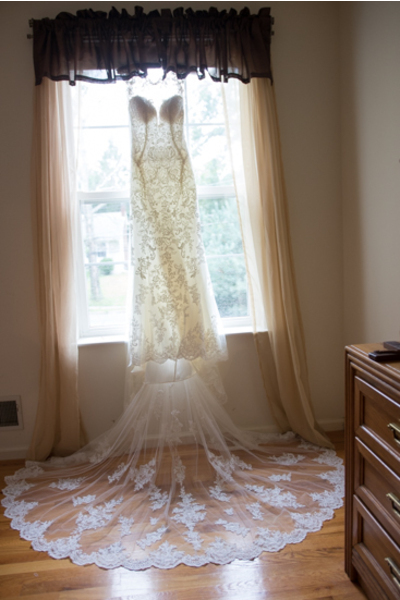 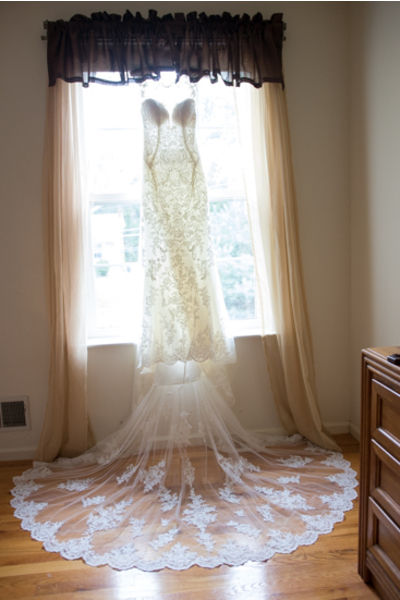 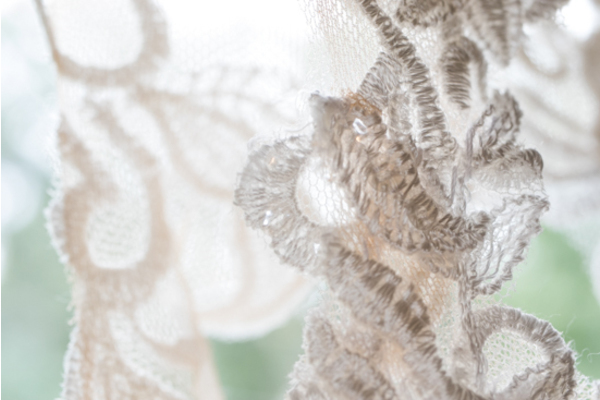 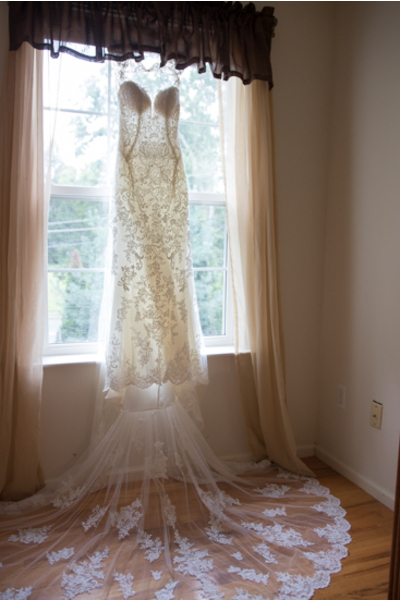 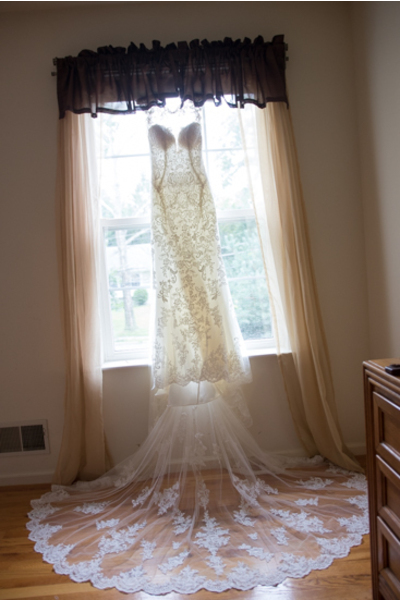 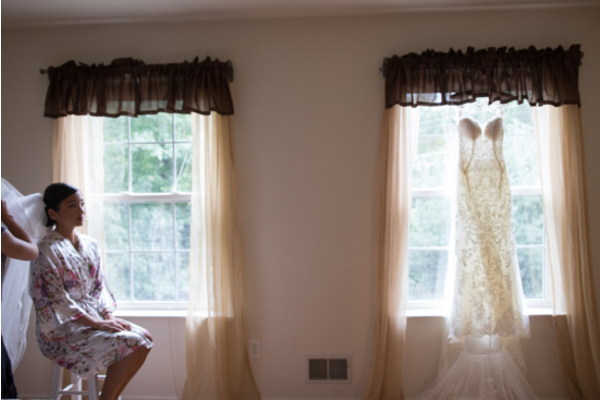 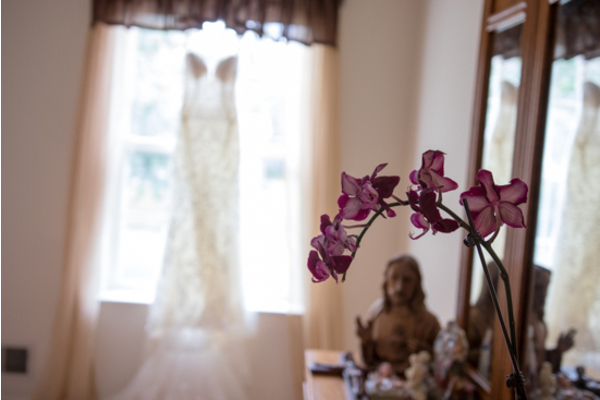 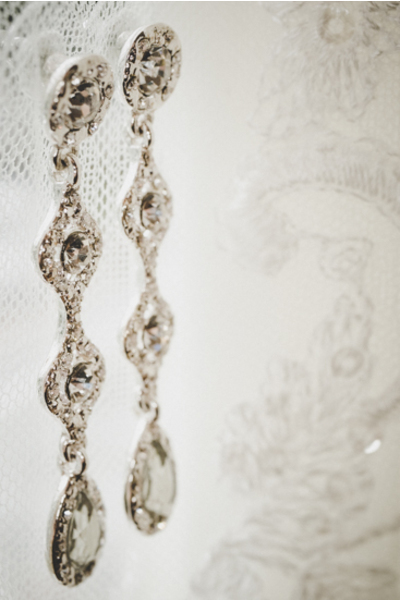 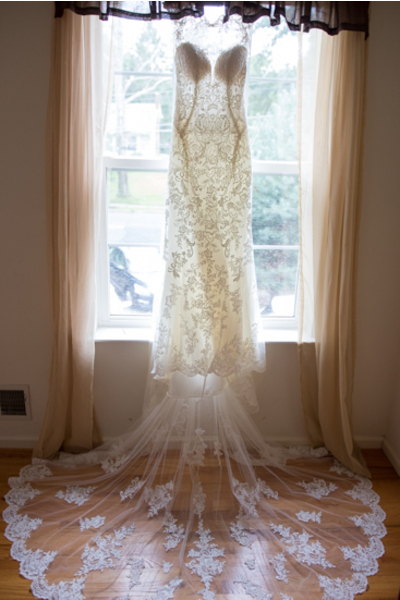 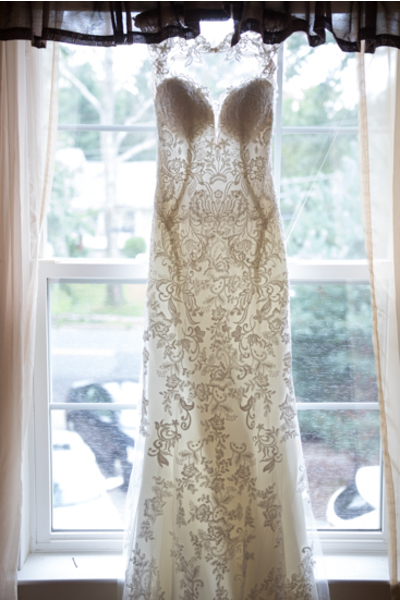 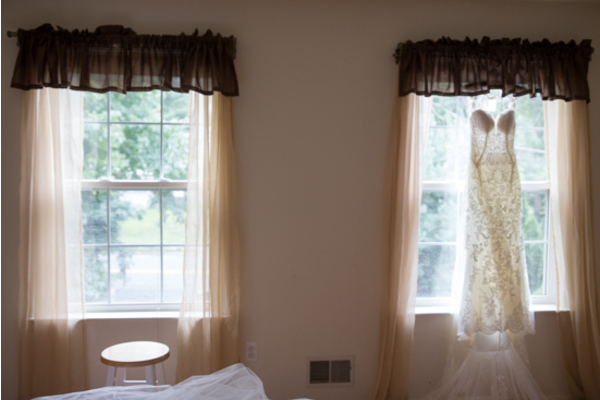 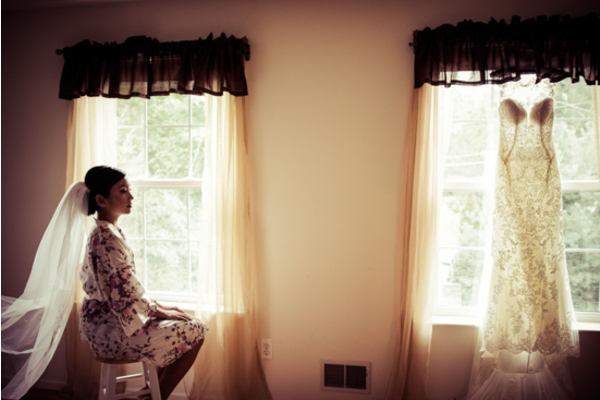 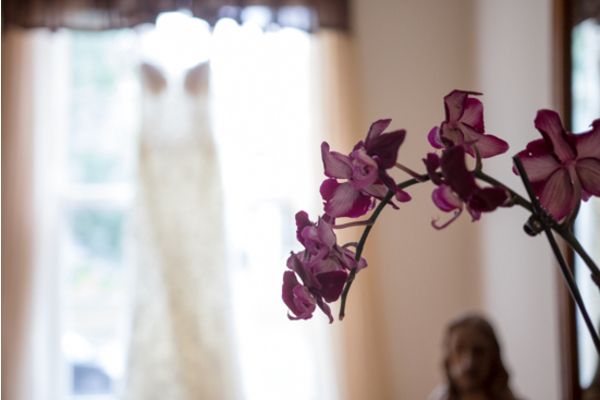 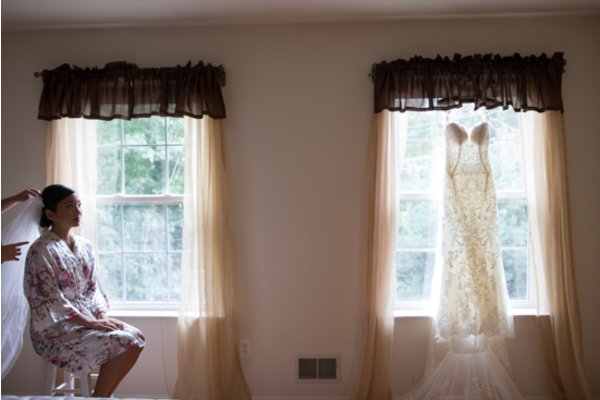 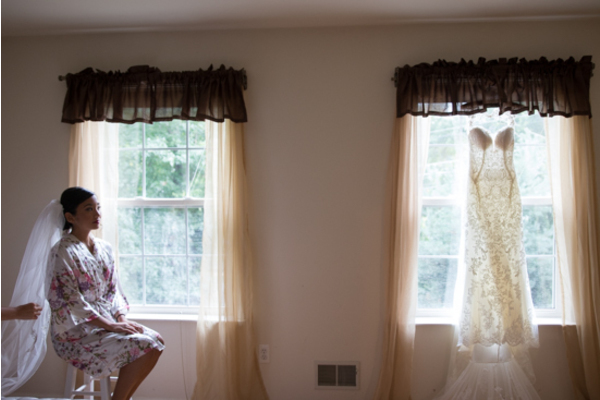 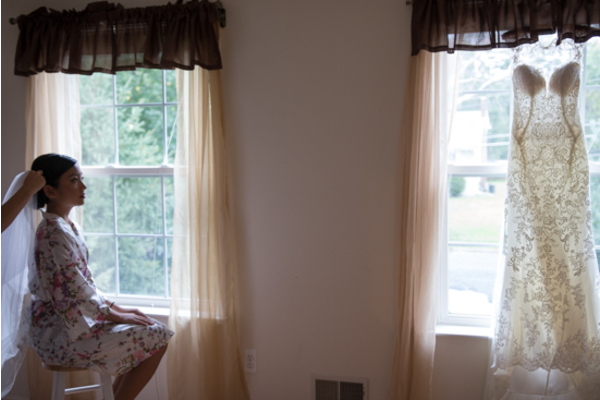 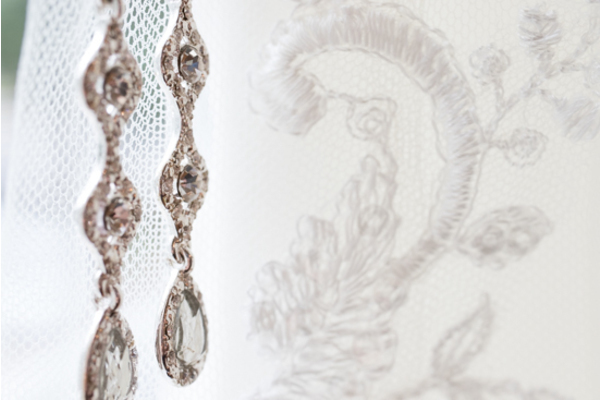 The bride admired her dress that hung in the window moments before putting it on. 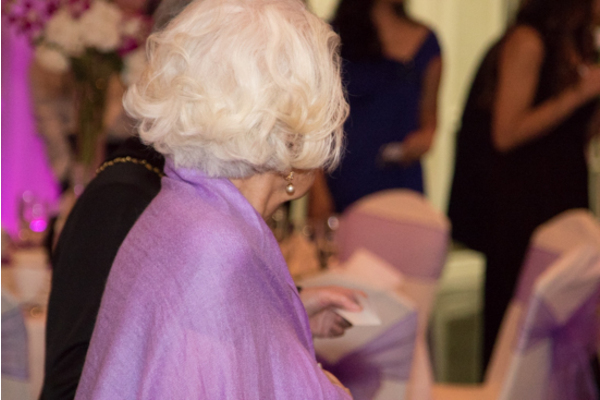 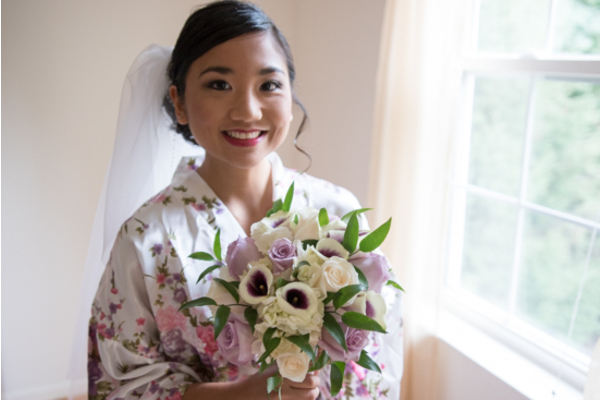 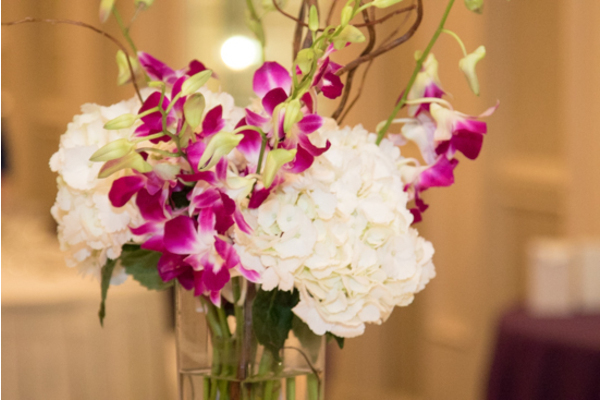 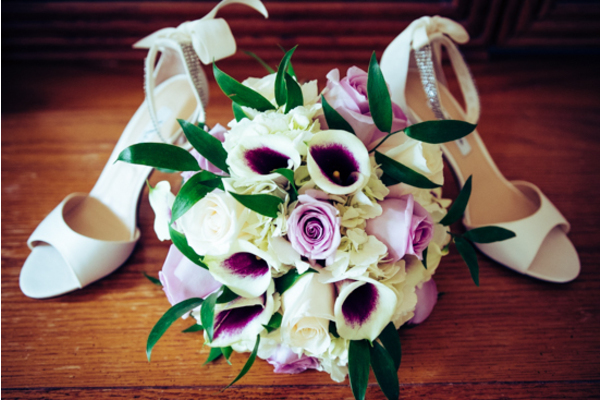 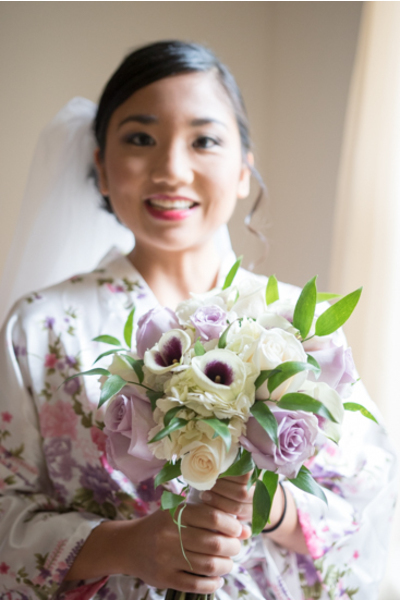 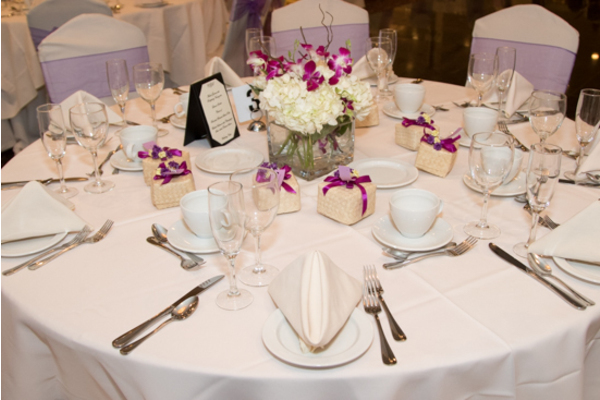 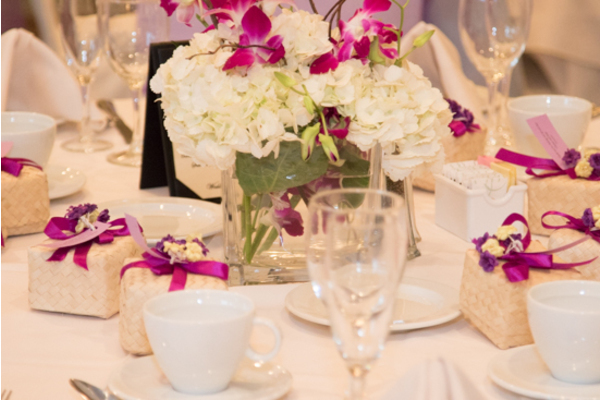 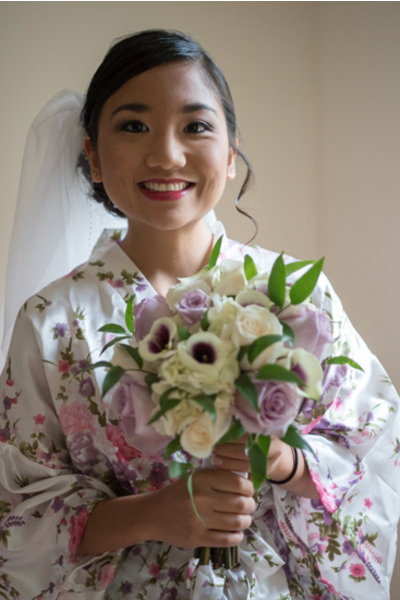 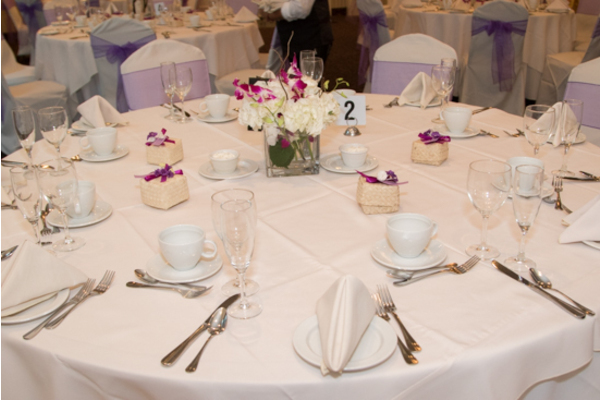 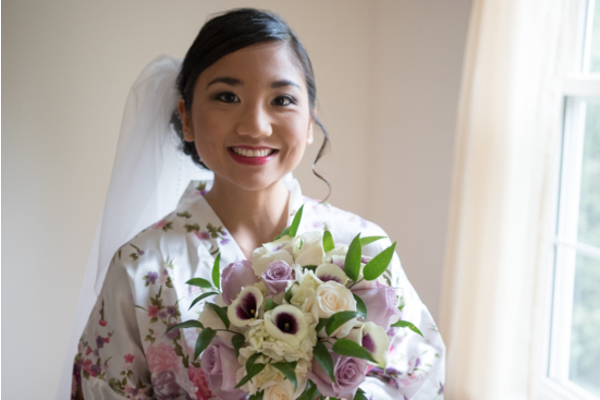 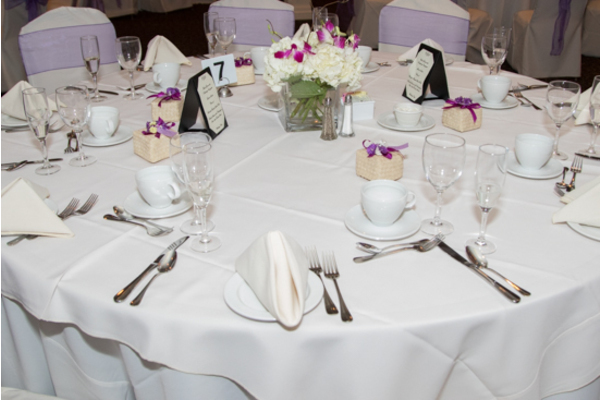 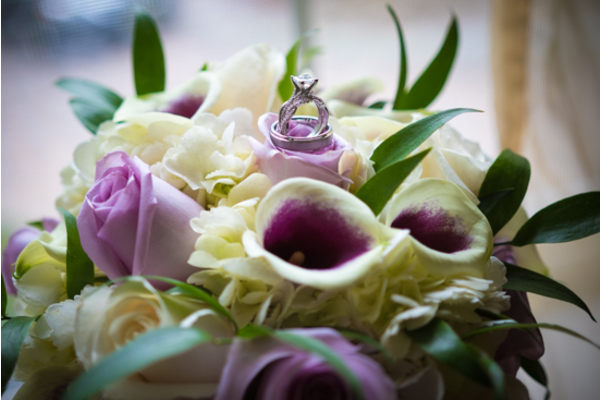 Her white and lilac rose bouquet was breathtaking! 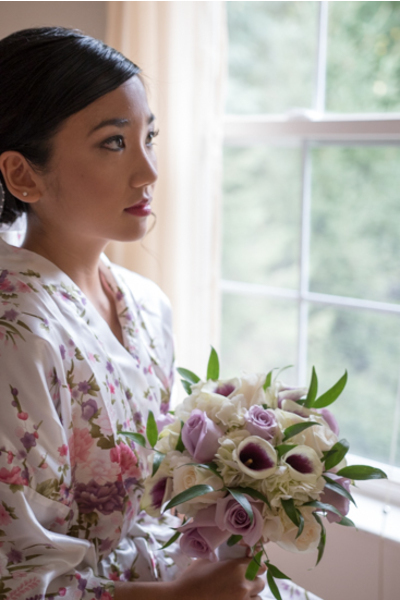 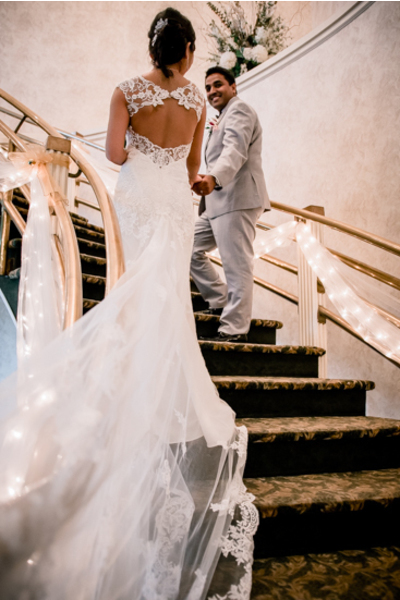 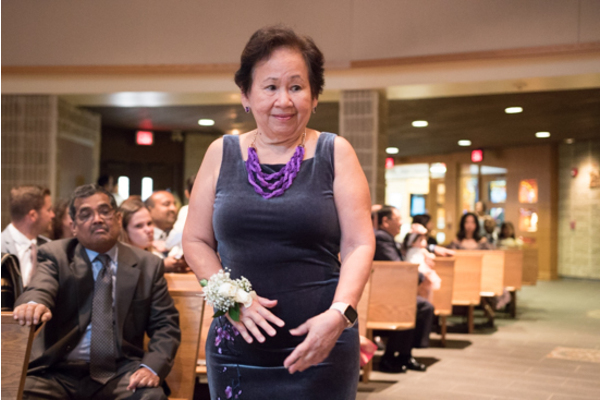 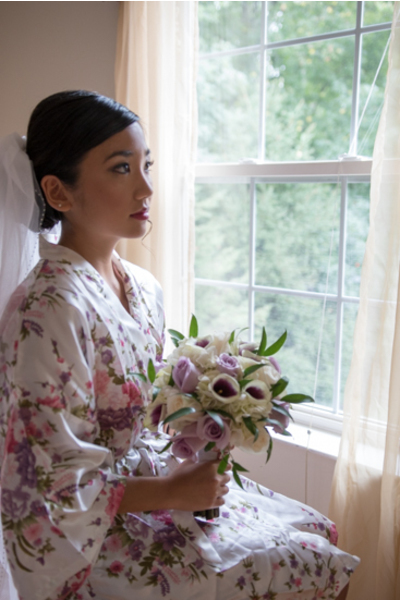 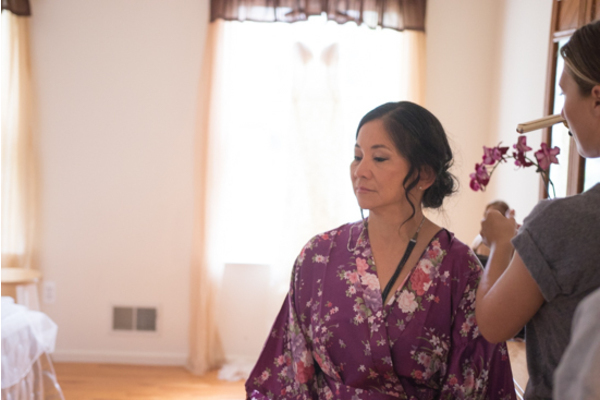 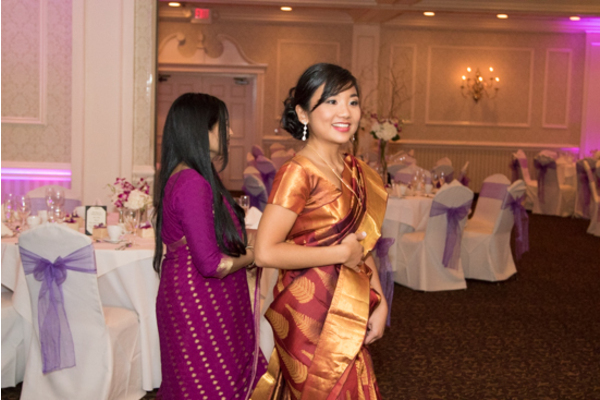 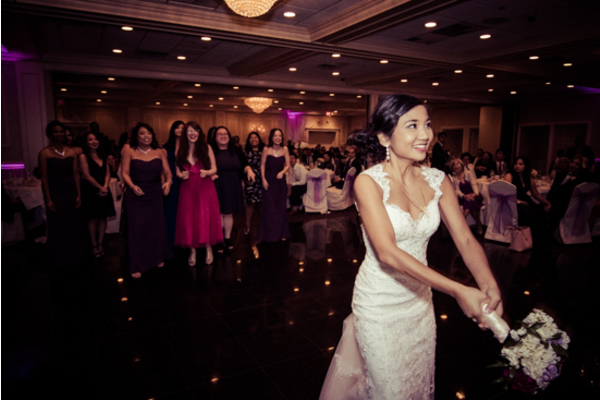 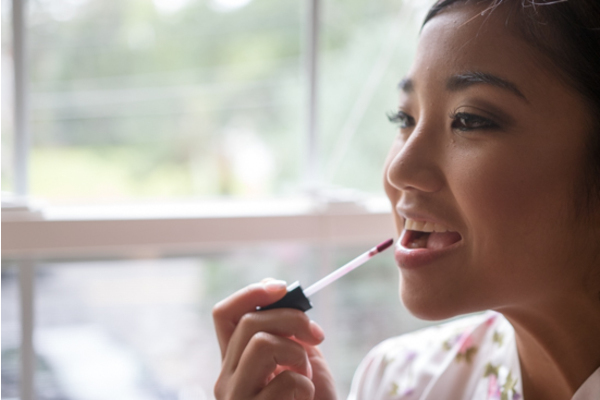 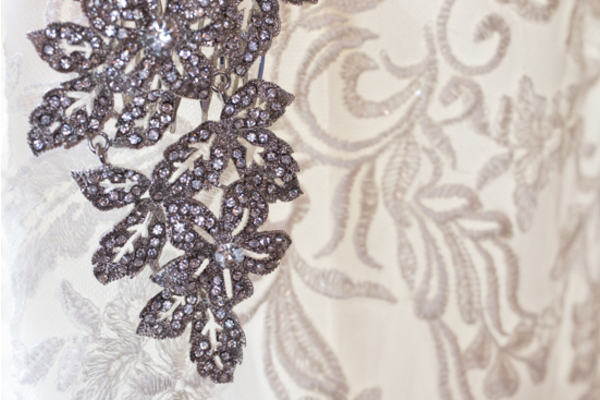 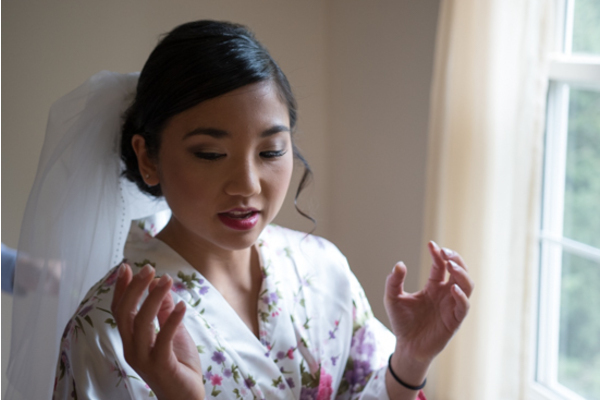 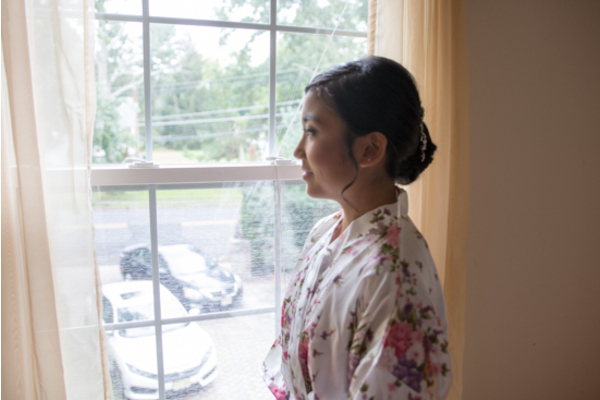 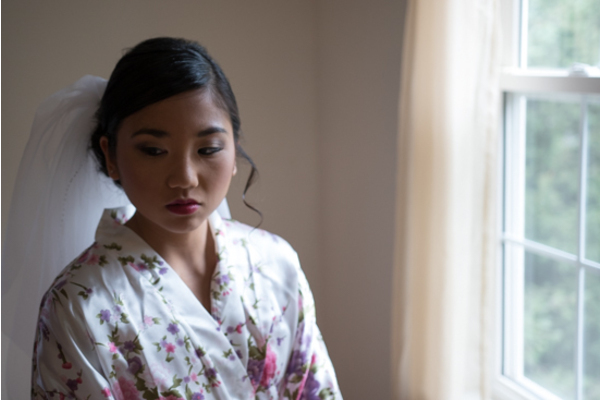 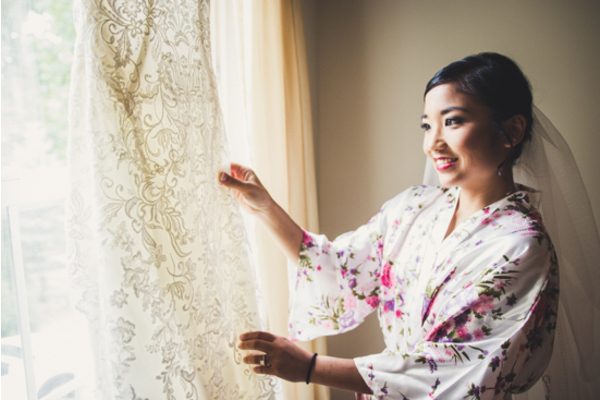 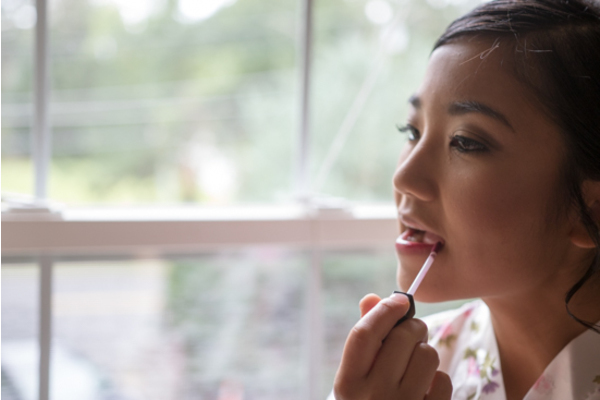 Our NJ Wedding Photographer was there for every moment of Clarissa getting ready as she put her earrings on, buttoned up the back of her dress and perfected the look of her veil! 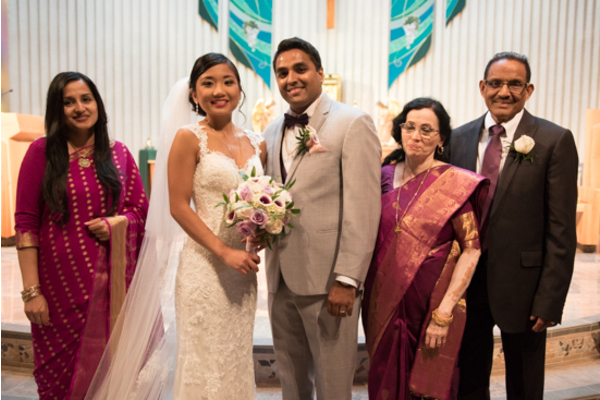 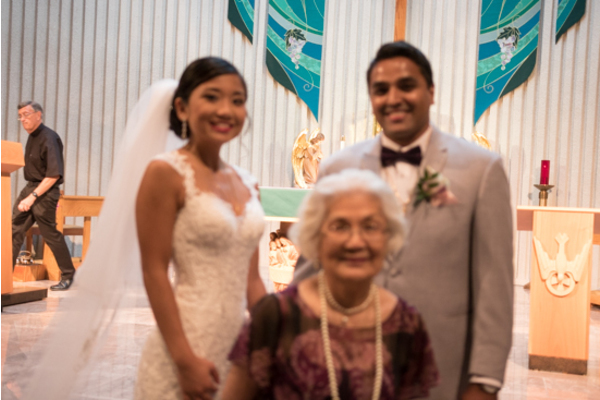 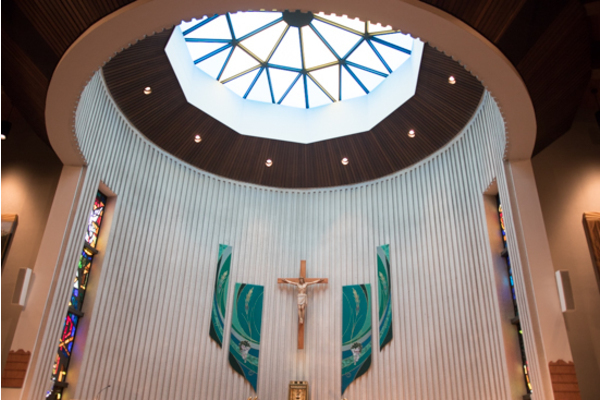 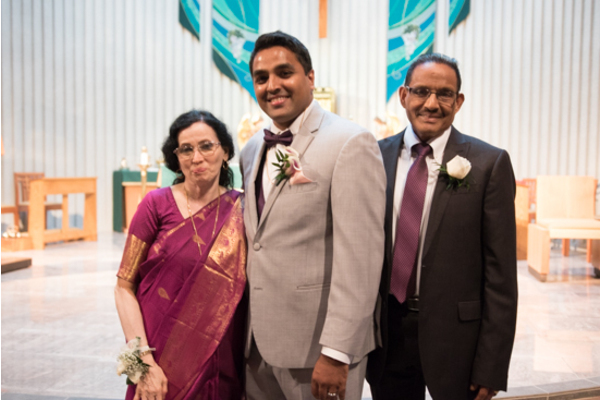 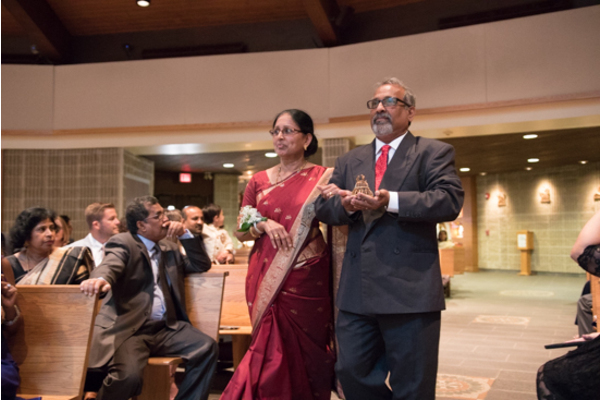 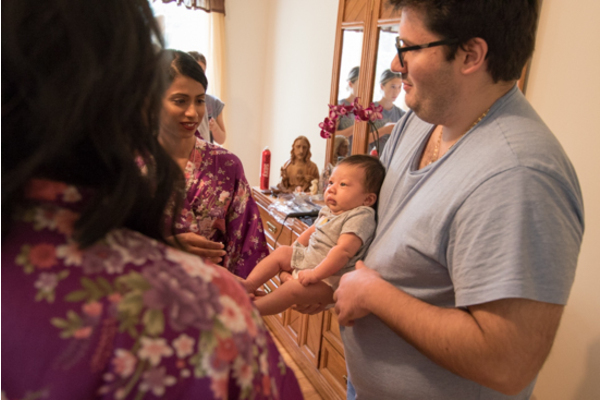 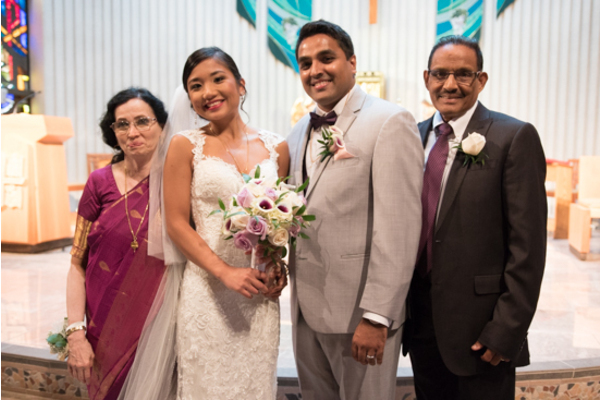 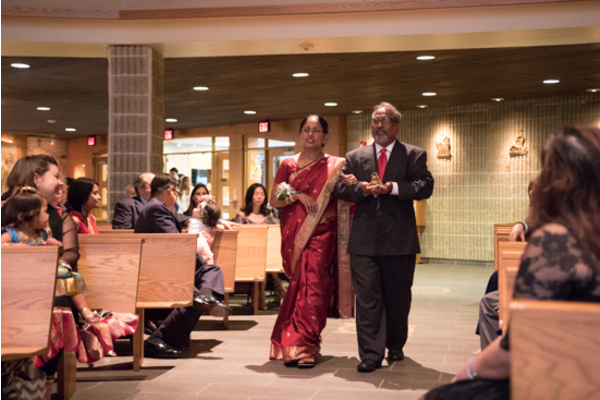 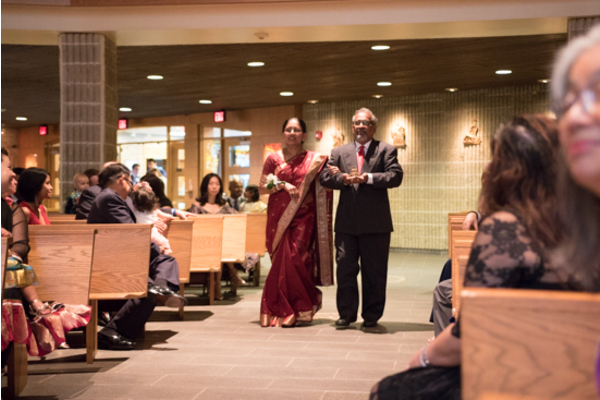 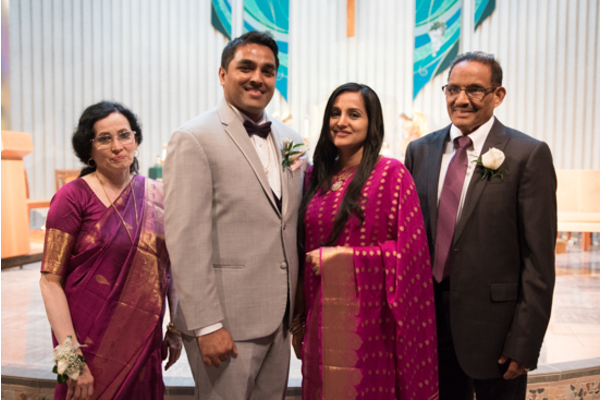 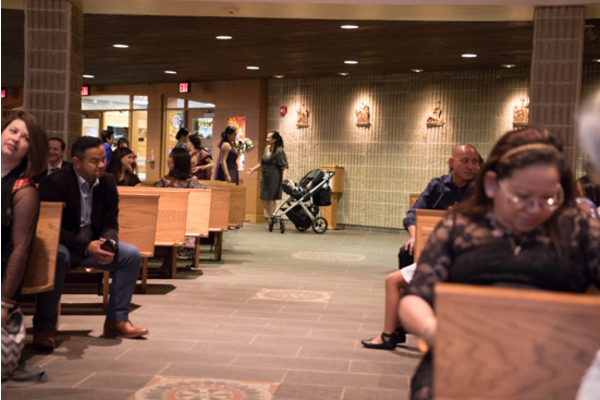 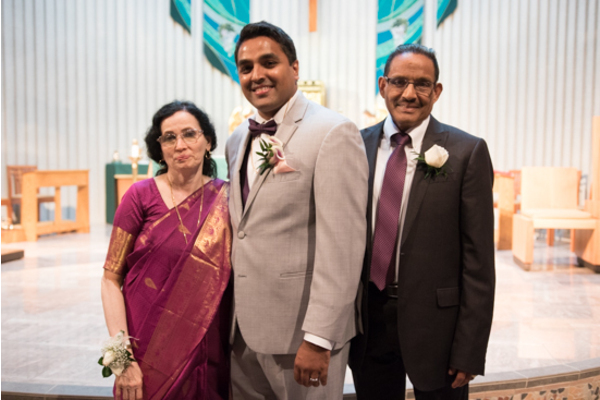 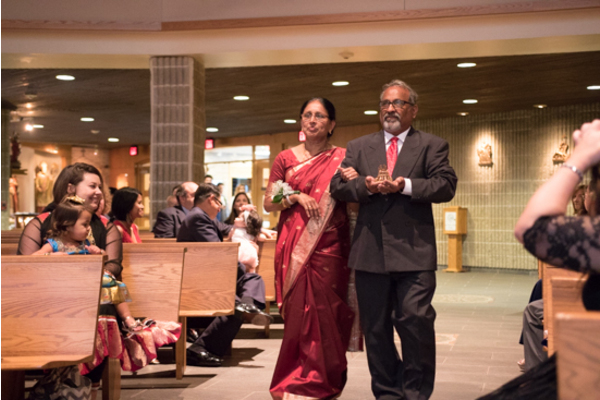 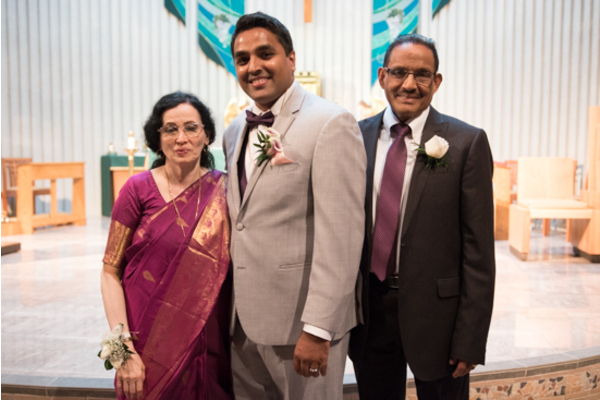 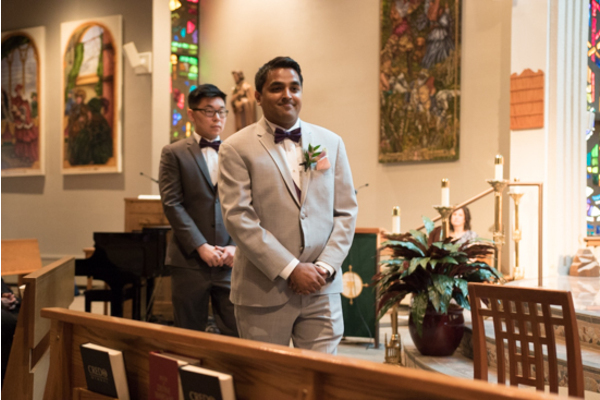 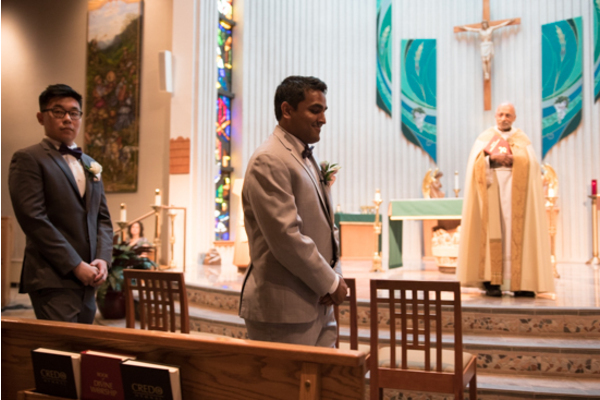 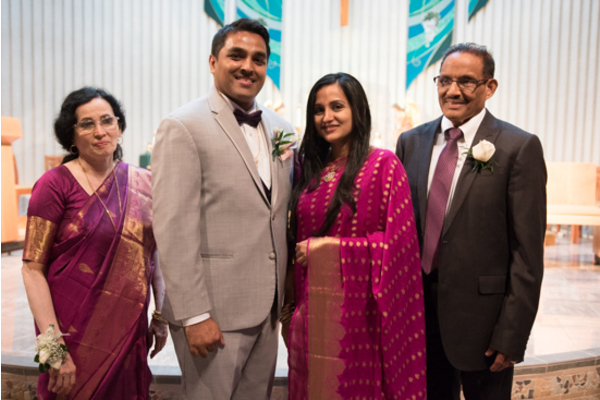 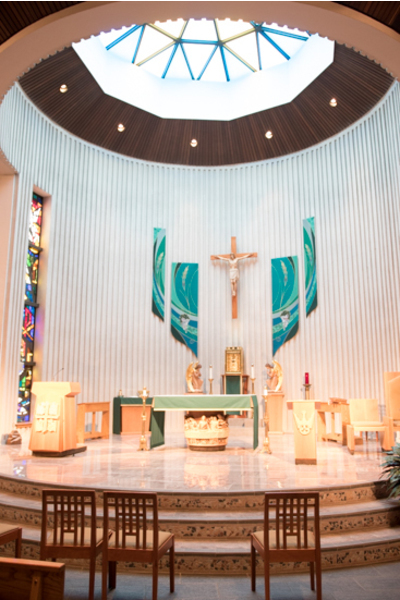 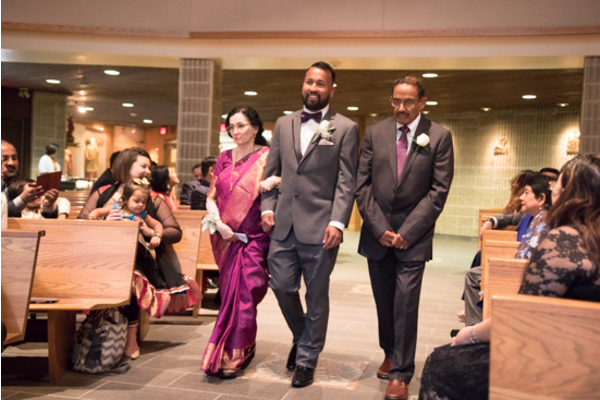 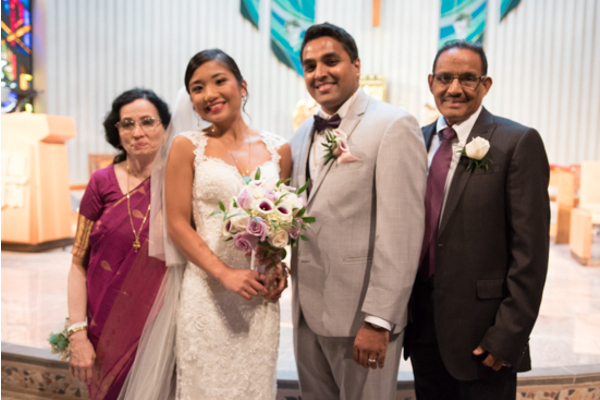 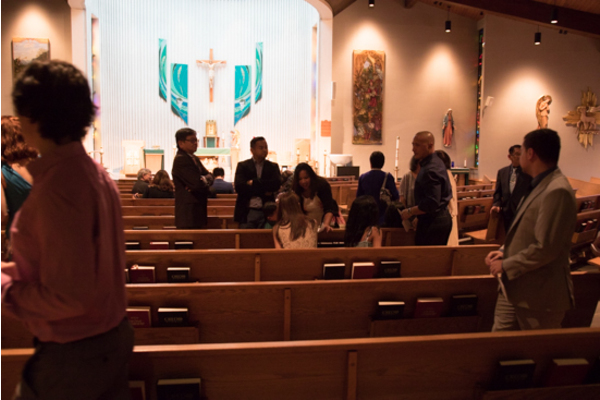 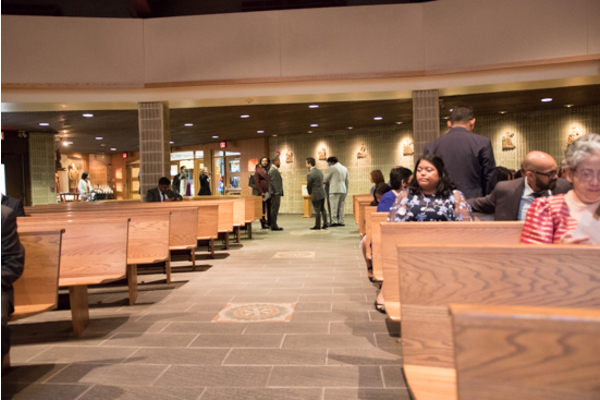 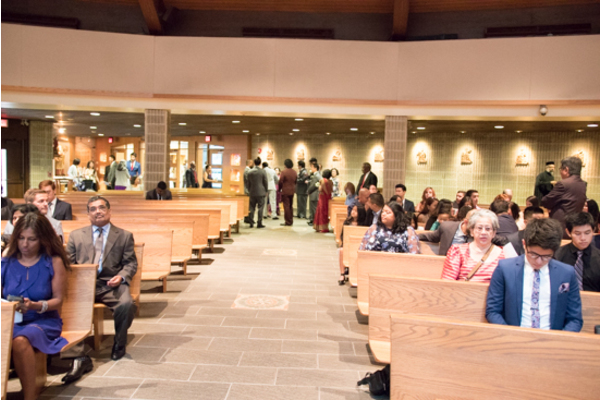 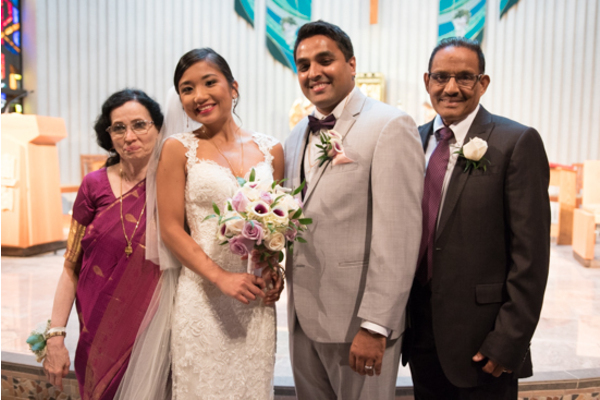 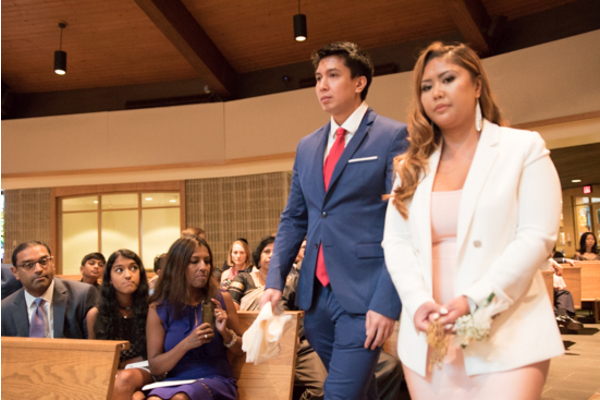 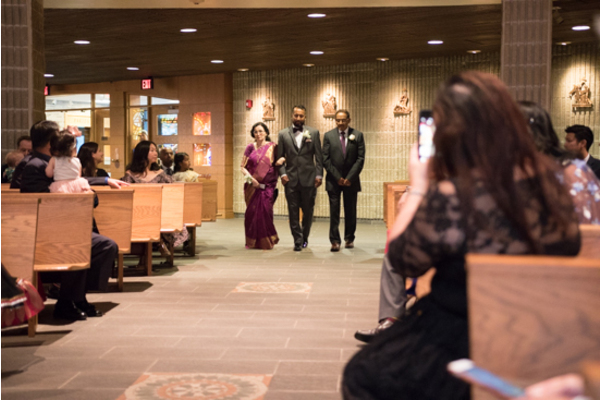 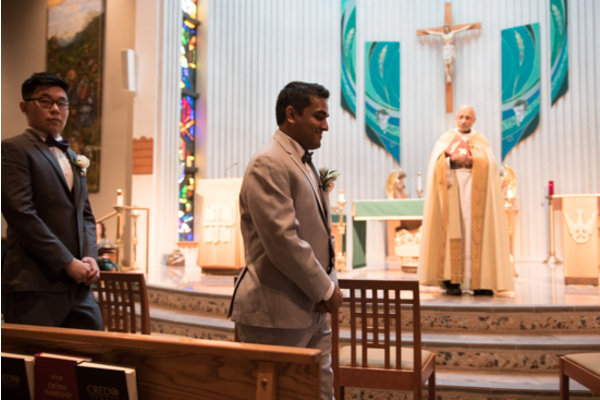 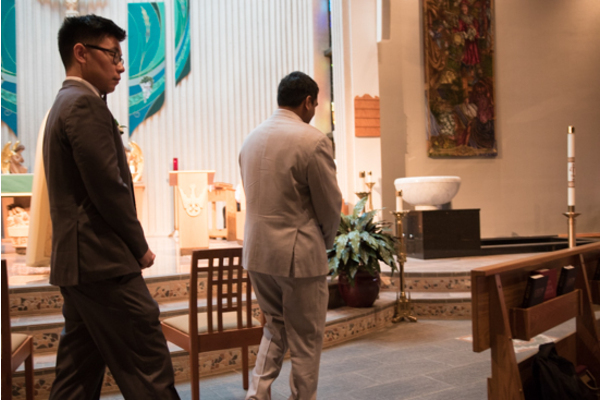 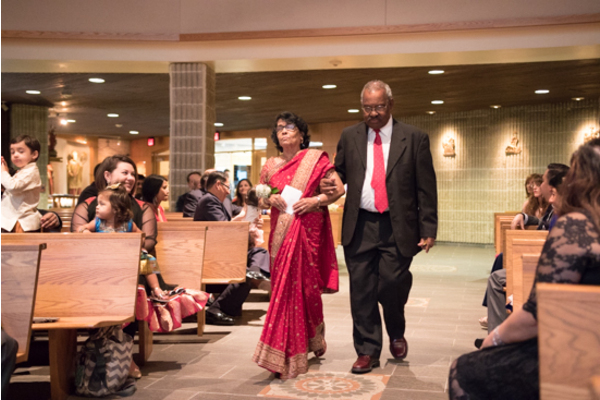 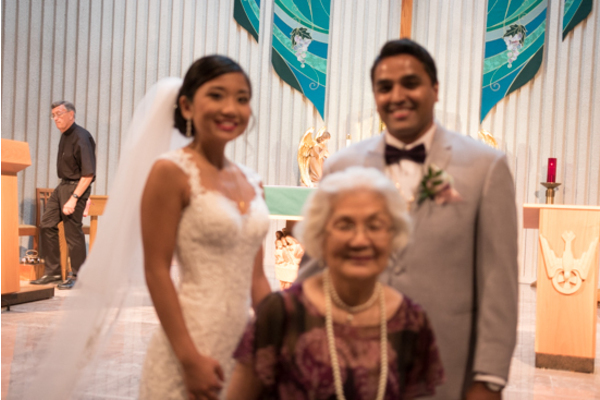 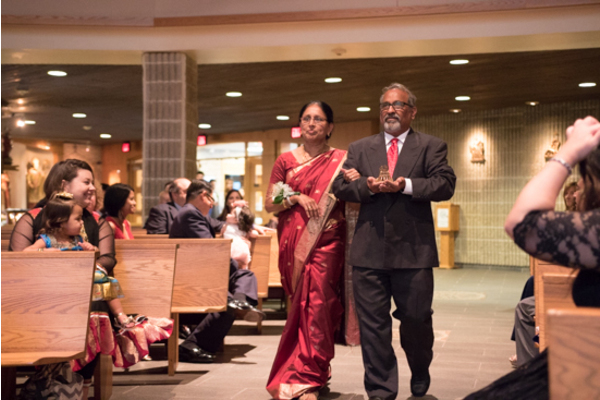 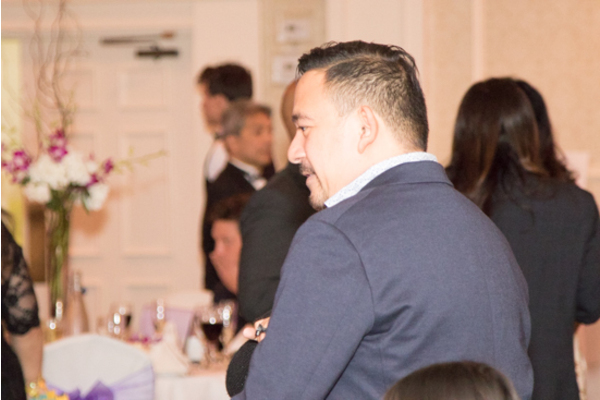 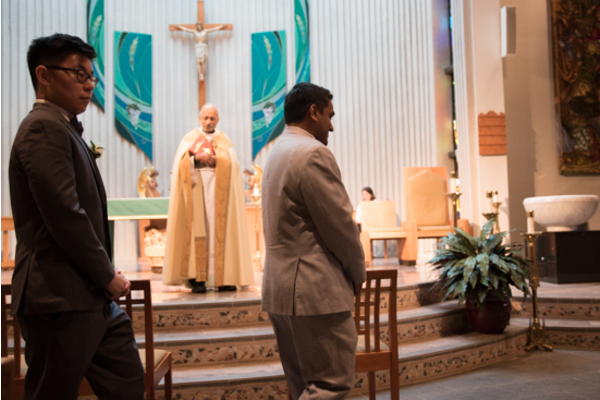 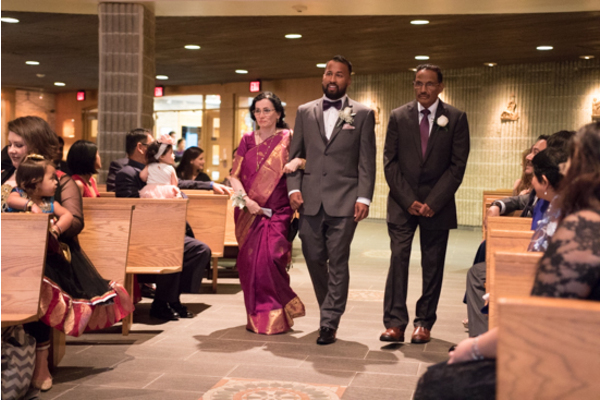 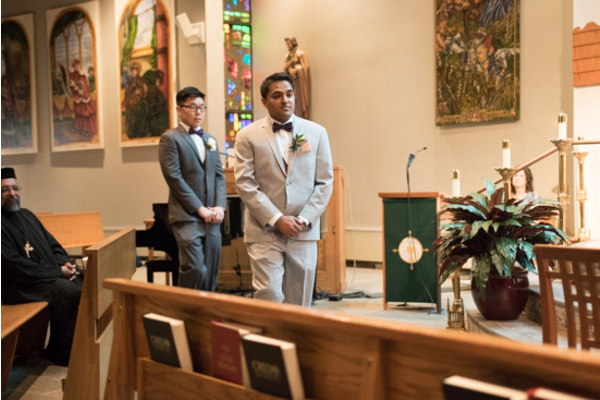 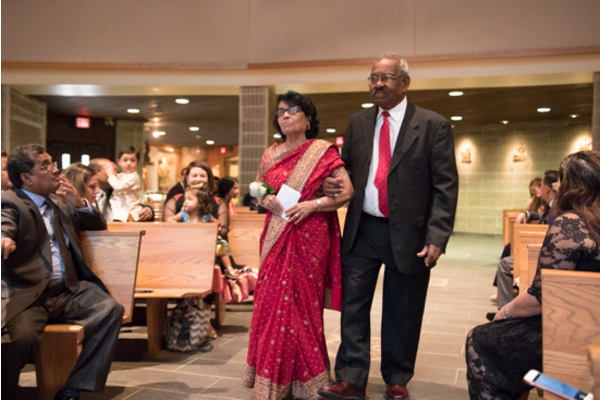 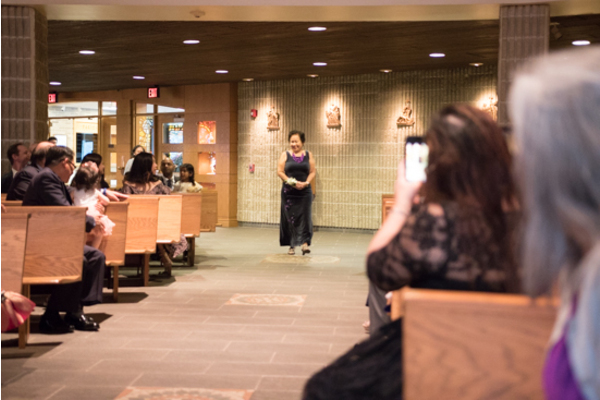 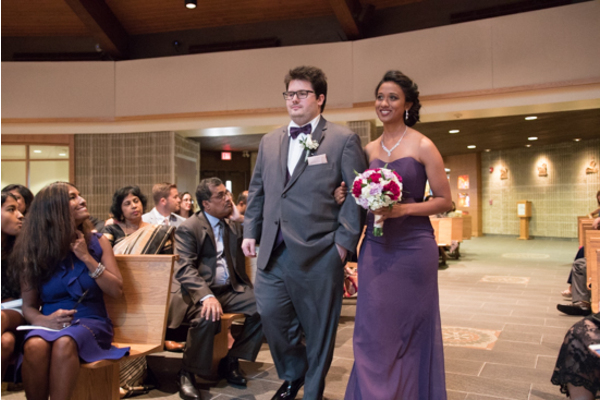 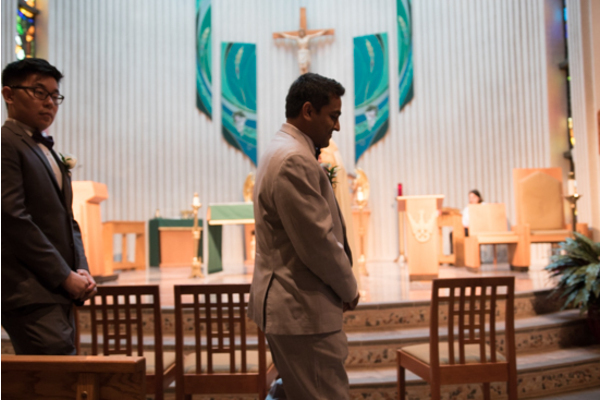 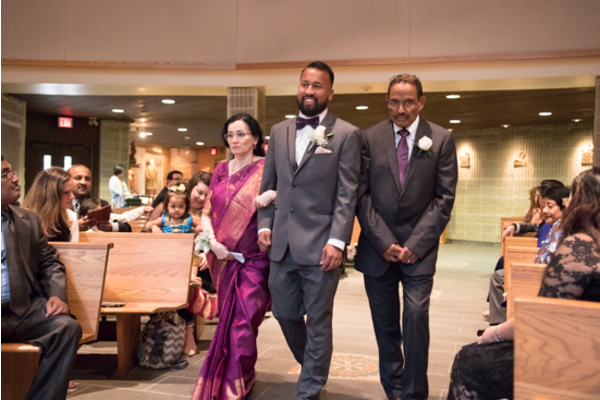 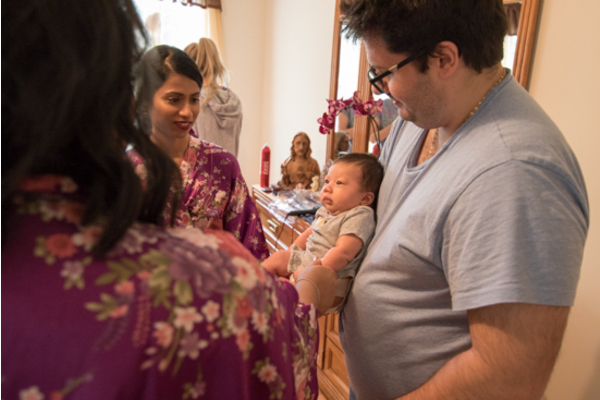 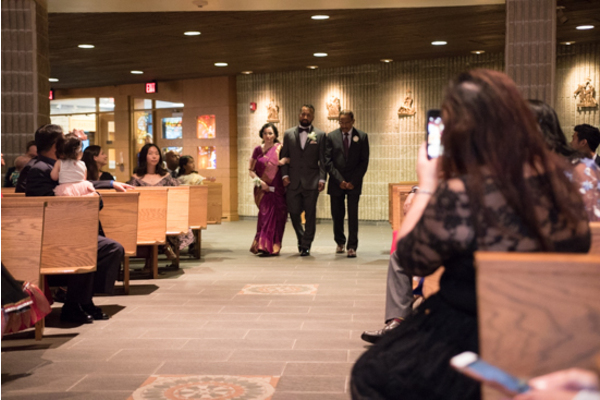 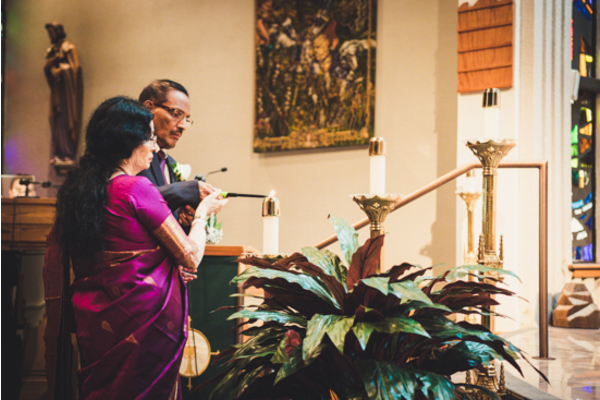 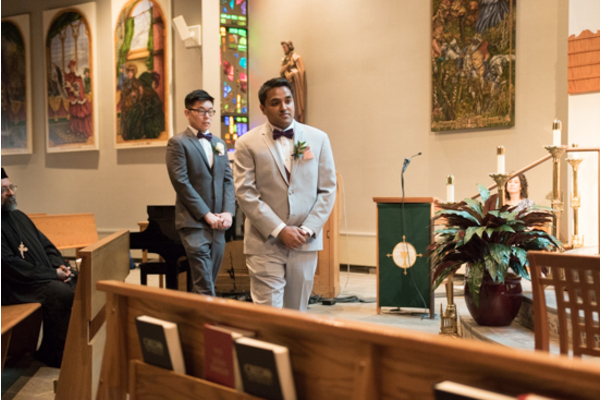 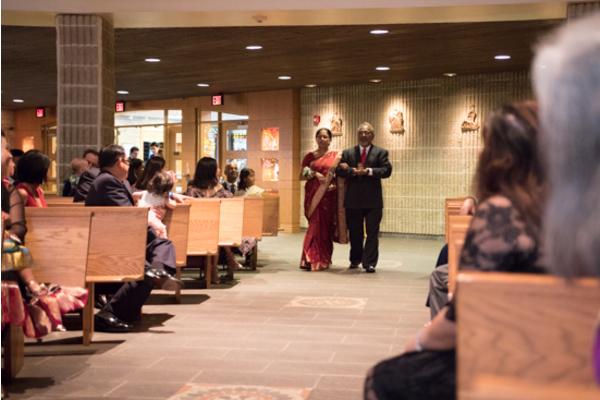 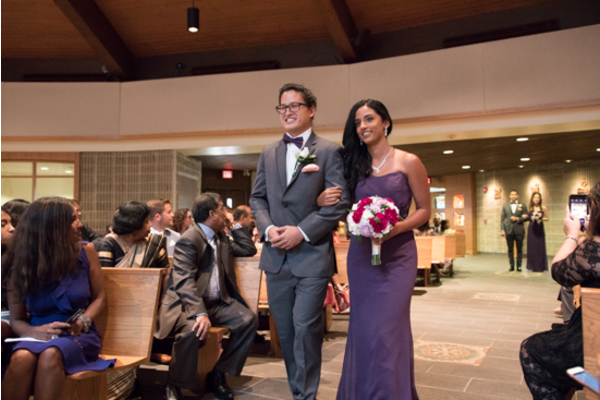 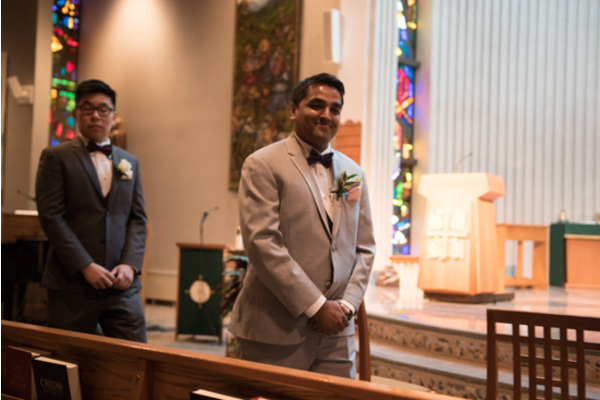 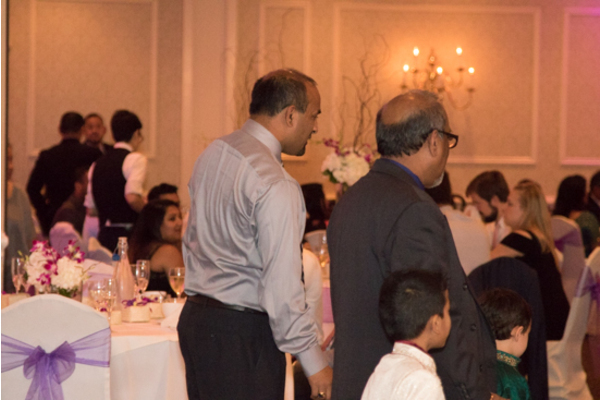 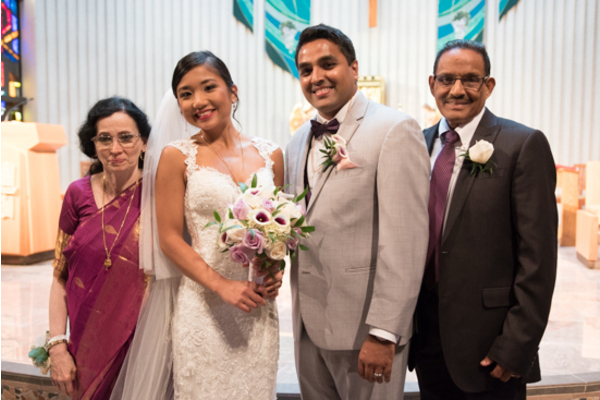 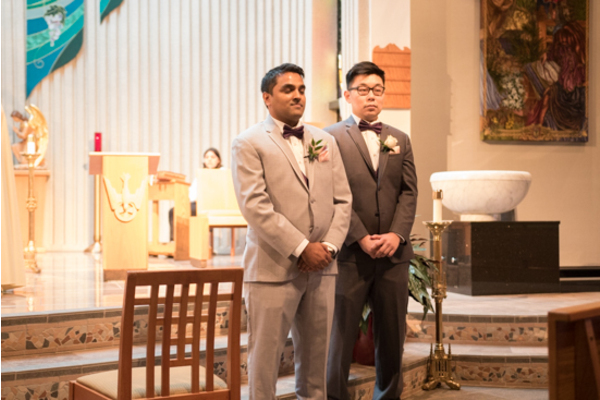 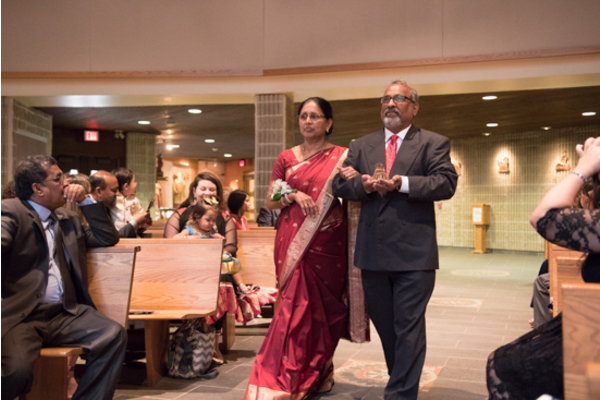 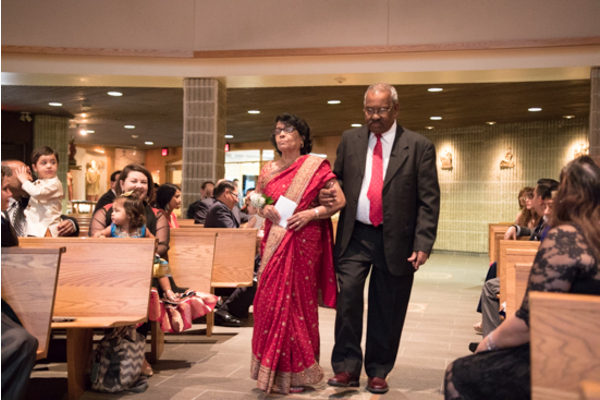 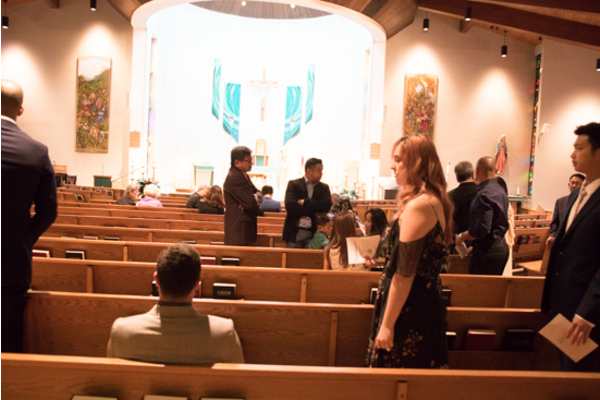 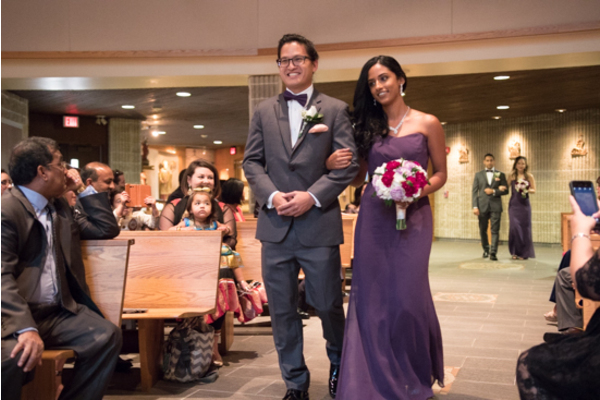 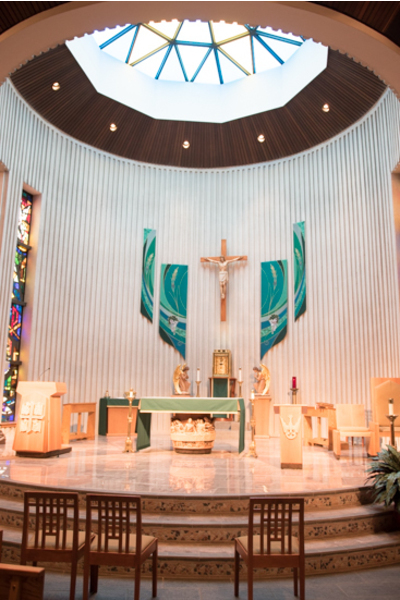 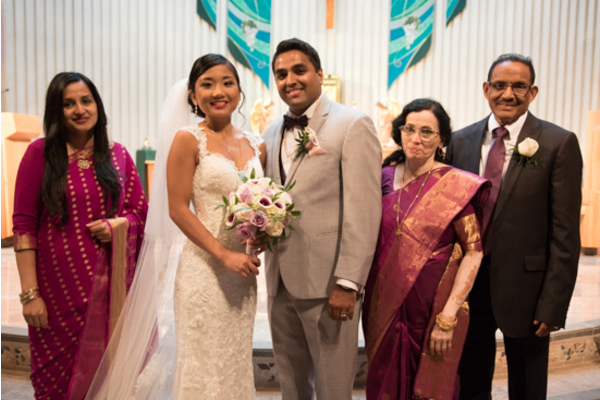 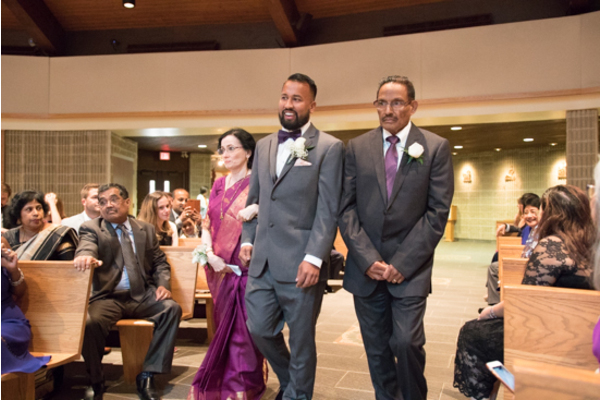 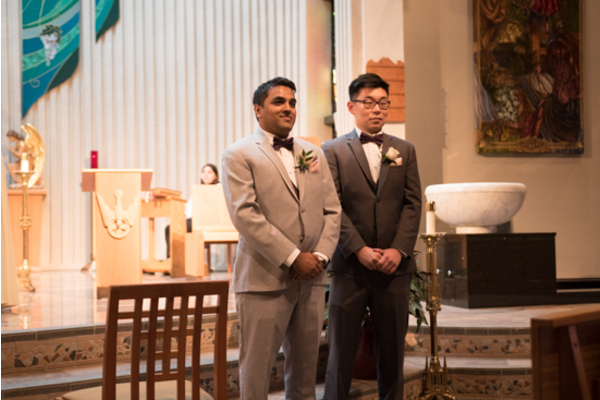 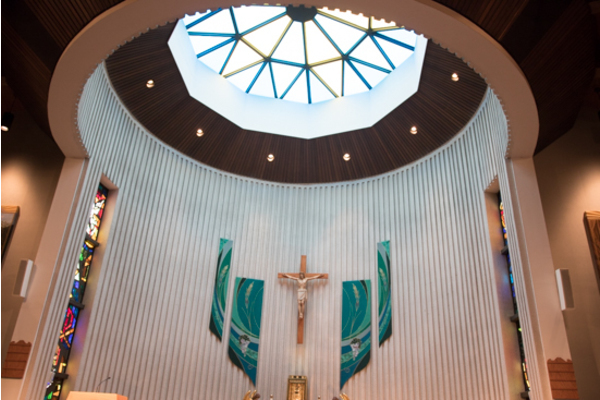 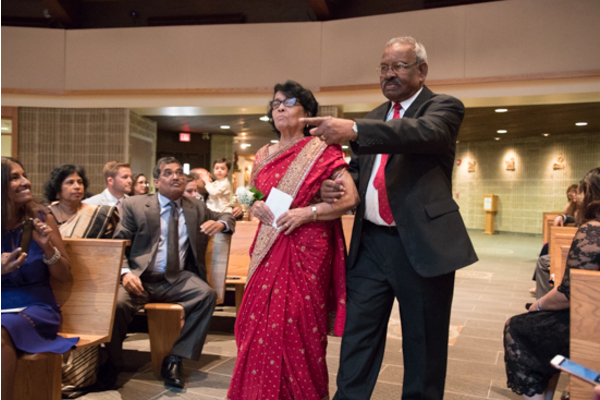 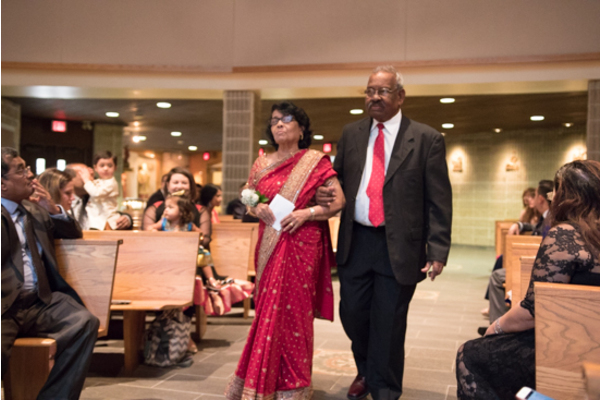 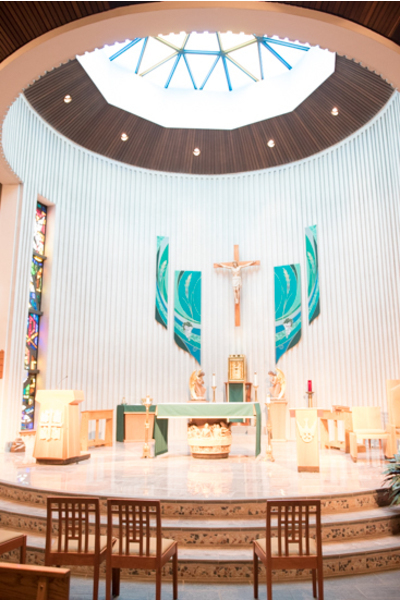 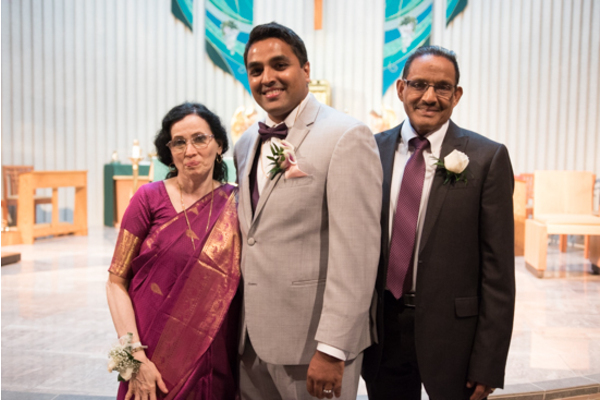 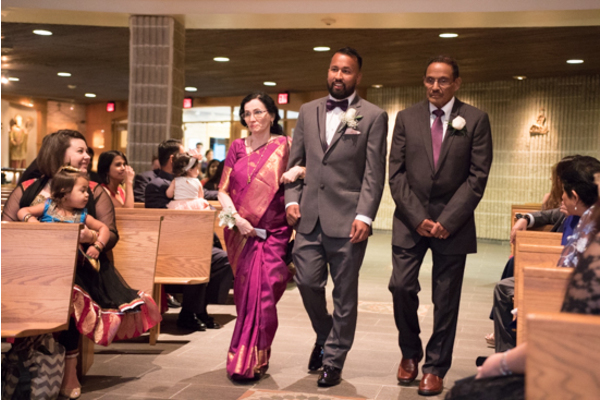 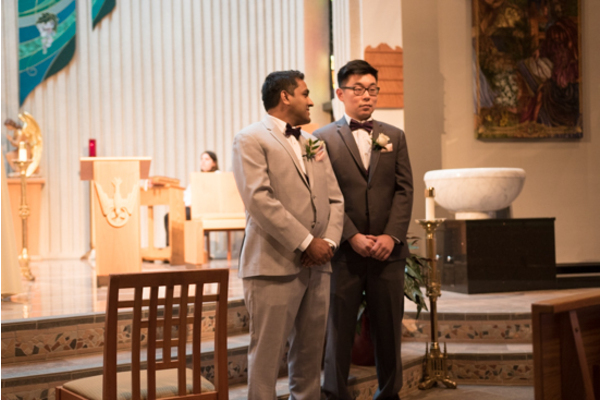 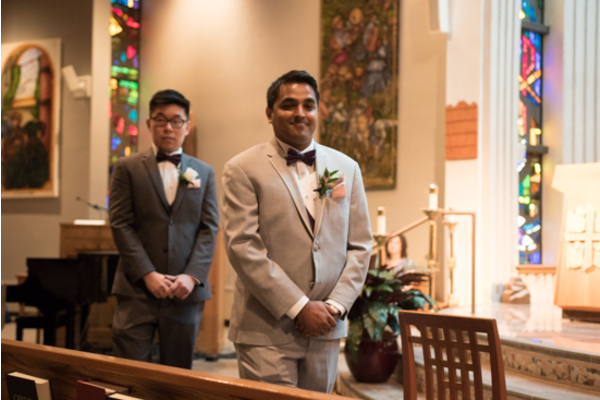 At the church ceremony, Saiju waited patiently with his best man before he finally laid eyes on his bride. 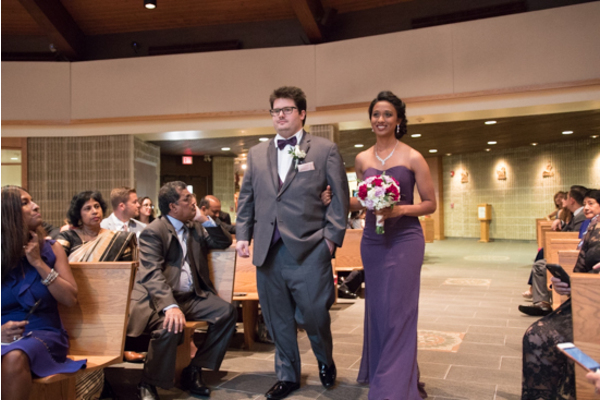 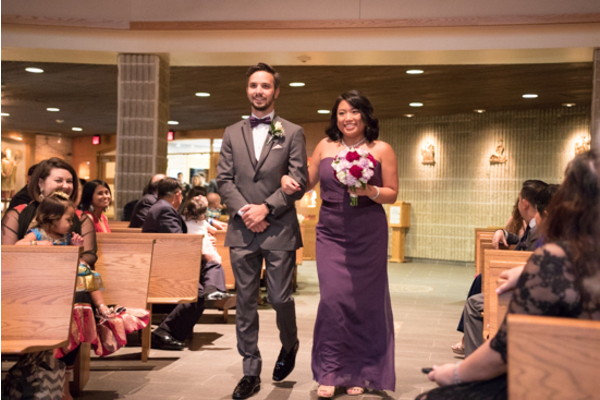 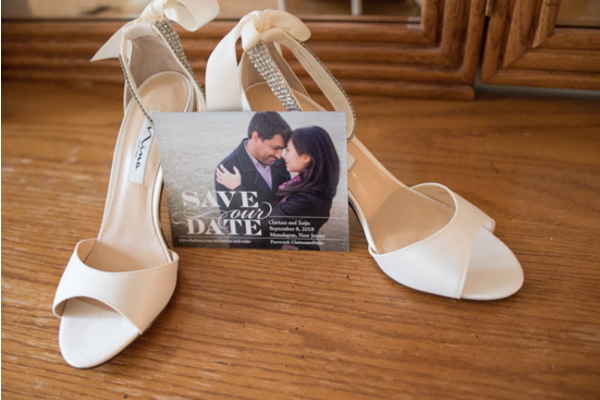 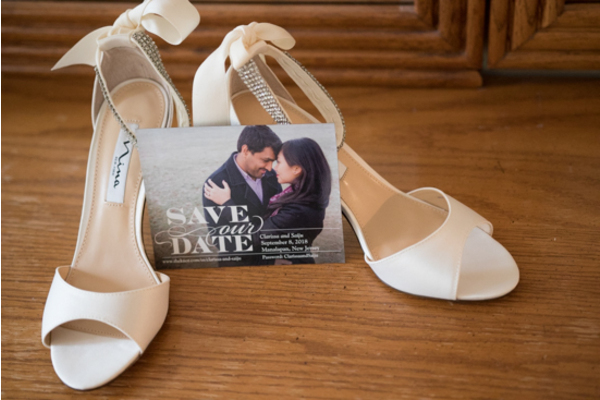 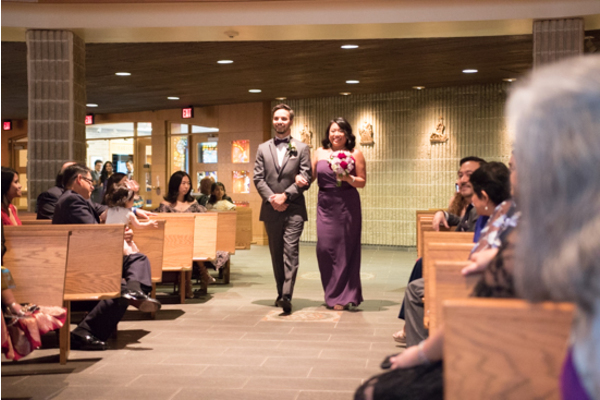 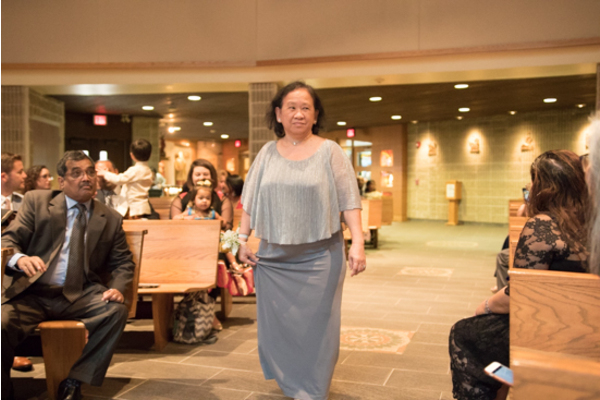 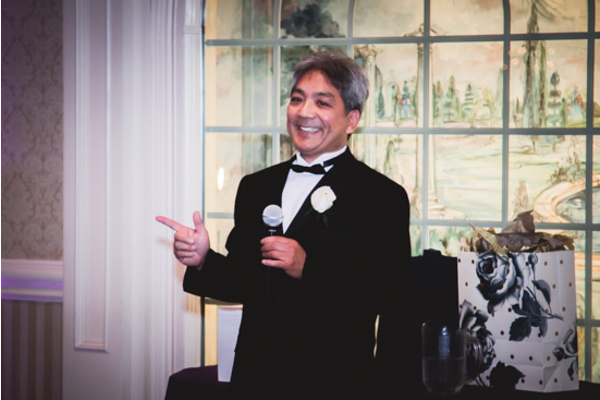 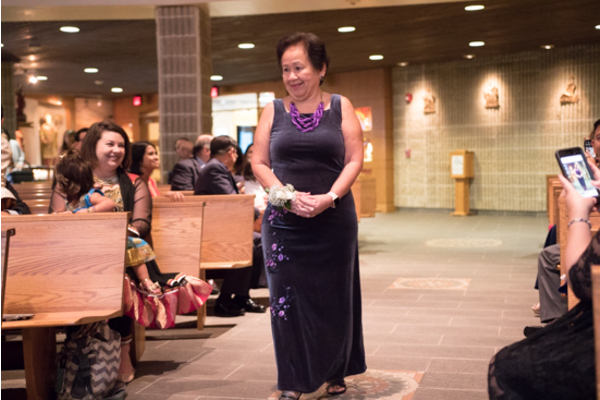 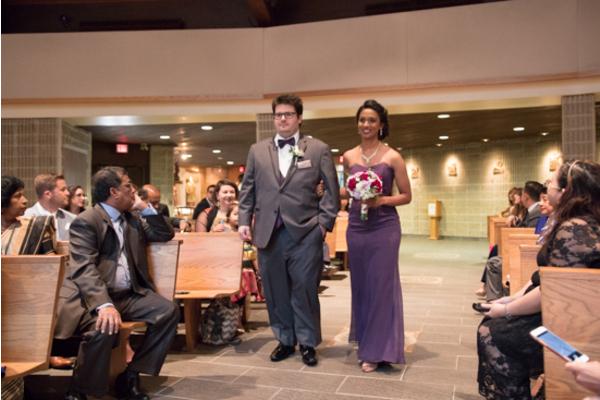 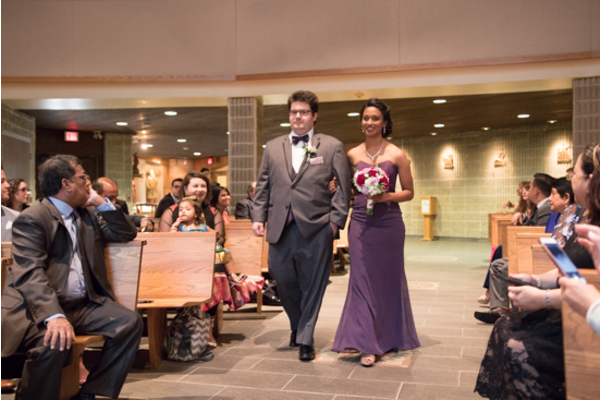 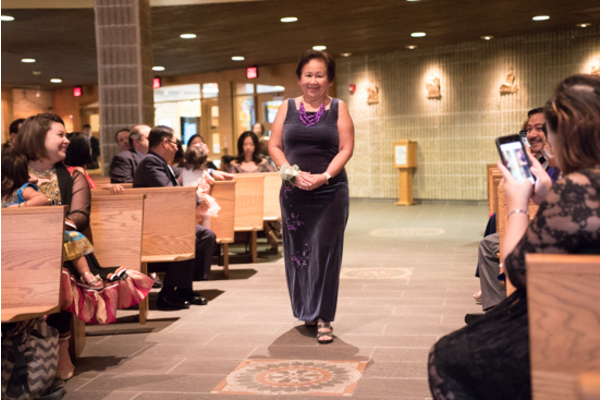 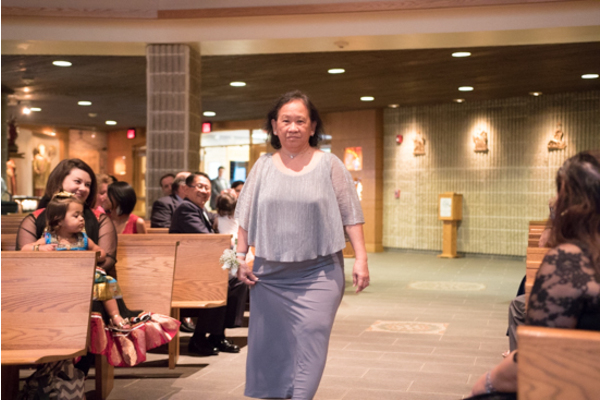 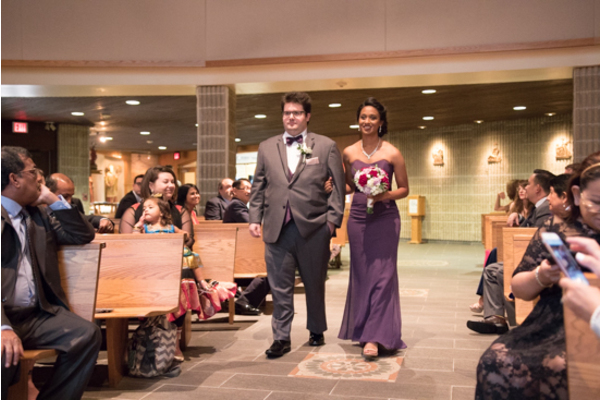 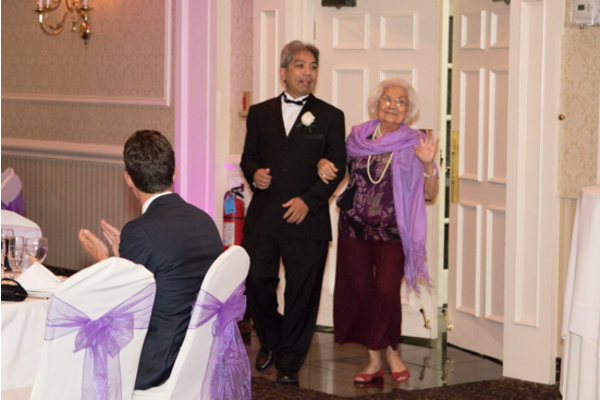 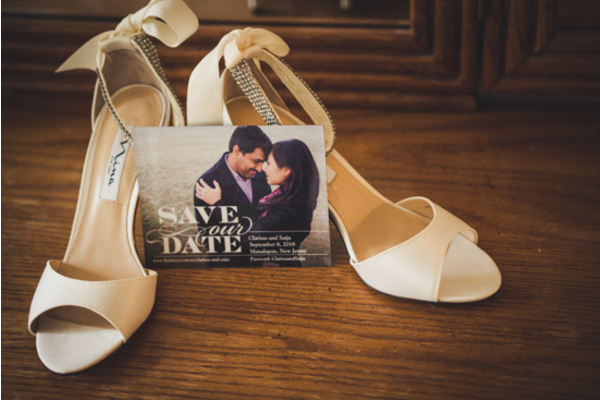 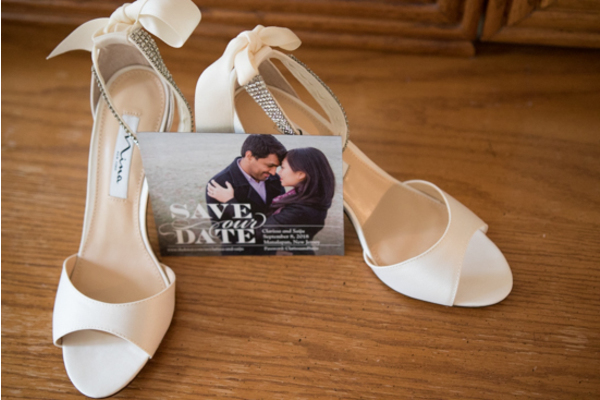 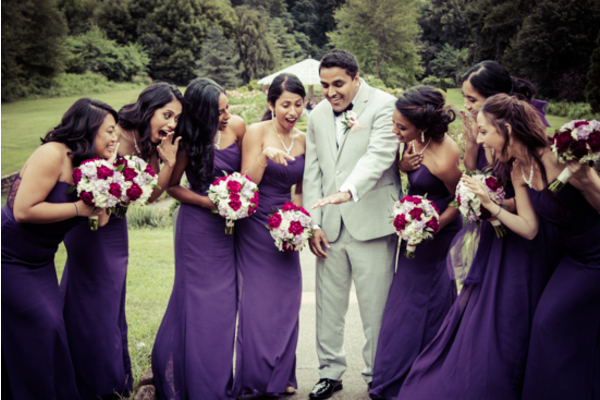 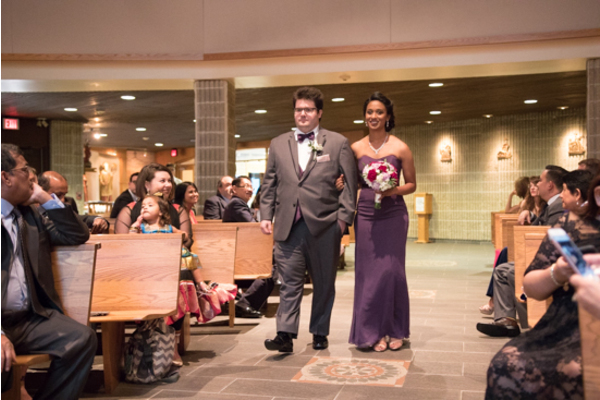 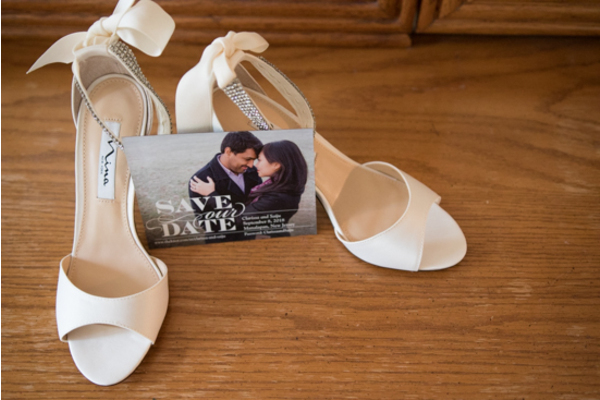 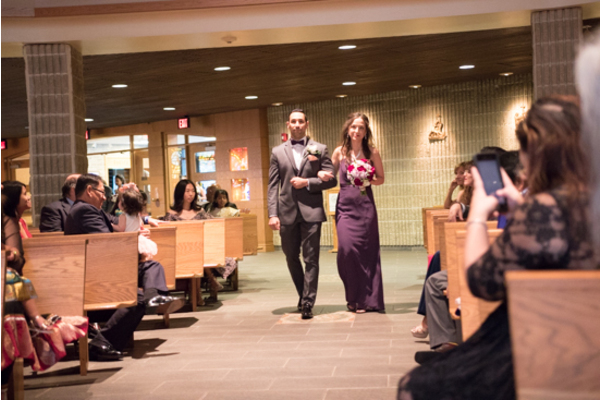 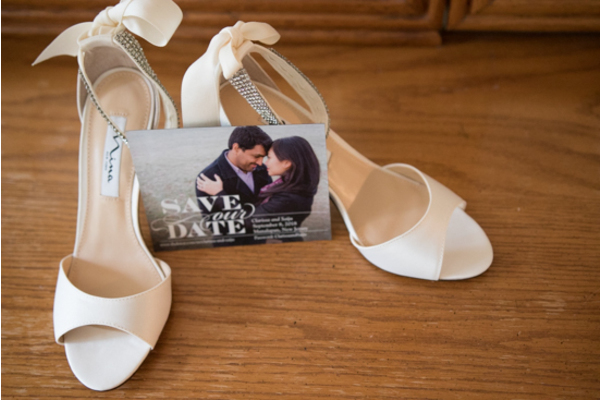 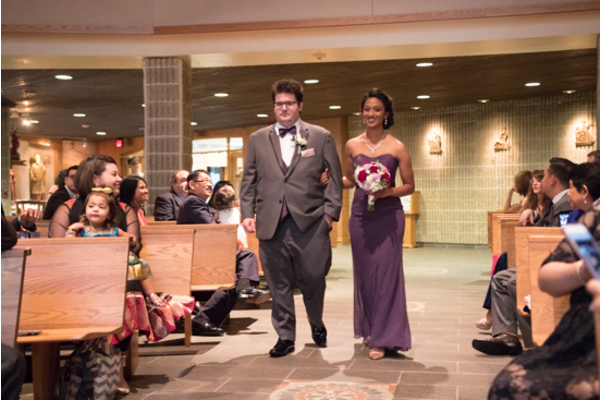 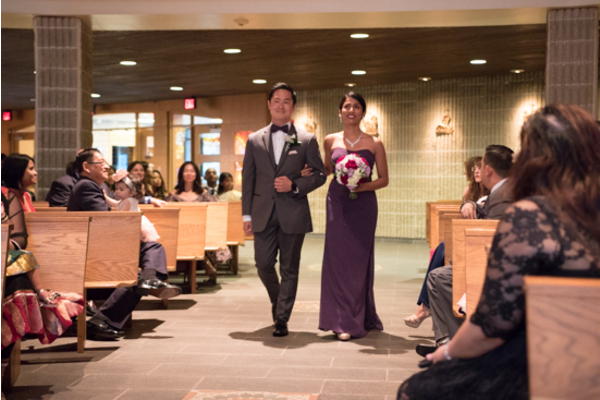 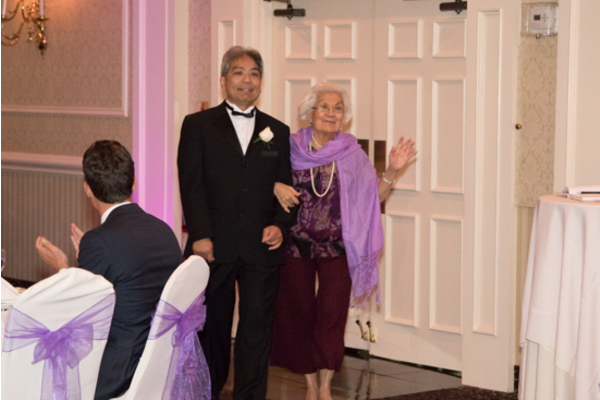 He could not get the smile off of his face as Clarissa slowly walked down to the aisle. 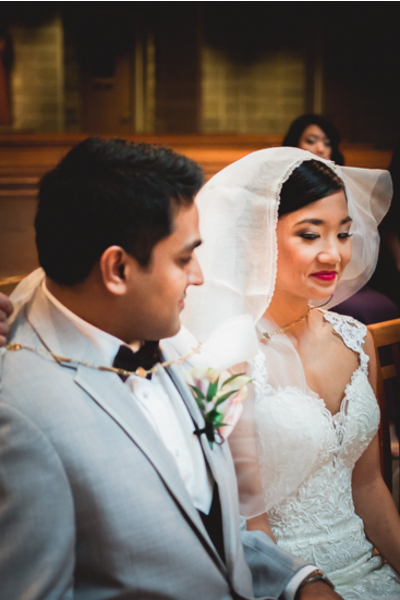 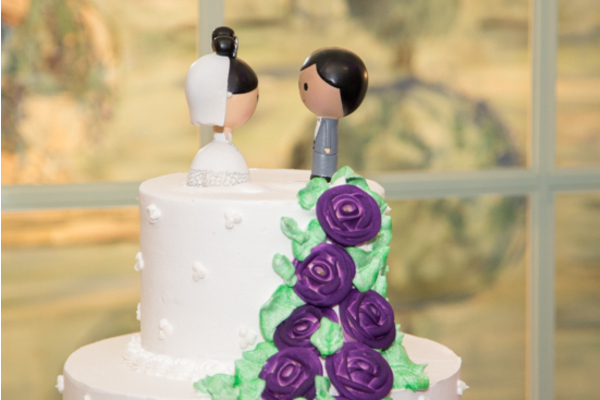 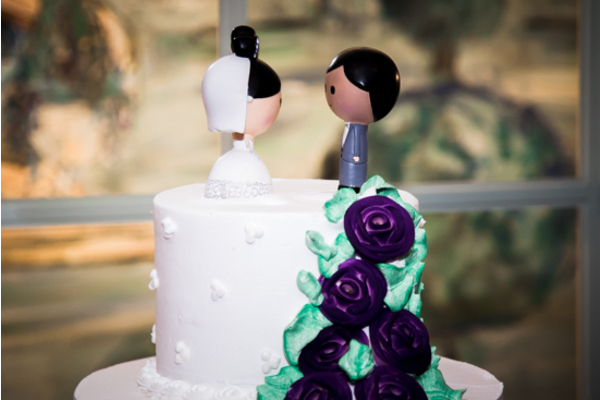 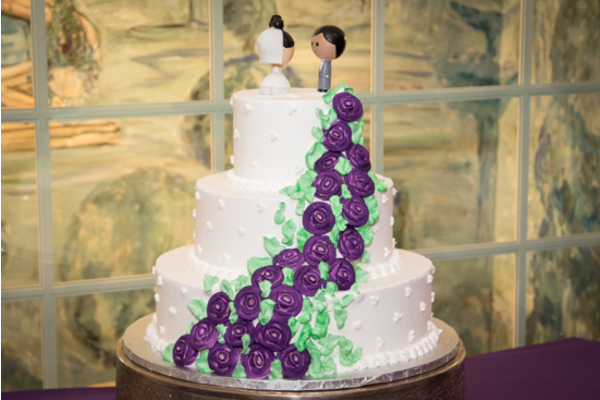 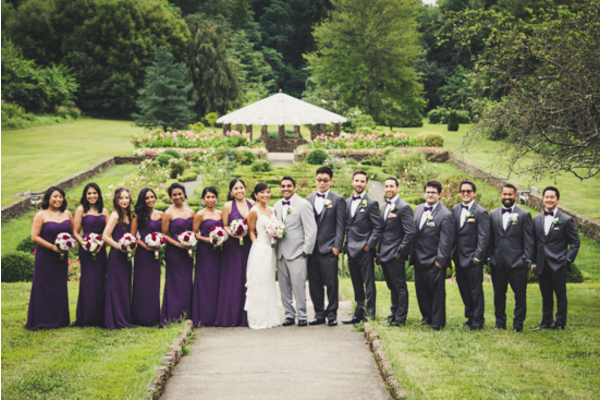 The traditional ceremony was so beautiful and all their guests had tears of joy in their eyes! 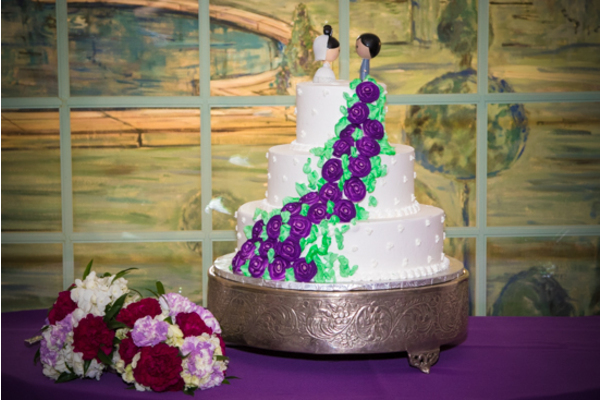 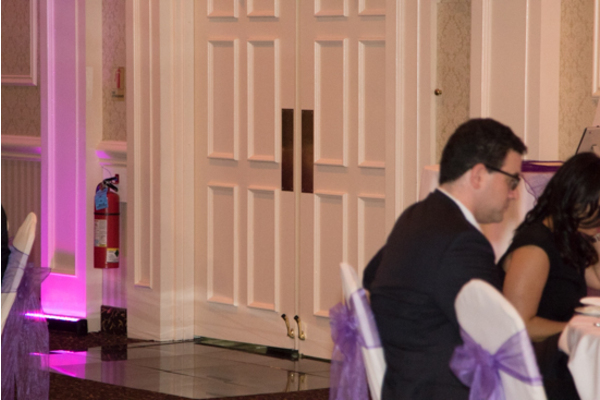 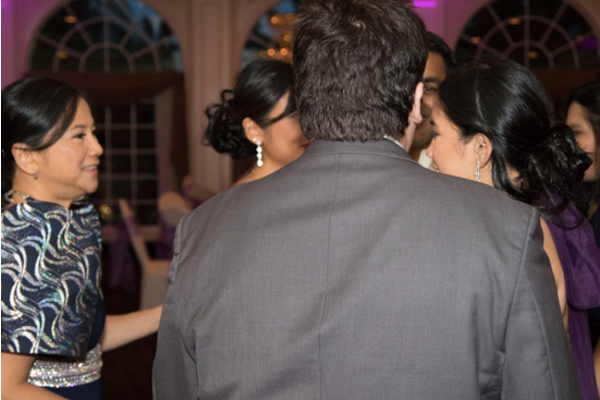 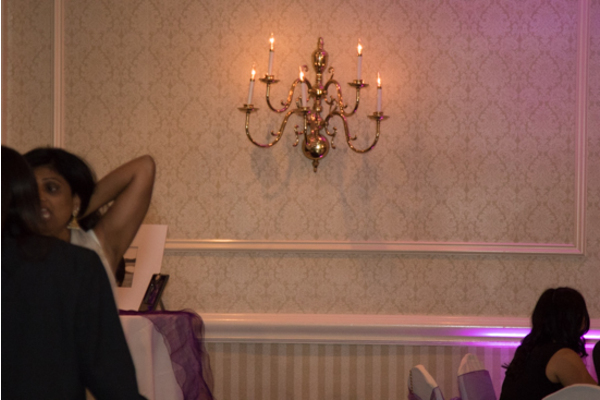 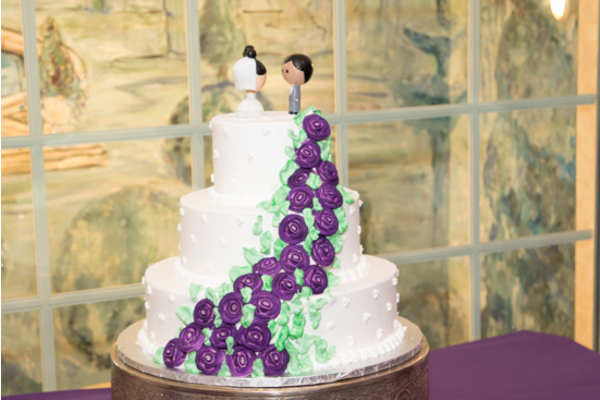 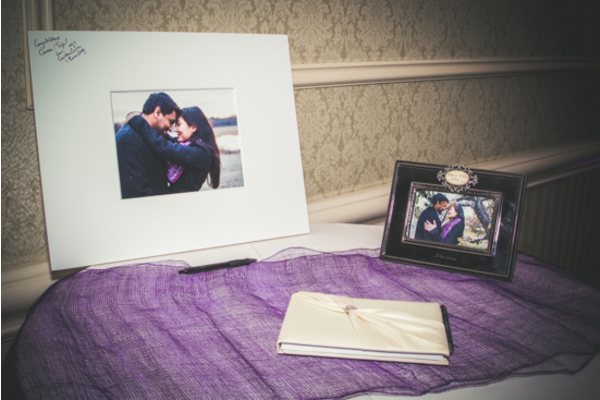 Our NJ Wedding Photographer was sure not to miss any of the speeches and of course the first kiss. 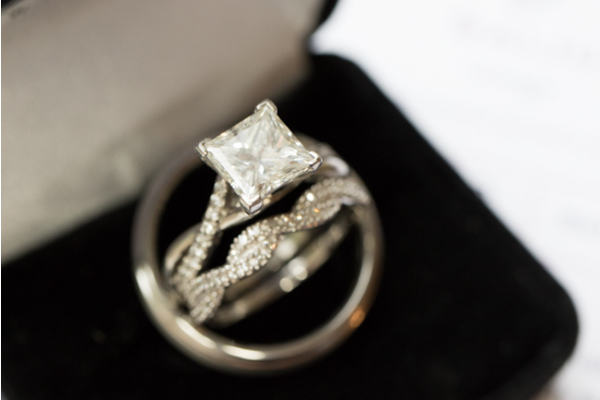 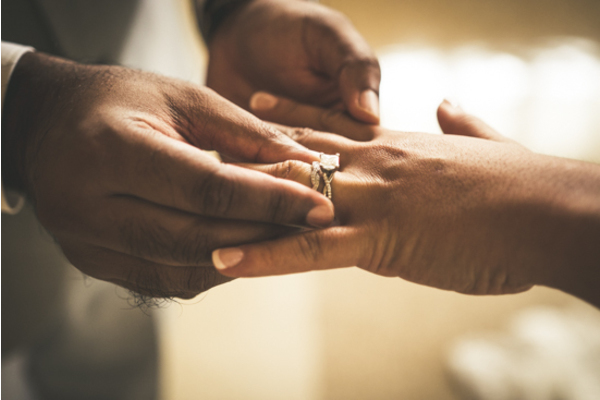 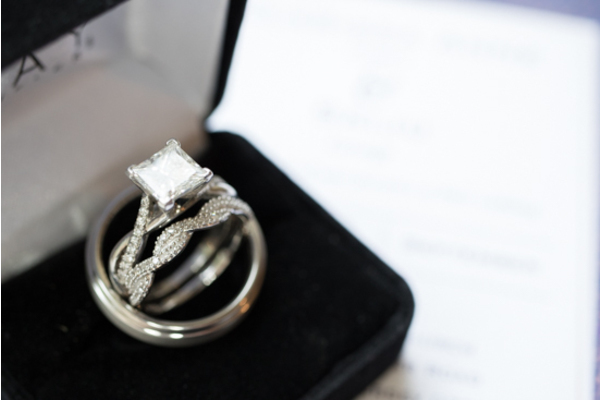 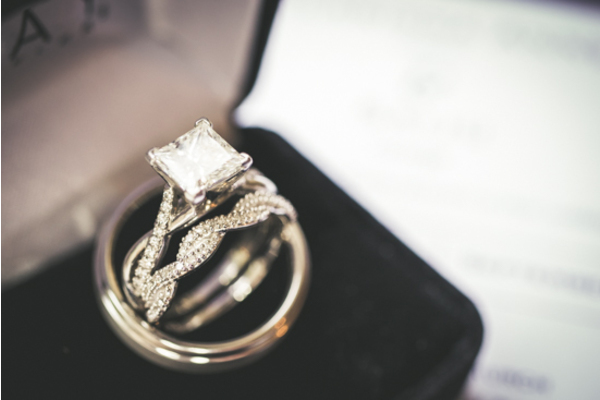 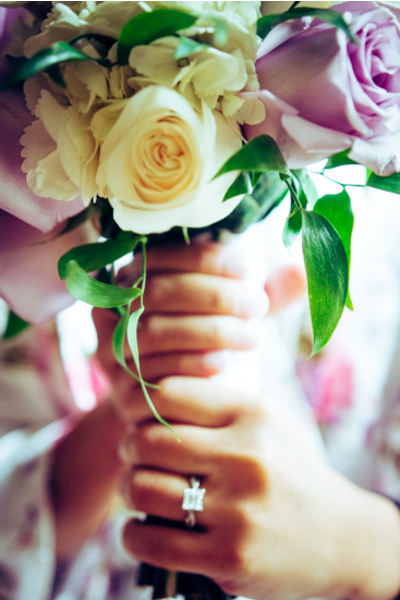 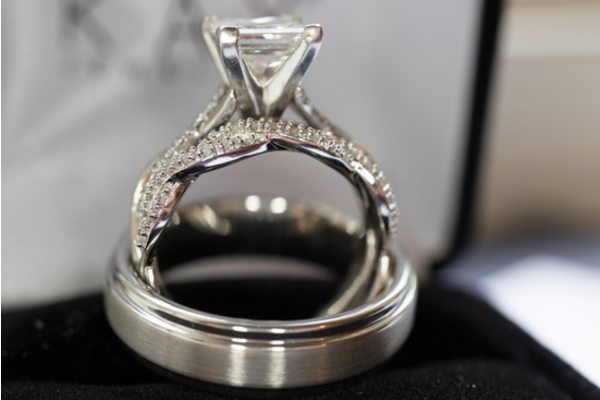 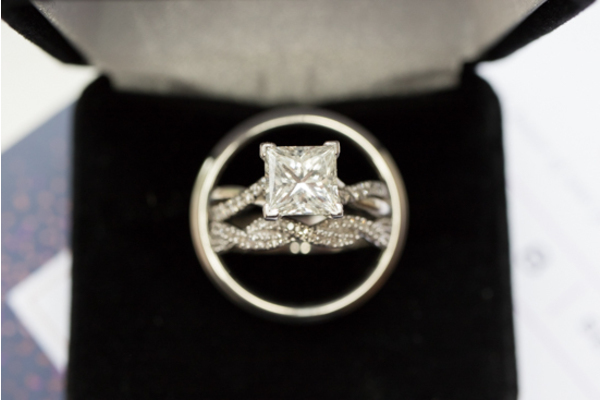 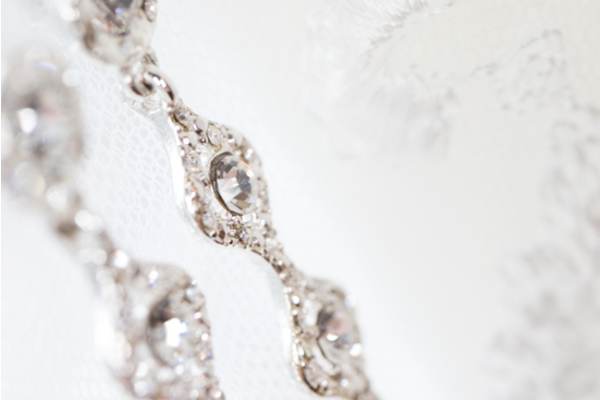 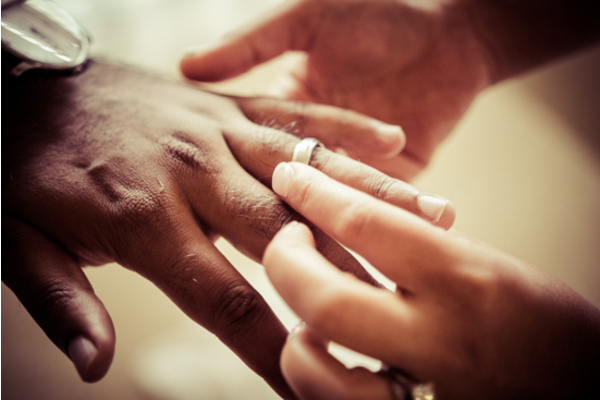 When the rings were placed on their fingers, they were officially announced husband and wife! 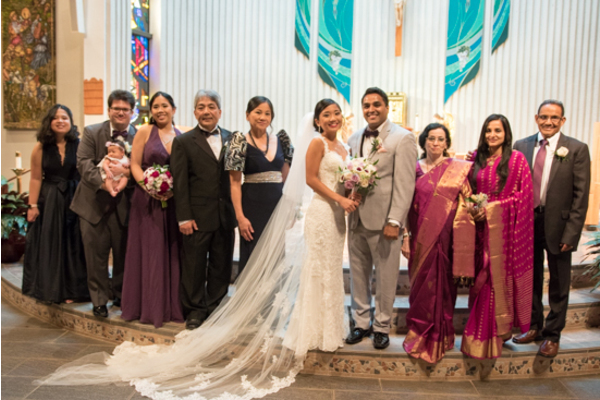 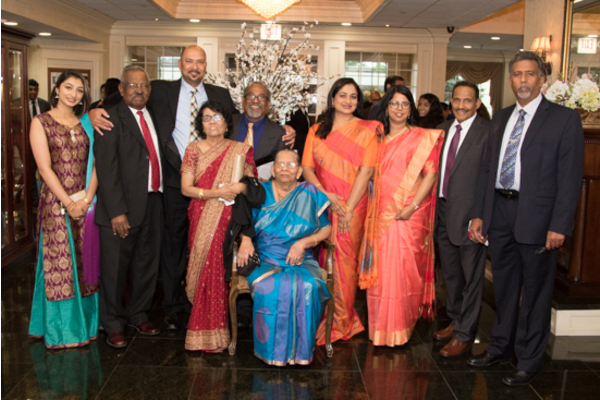 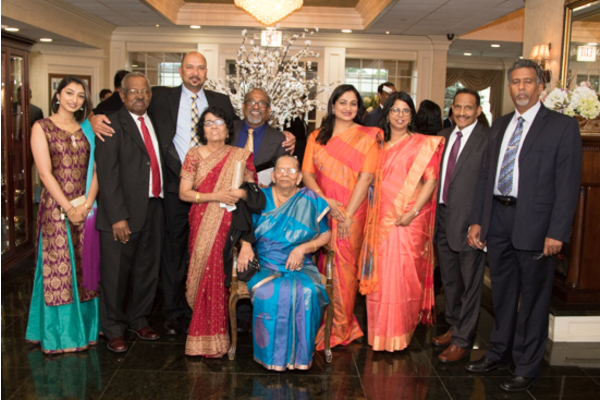 Following, Saiju and Clarissa posed with their loved ones for fun group photos. 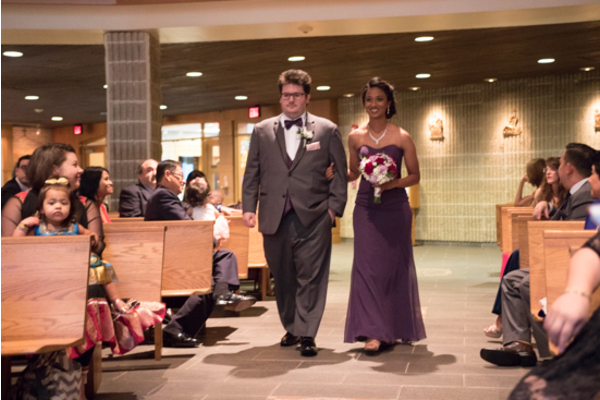 These two were so cute as they went around the grounds together before heading to the reception. 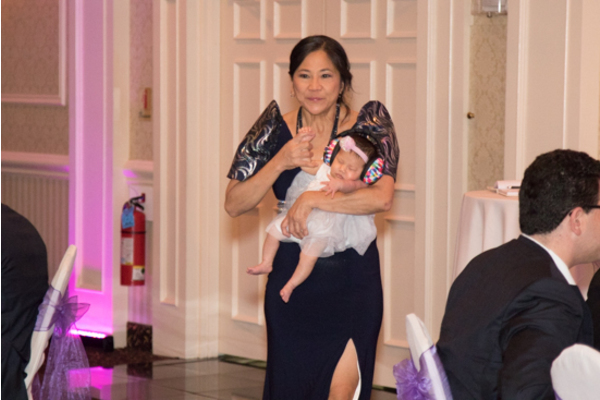 After a quick outfit change, it was time to party! 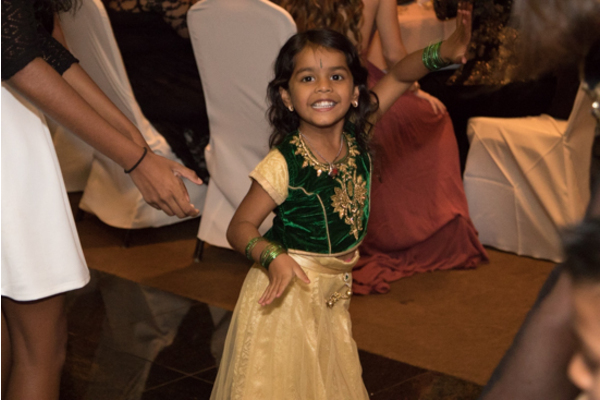 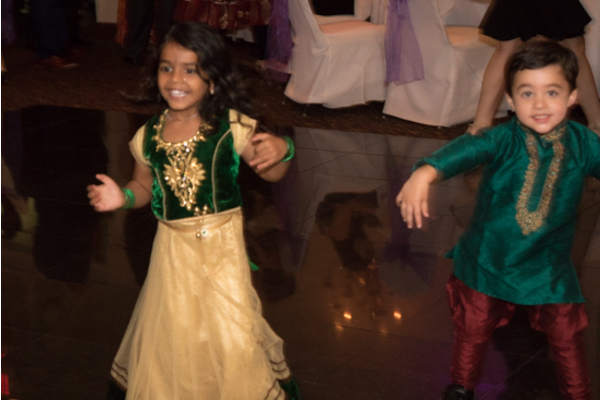 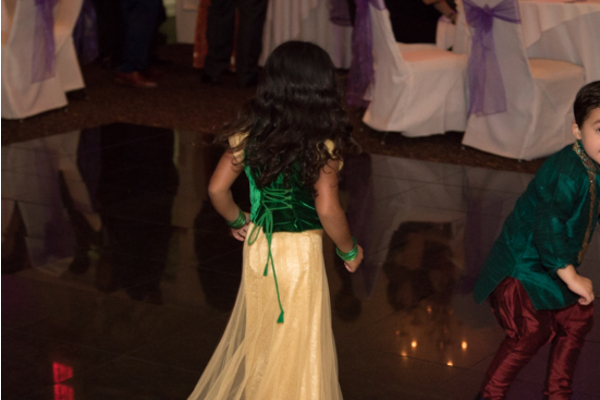 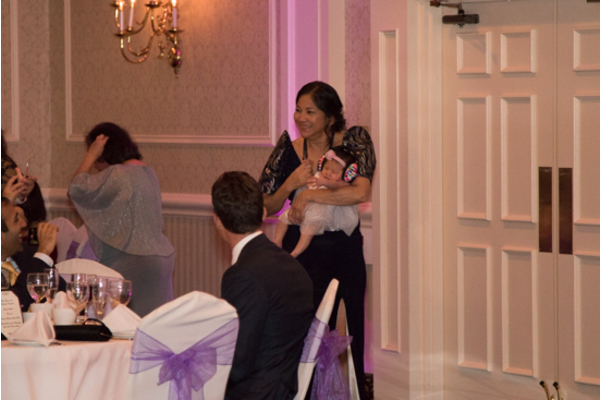 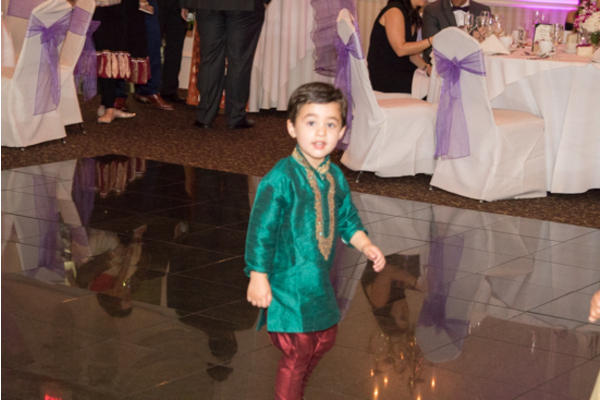 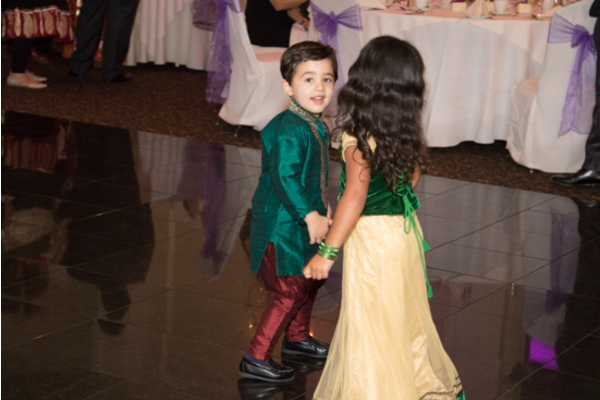 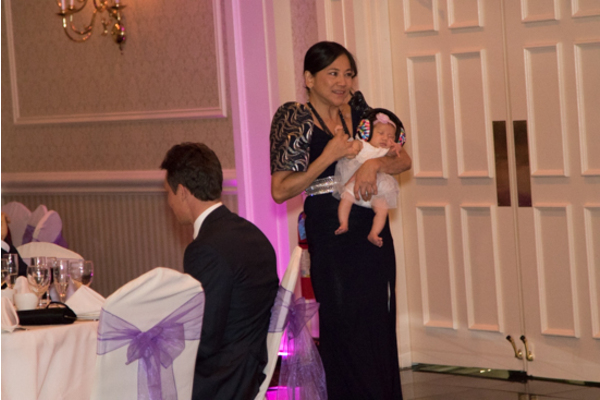 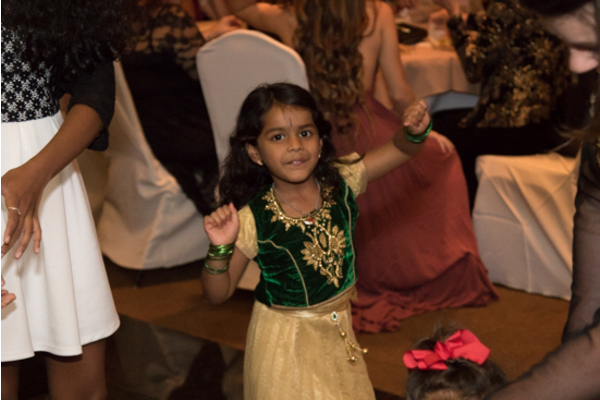 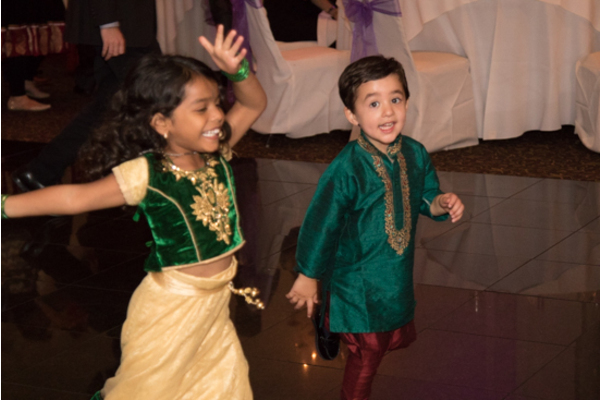 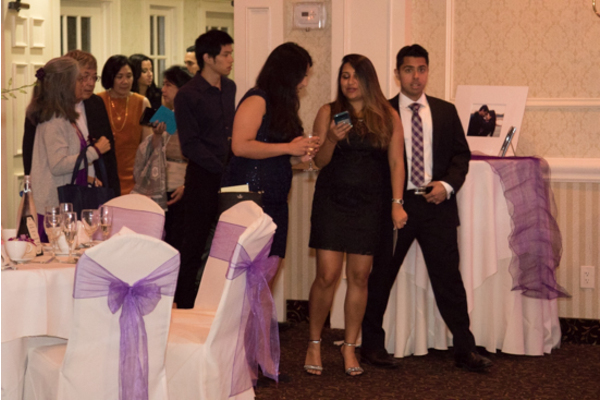 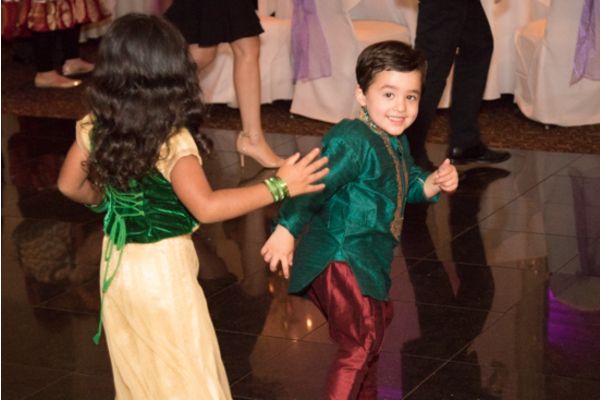 Everyone quickly got down on the dance floor and had such a fun time! 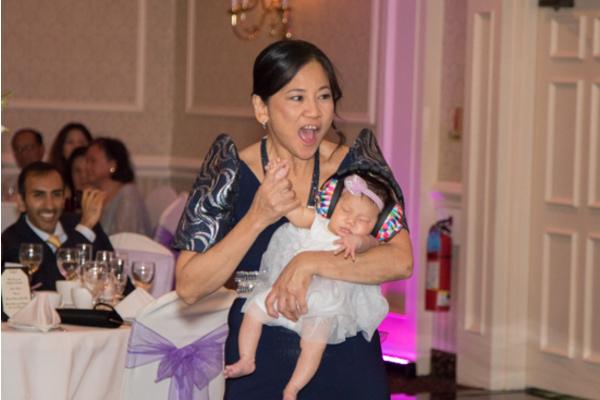 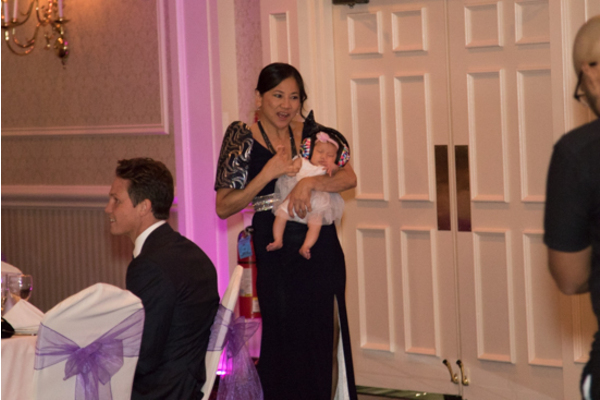 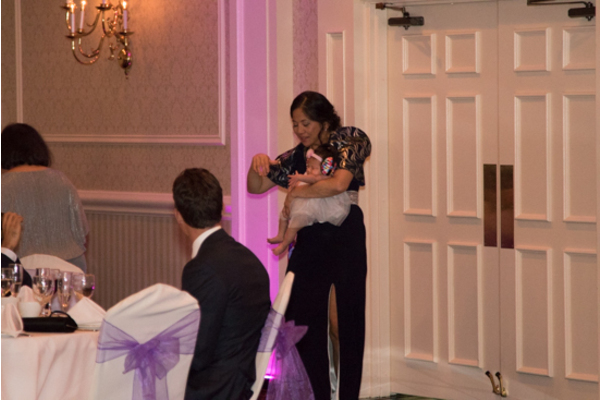 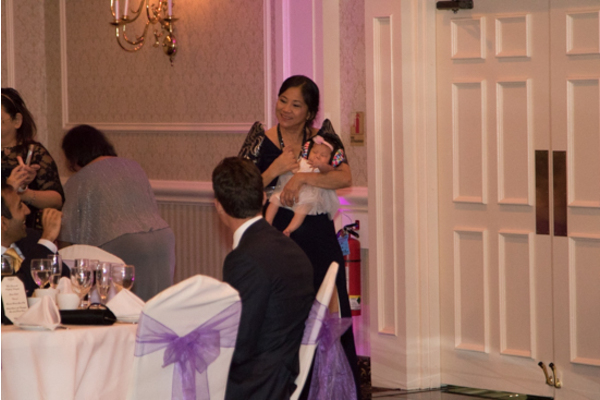 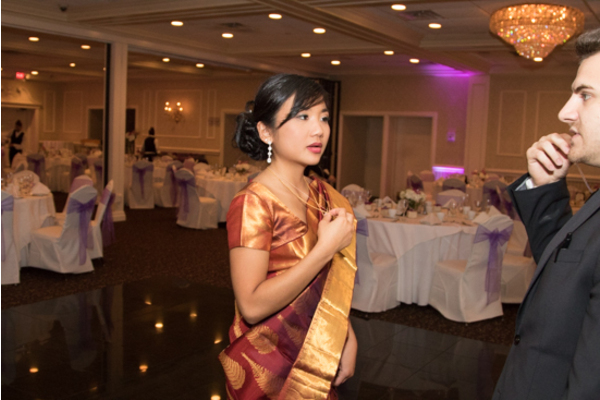 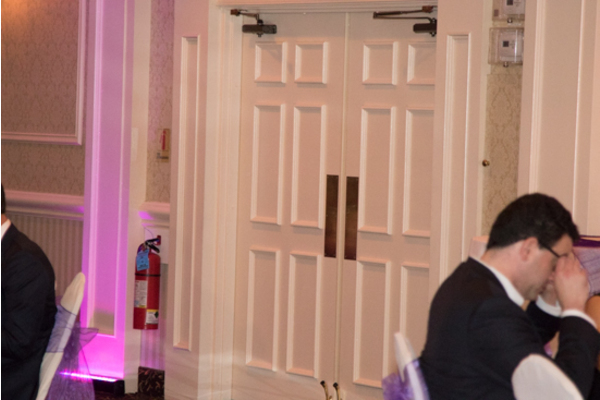 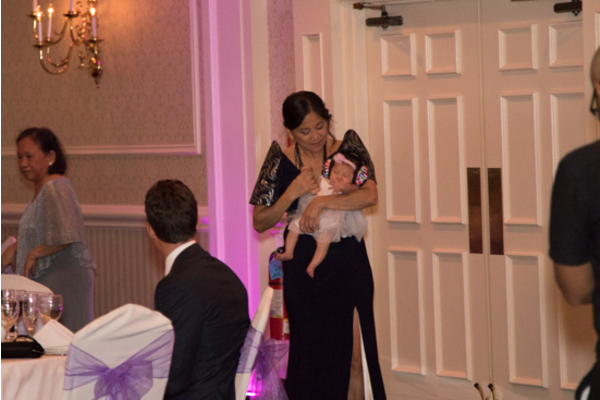 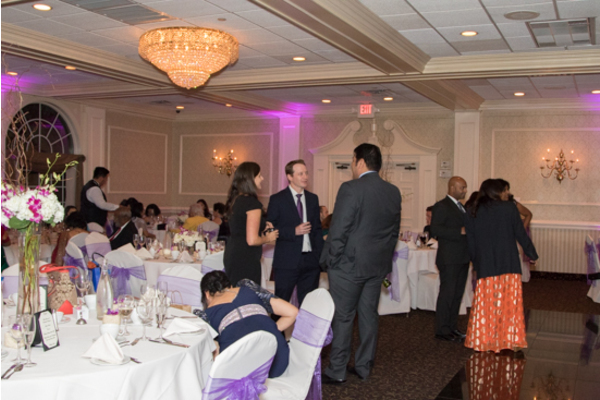 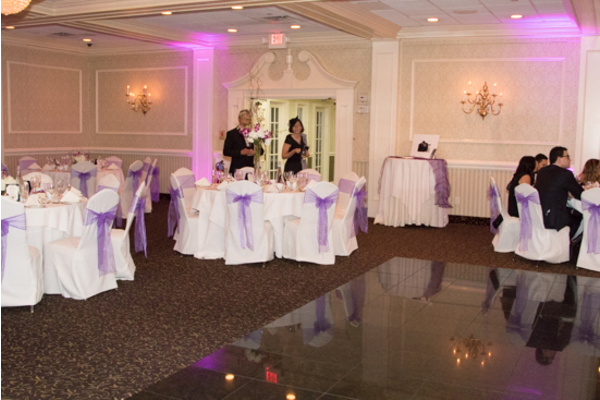 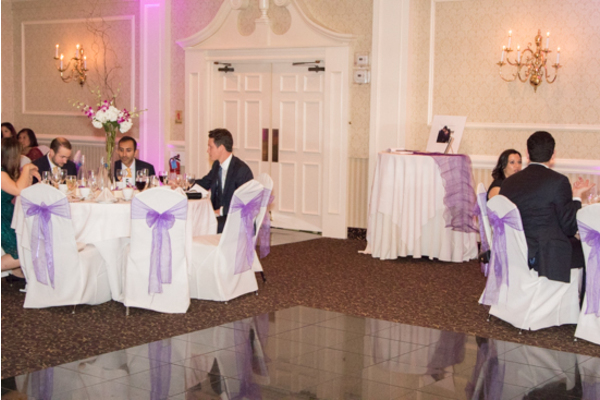 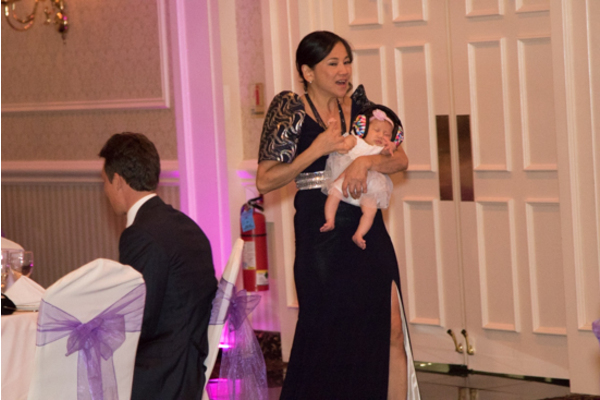 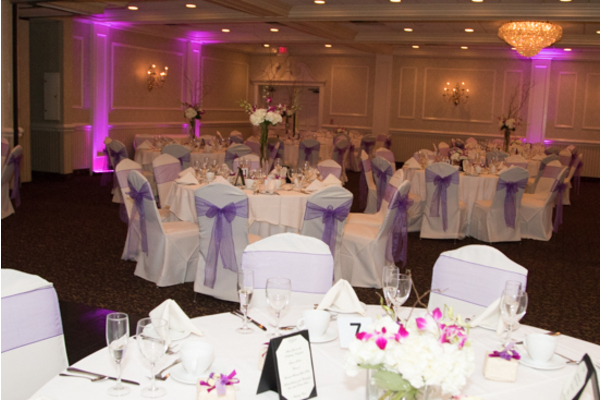 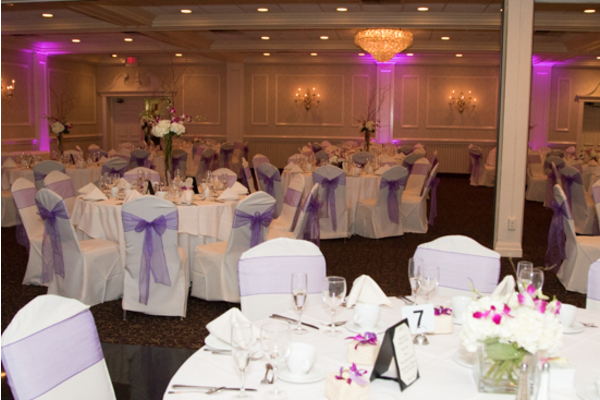 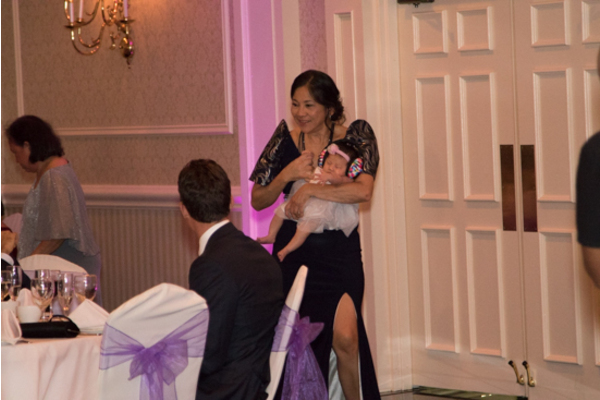 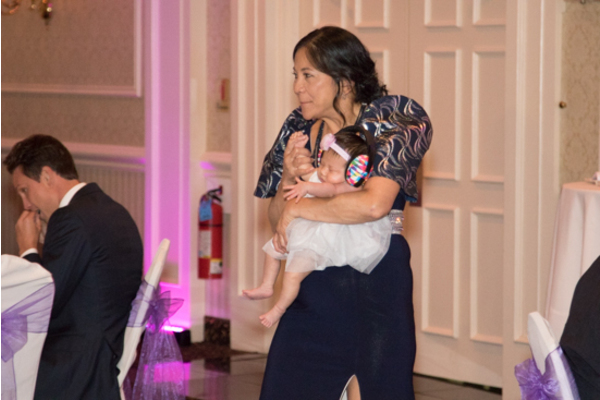 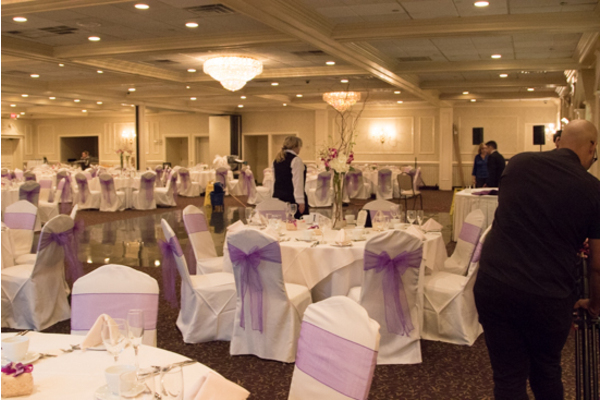 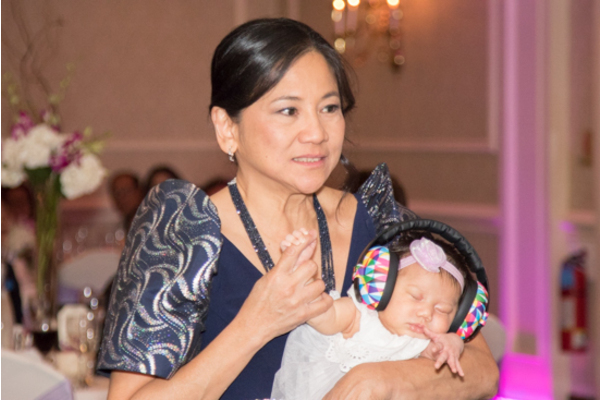 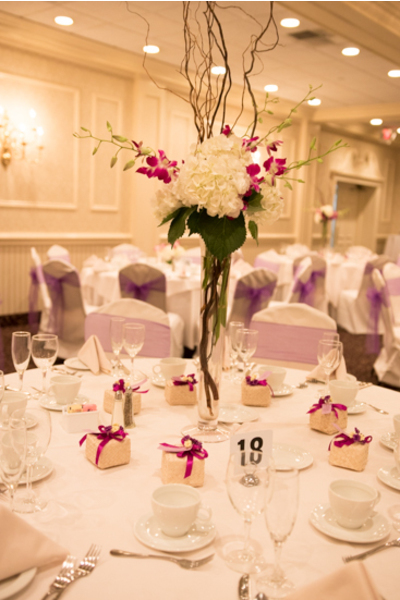 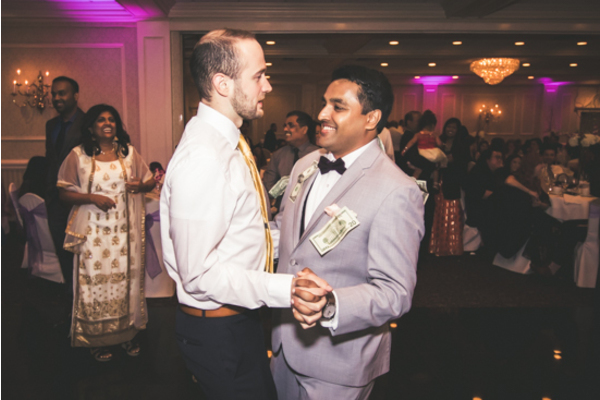 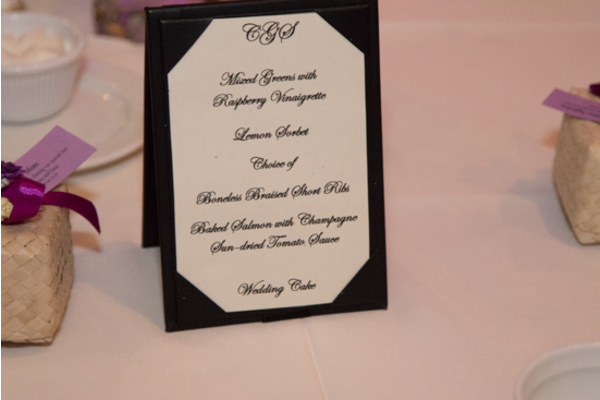 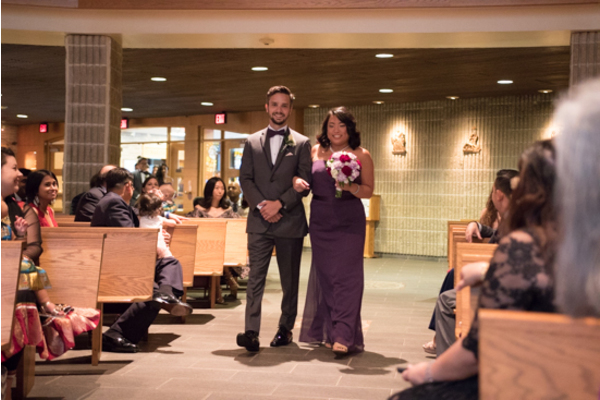 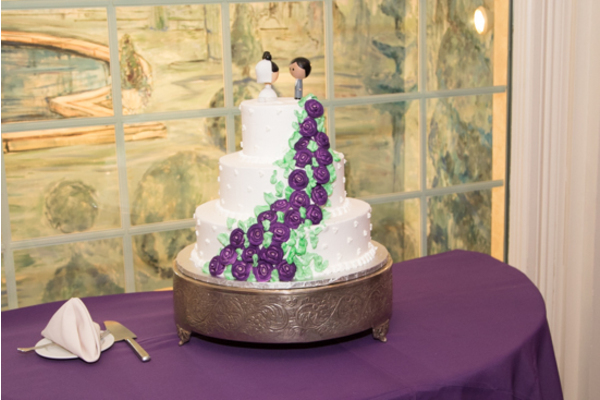 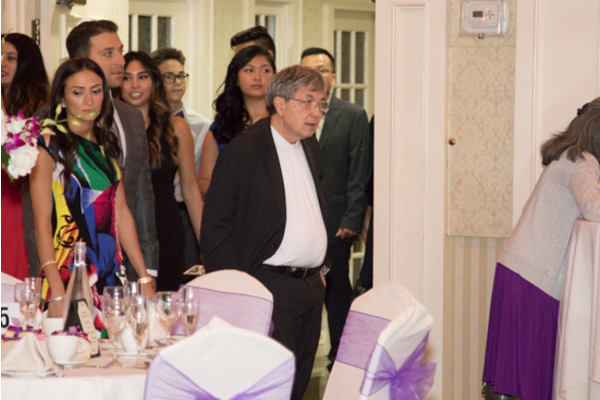 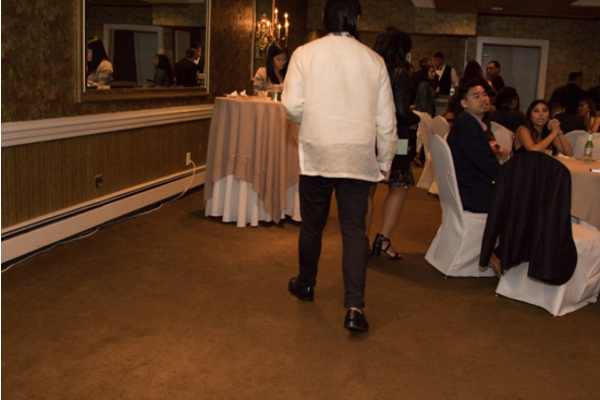 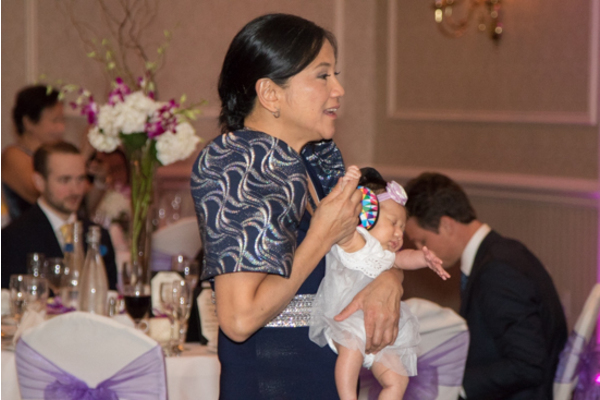 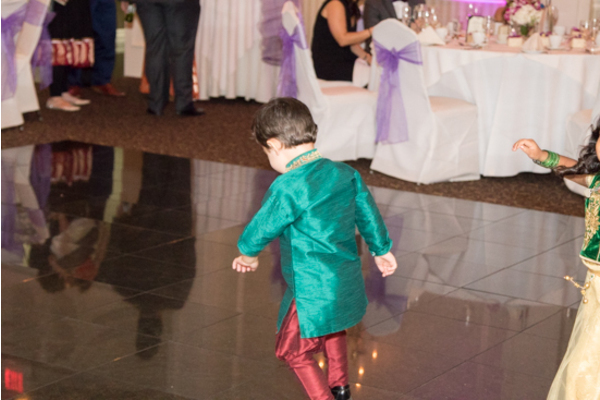 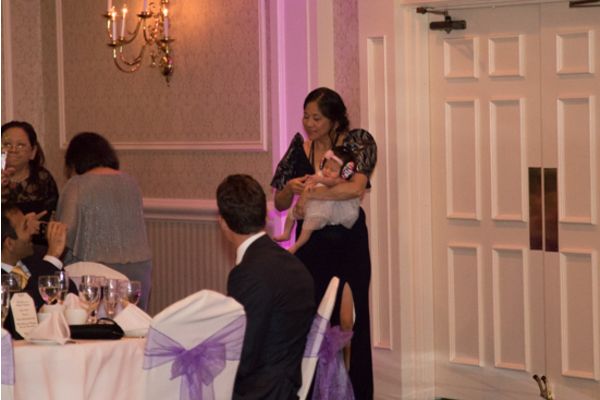 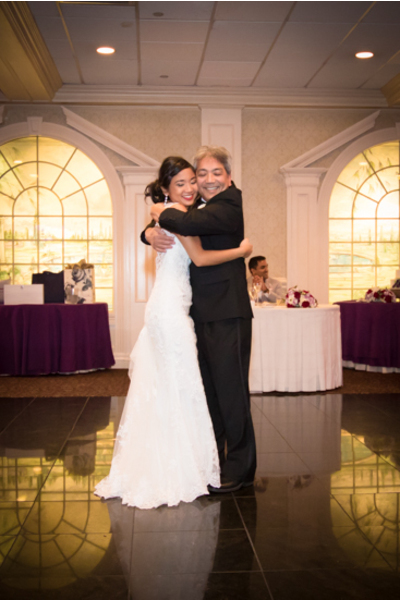 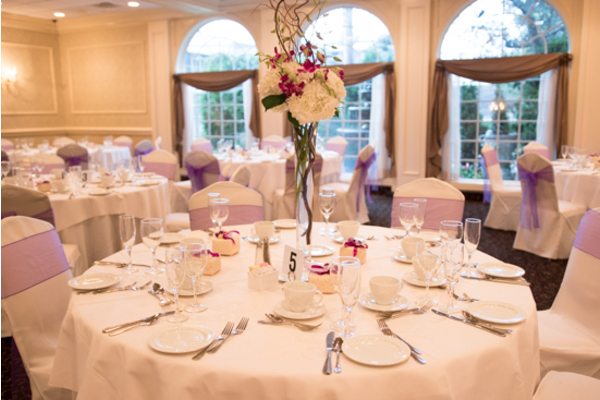 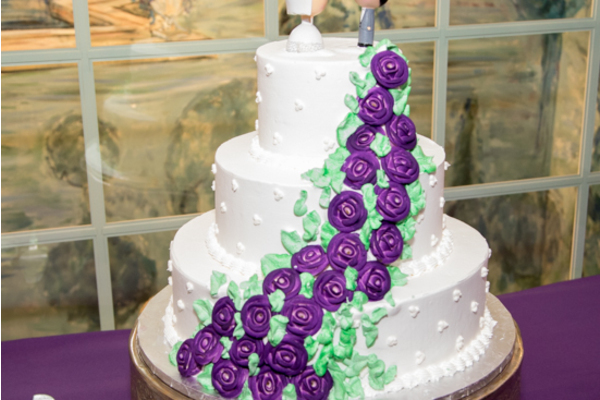 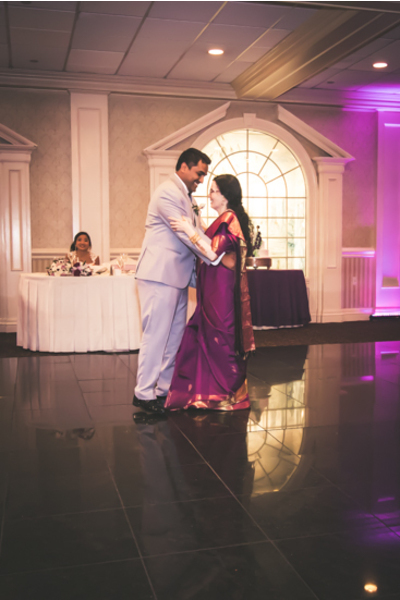 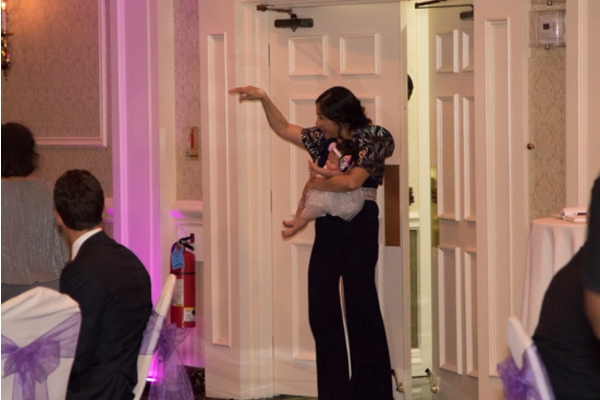 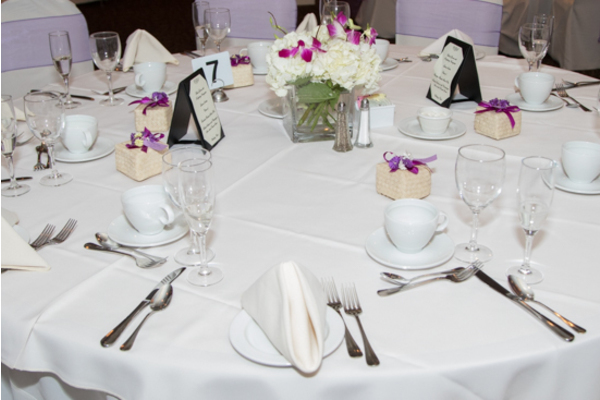 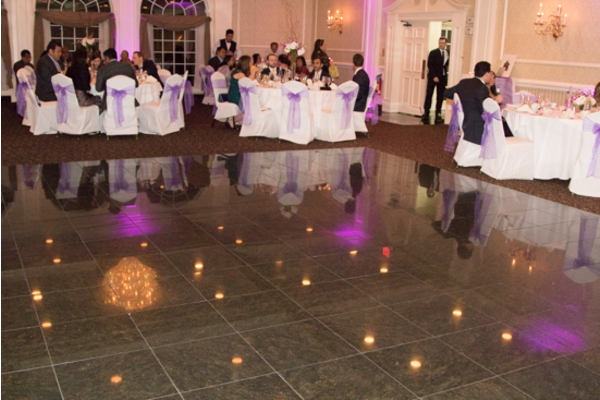 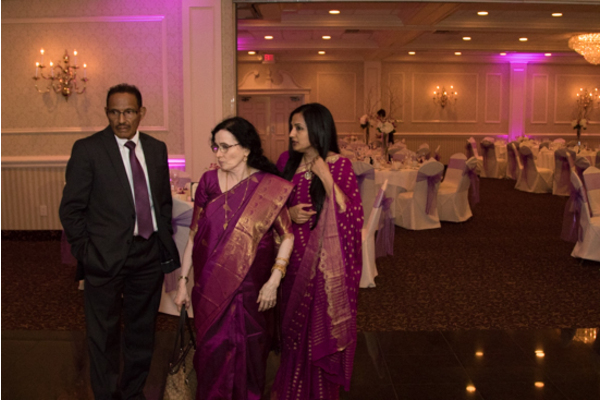 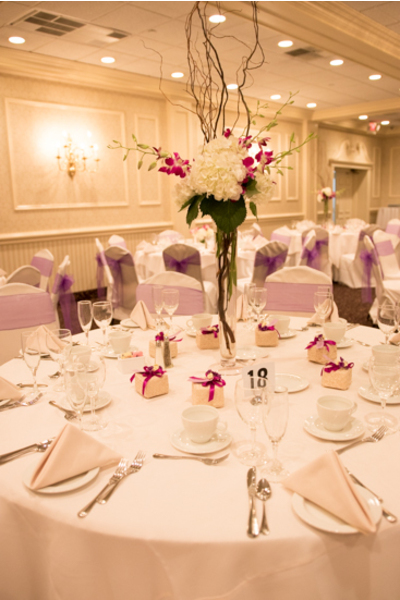 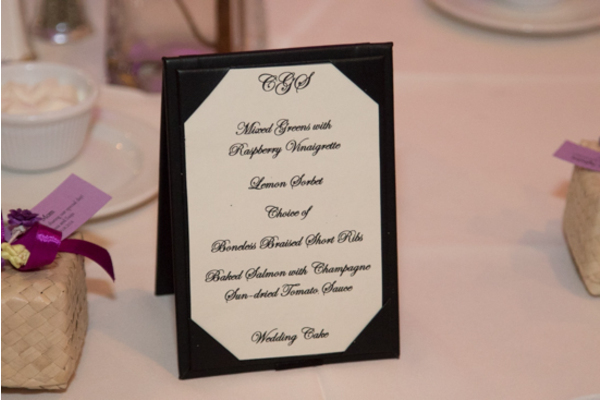 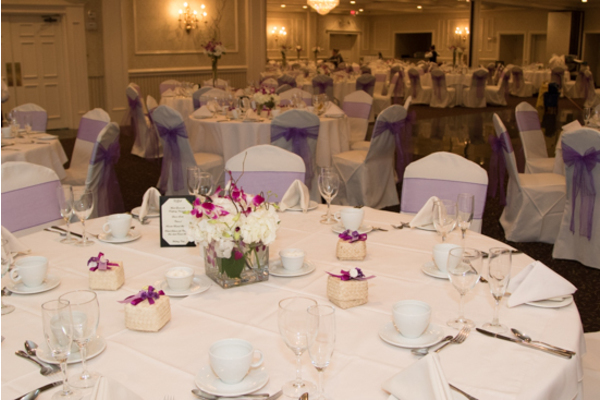 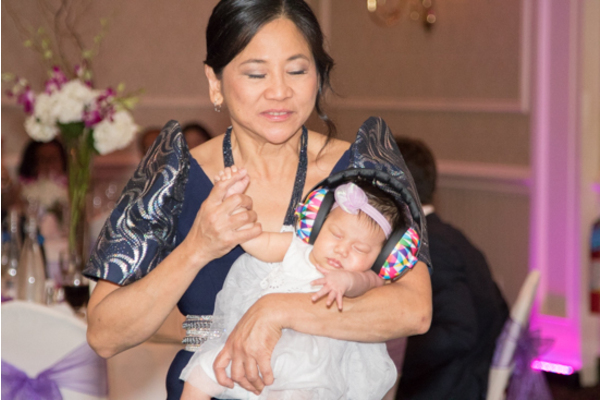 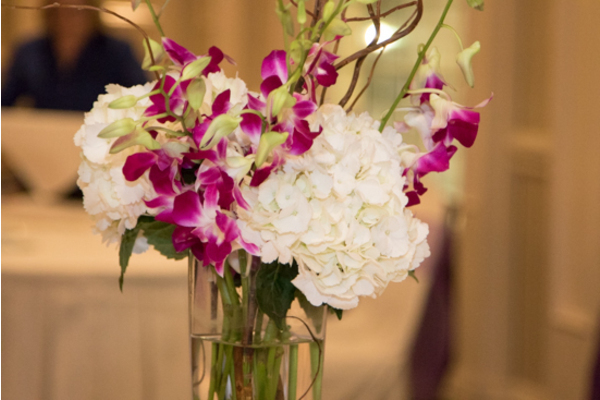 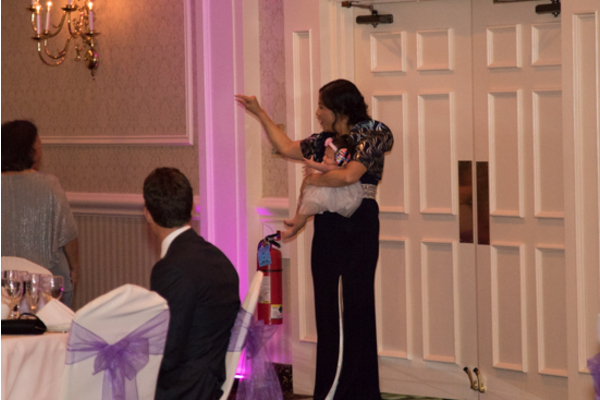 Our NJ Wedding Photographer did not miss a beat that night. 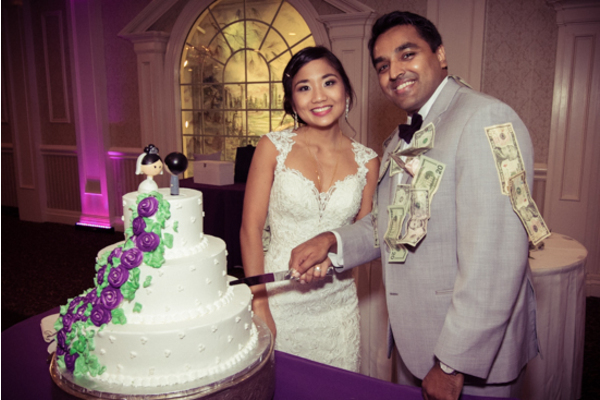 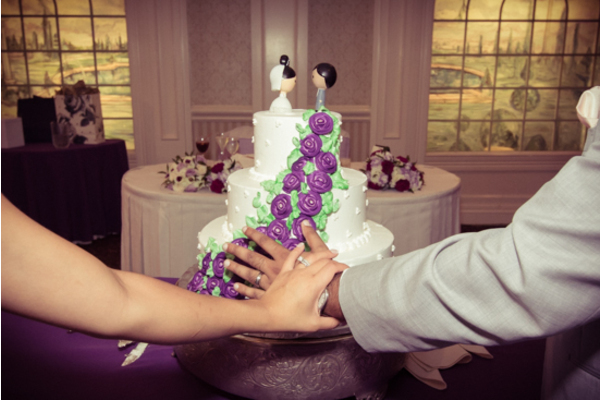 Guests had the best night celebrating these newlyweds! 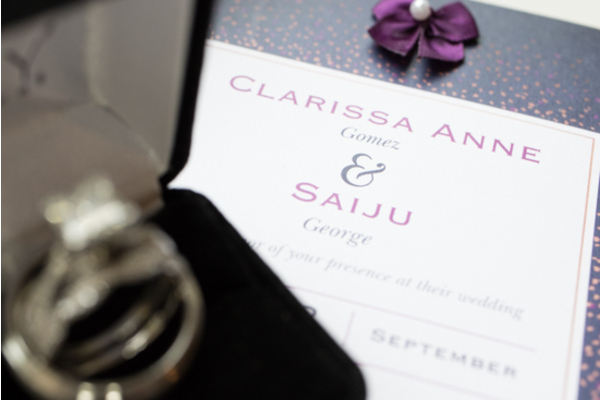 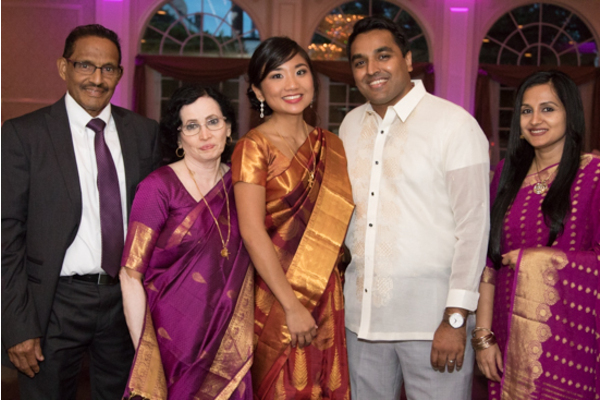 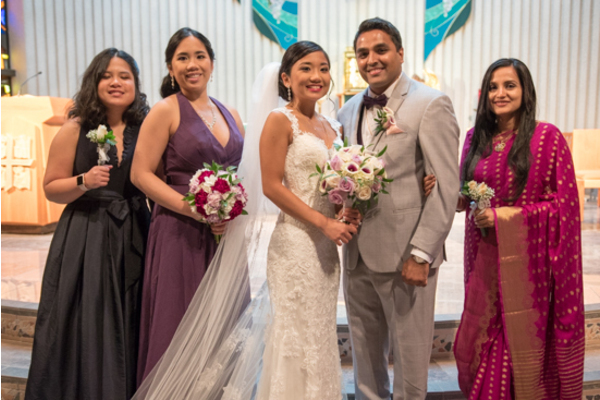 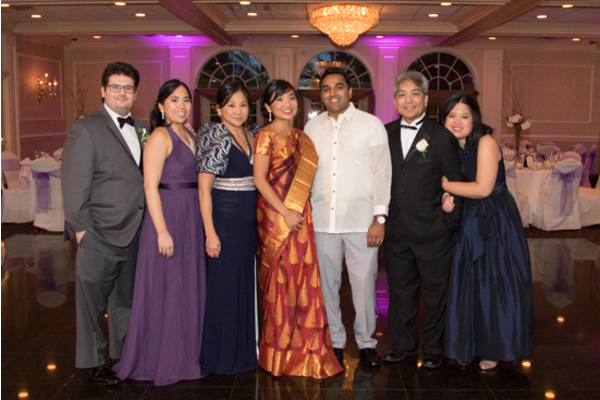 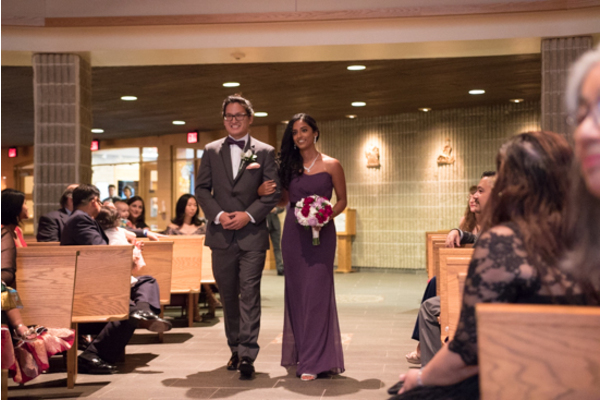 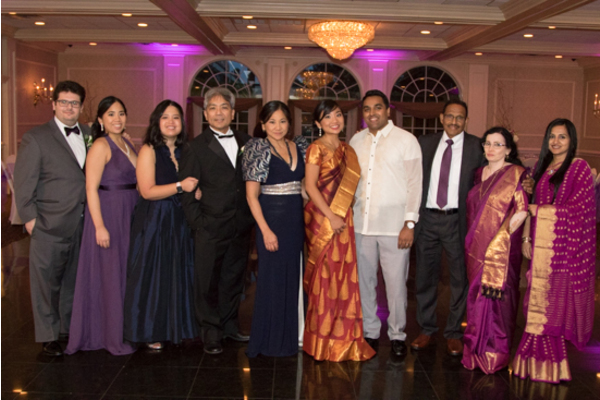 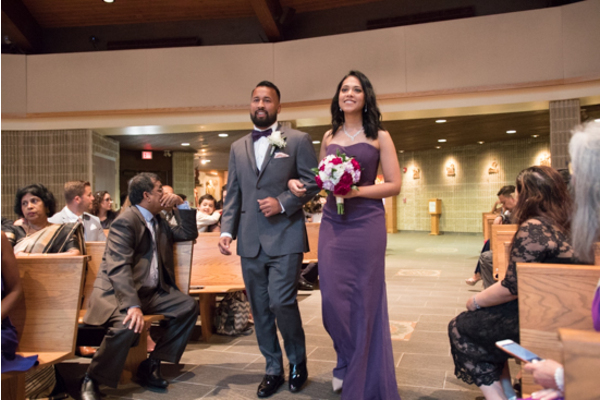 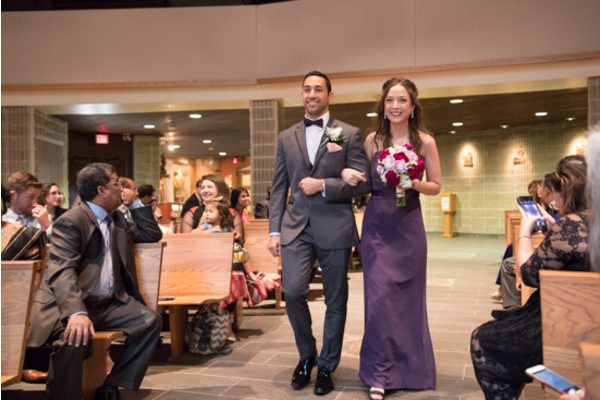 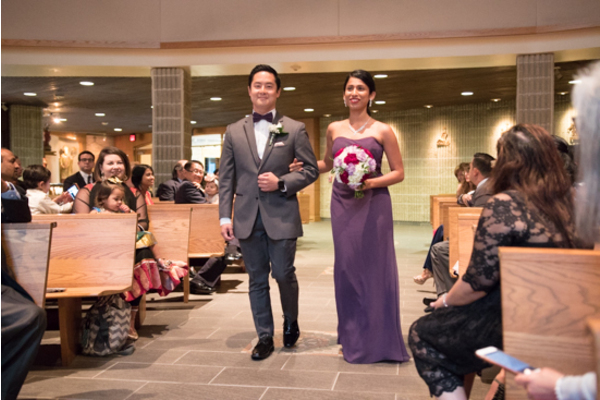 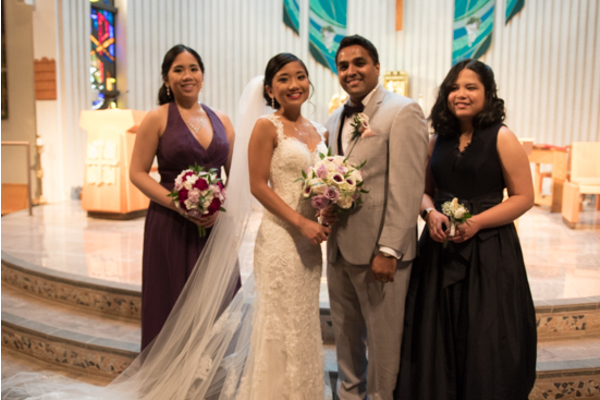 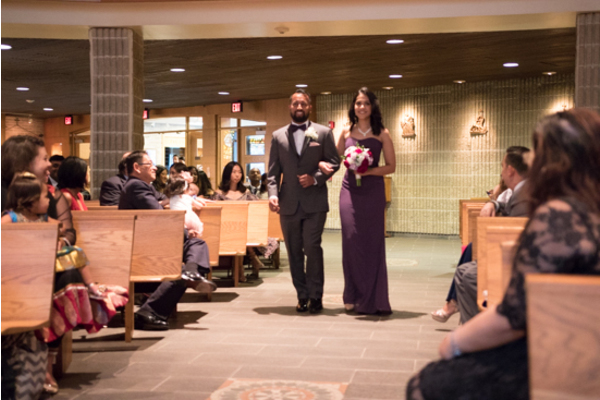 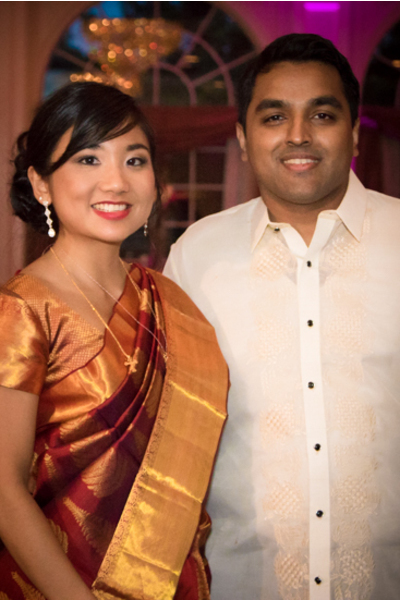 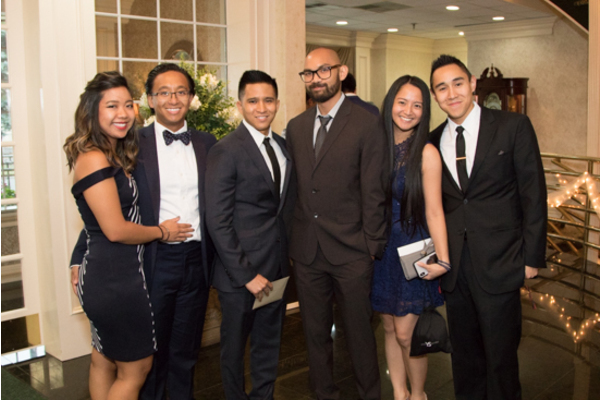 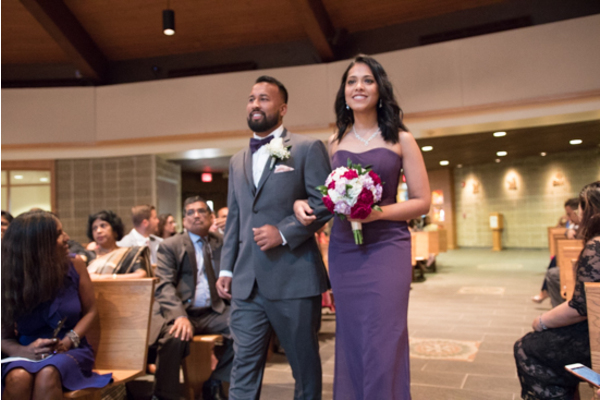 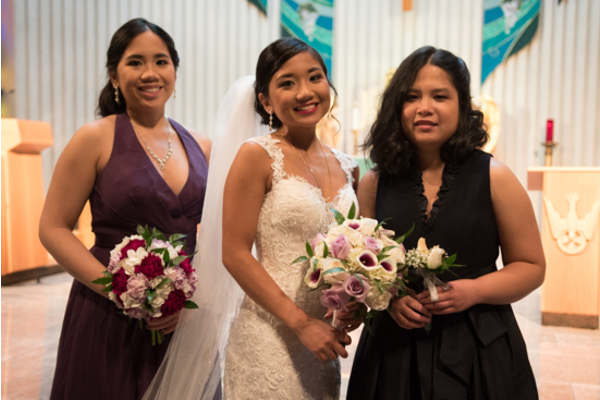 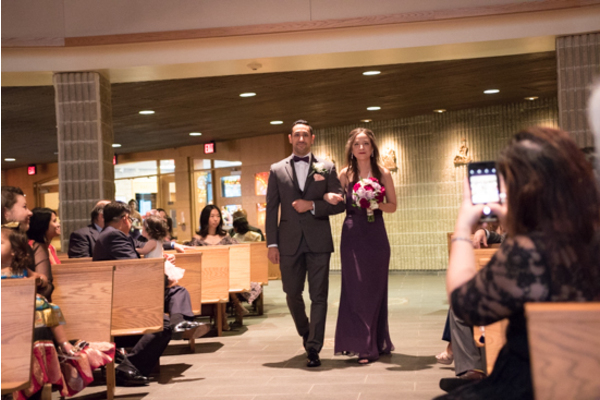 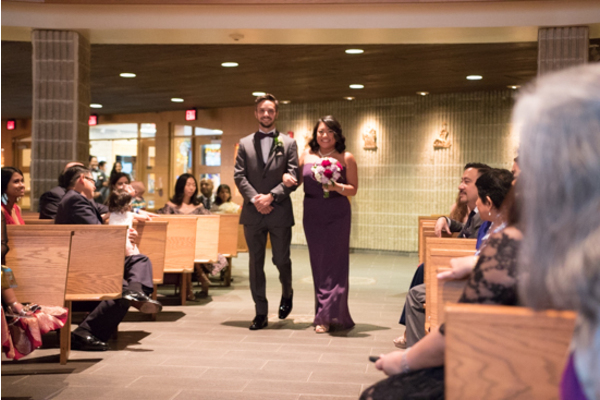 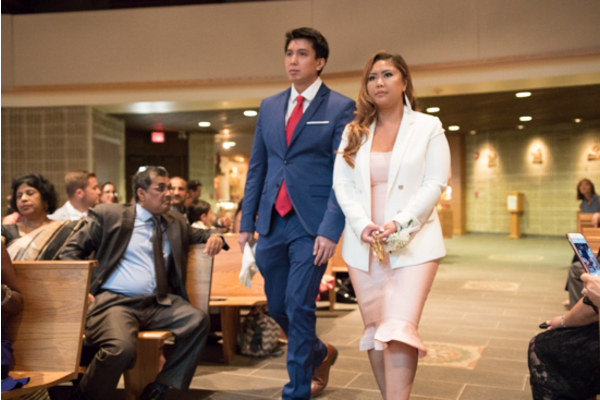 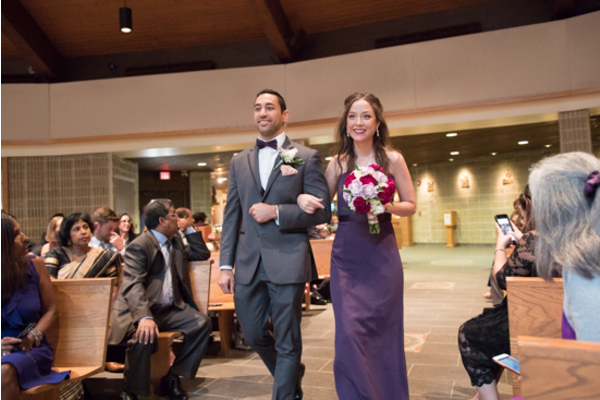 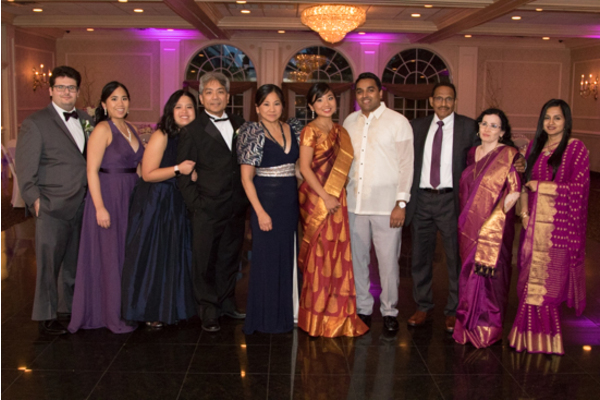 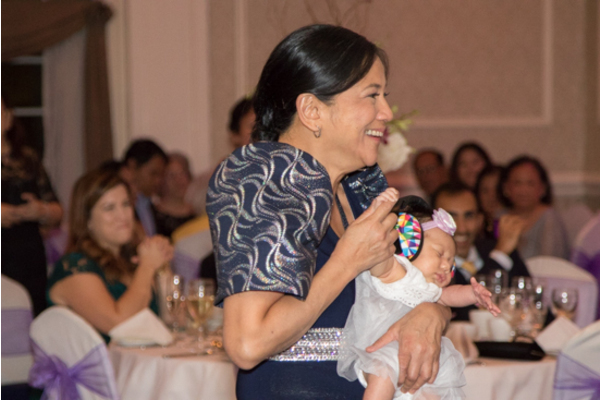 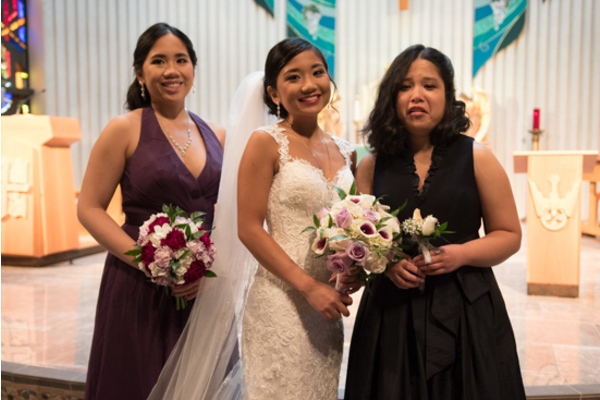 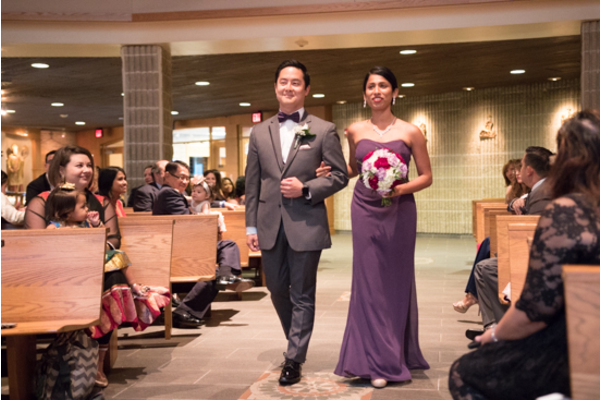 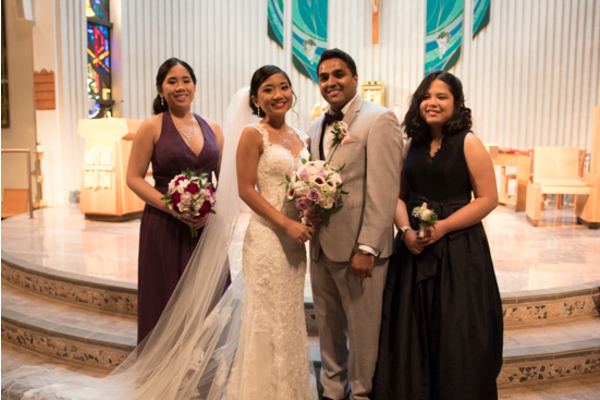 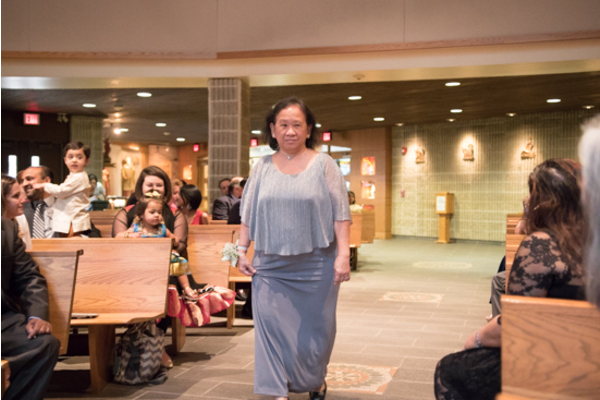 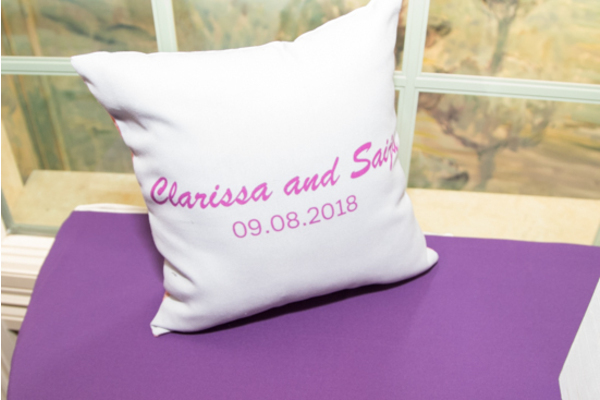 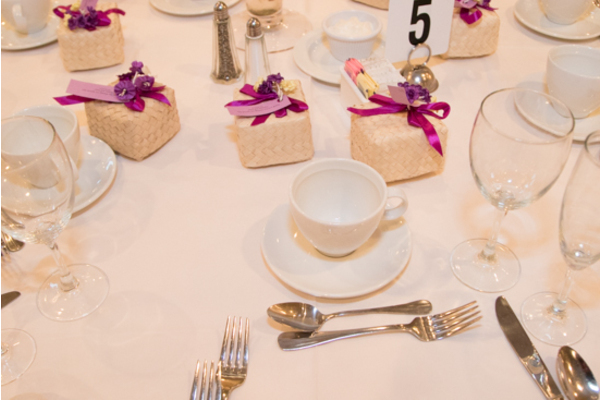 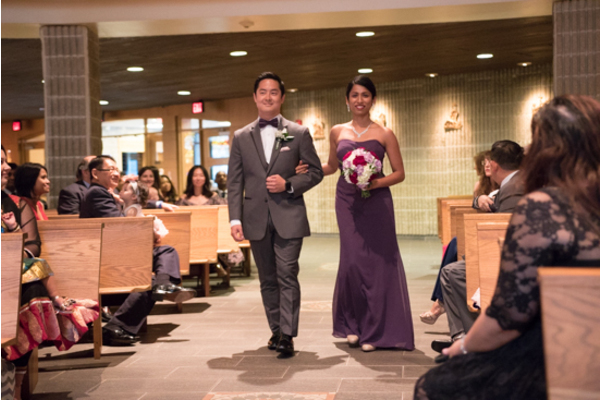 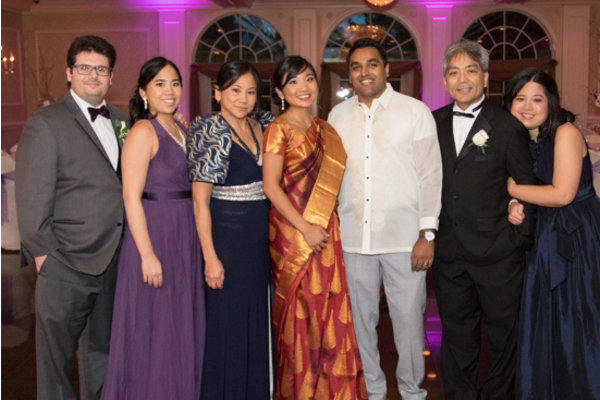 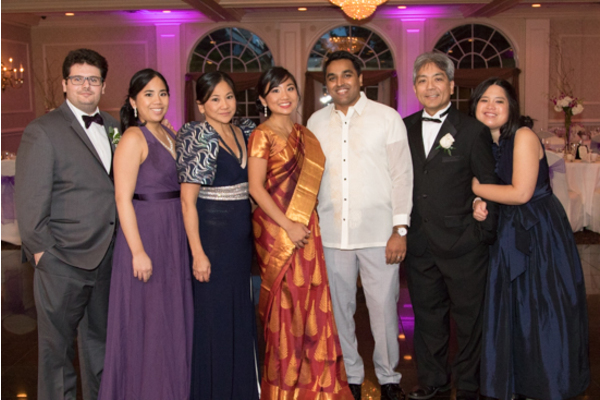 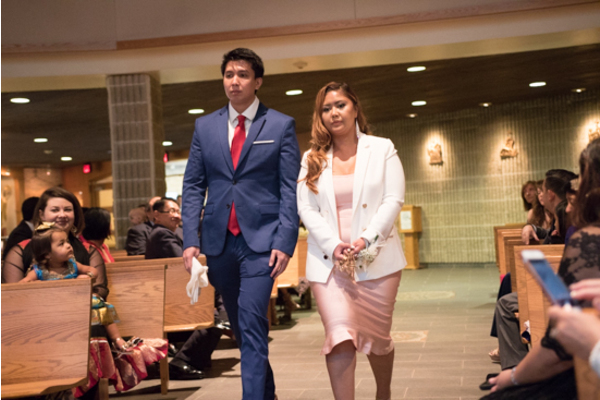 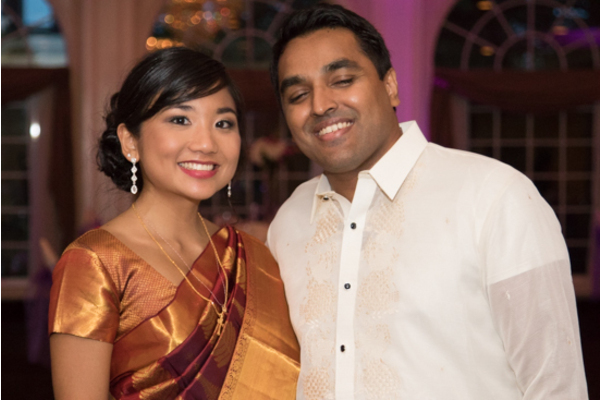 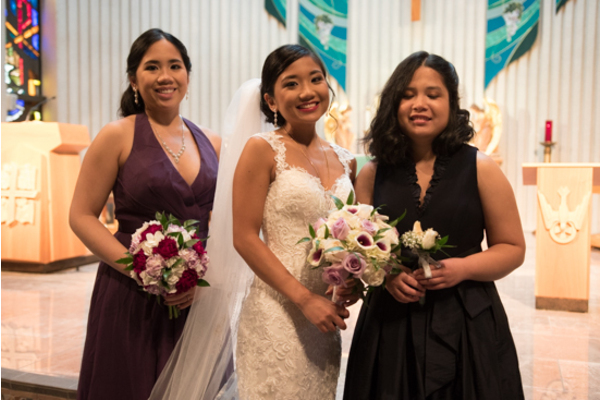 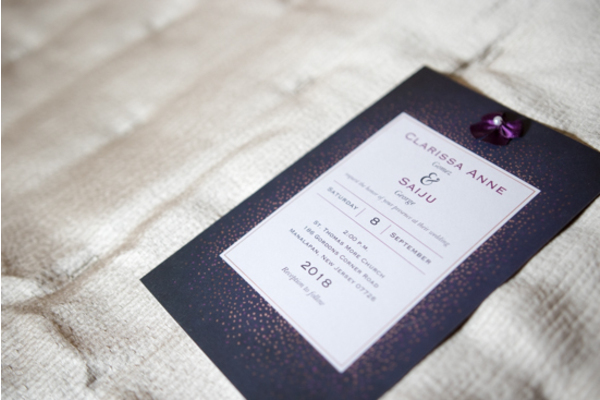 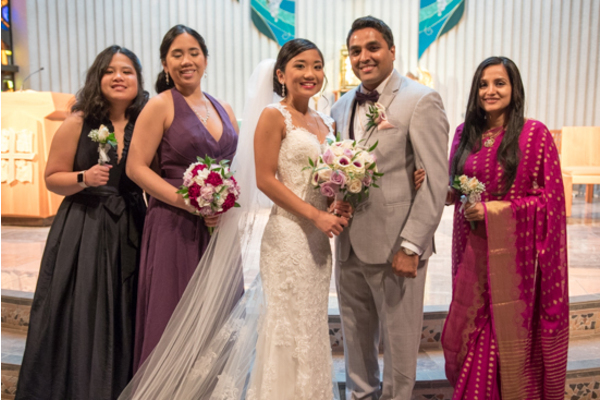 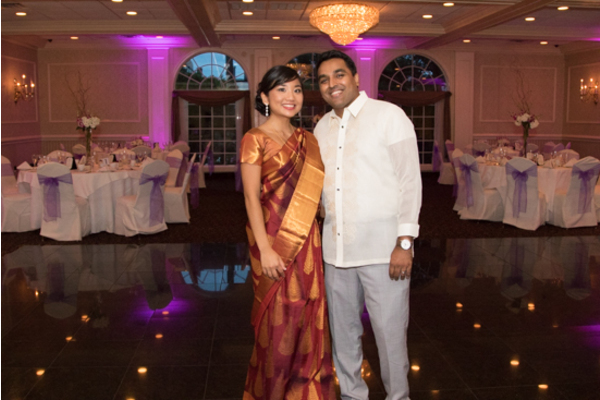 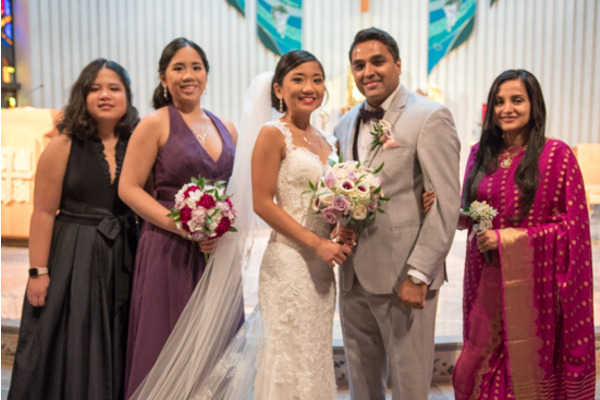 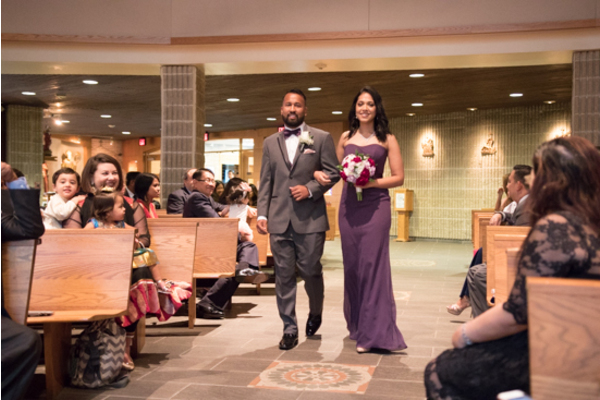 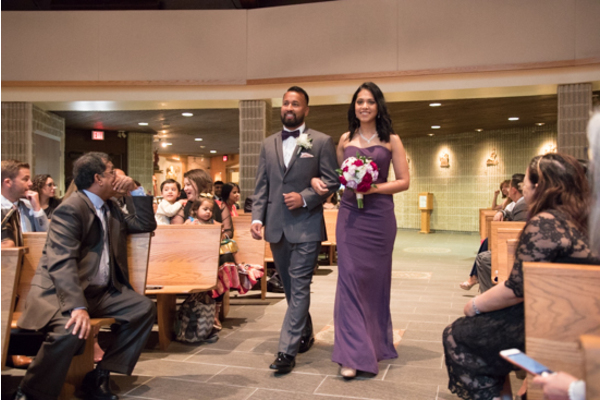 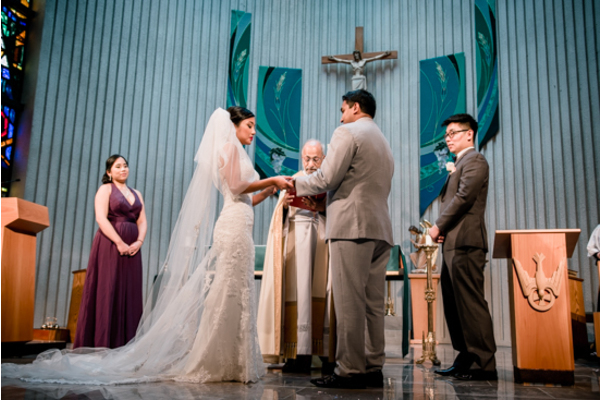 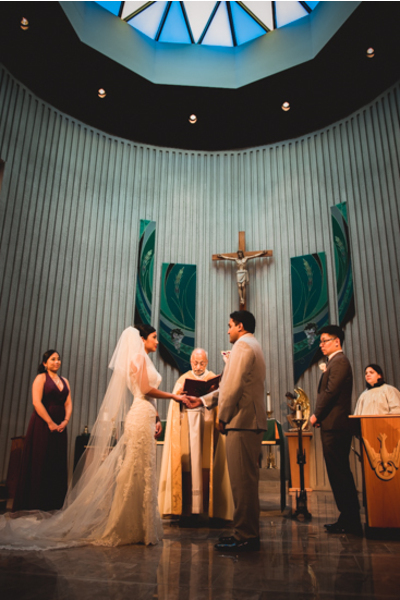 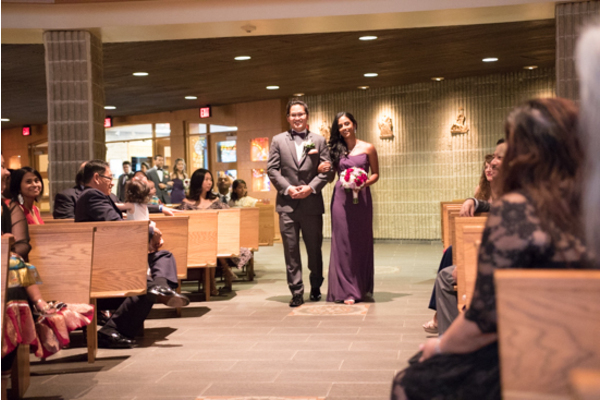 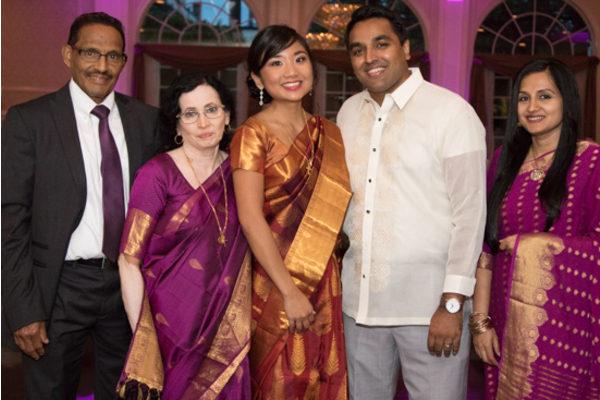 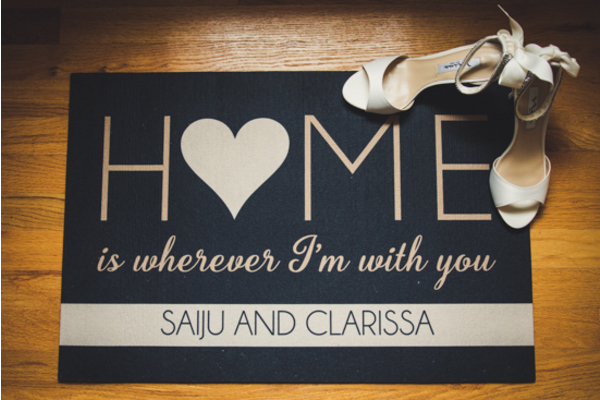 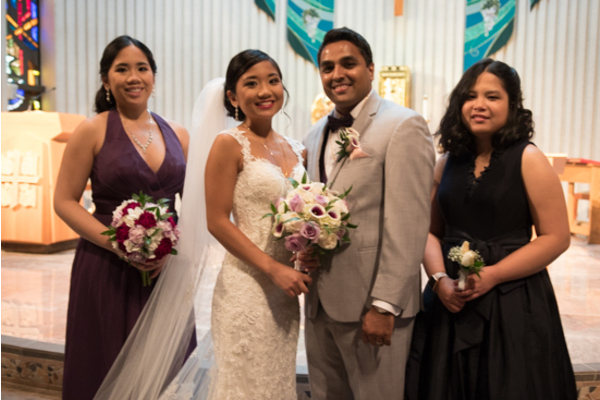 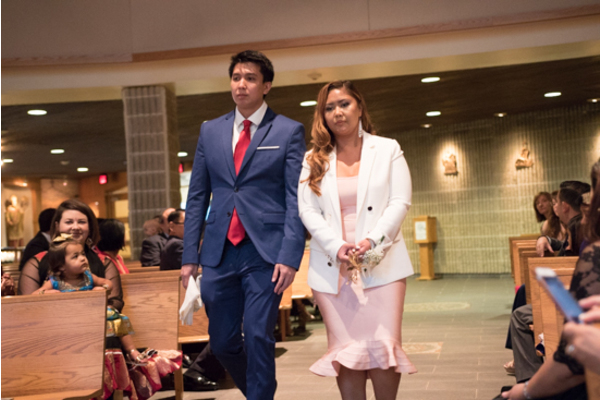 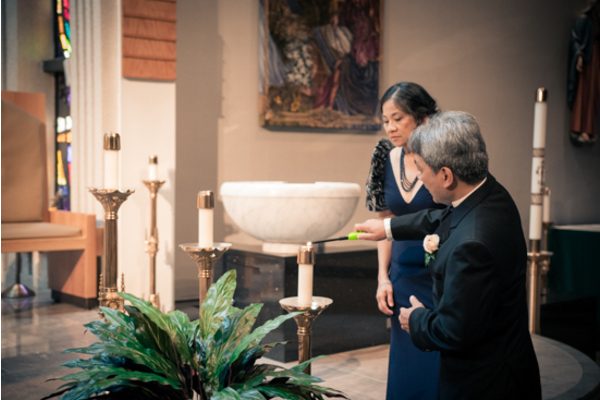 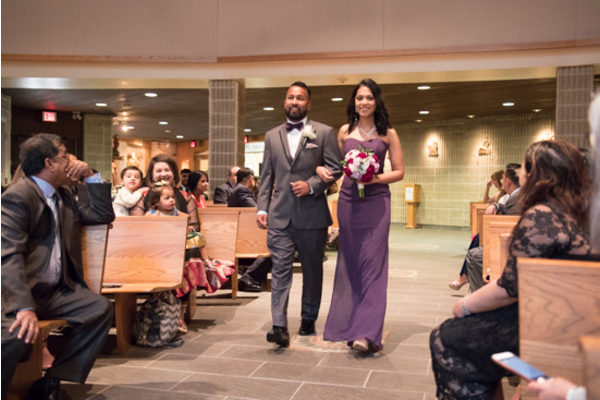 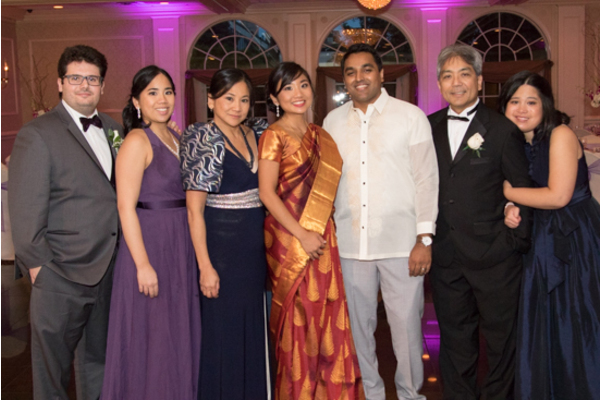 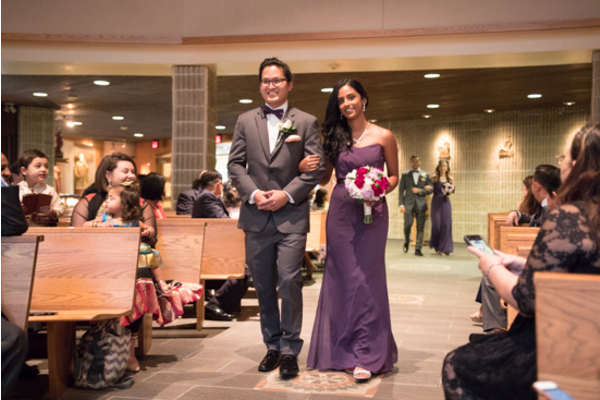 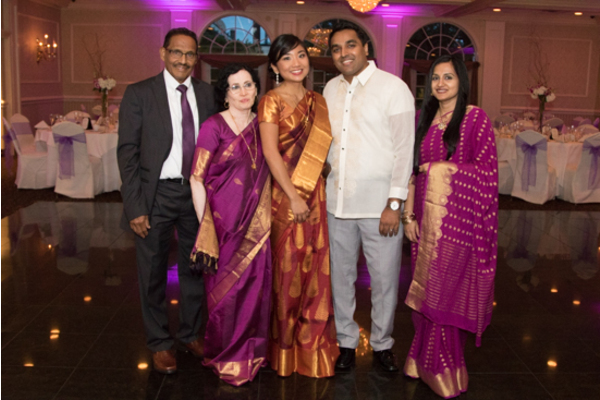 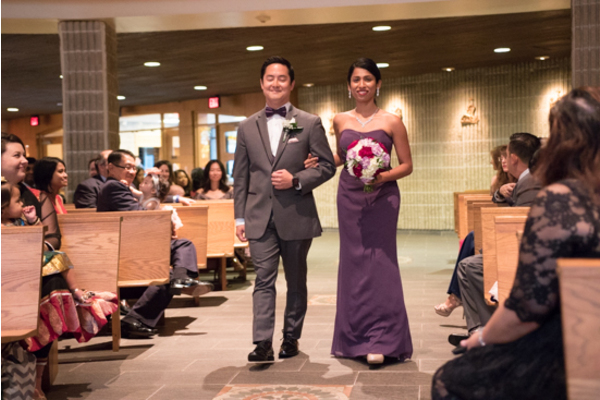 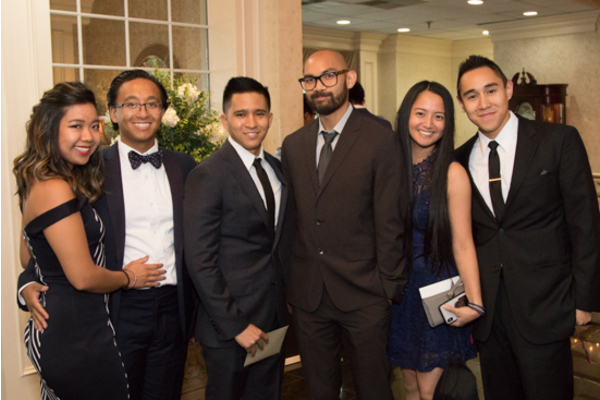 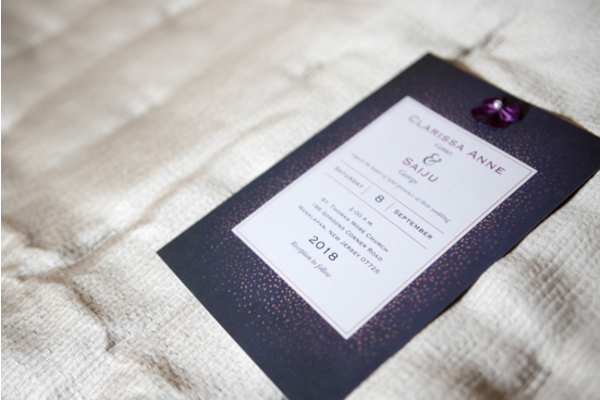 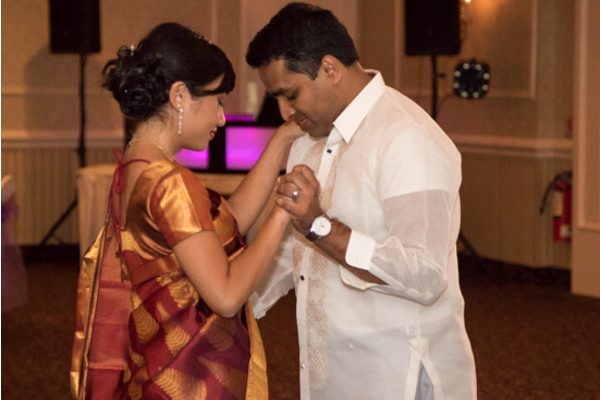 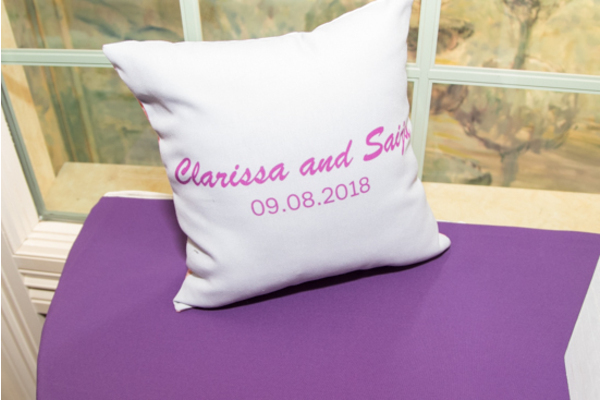 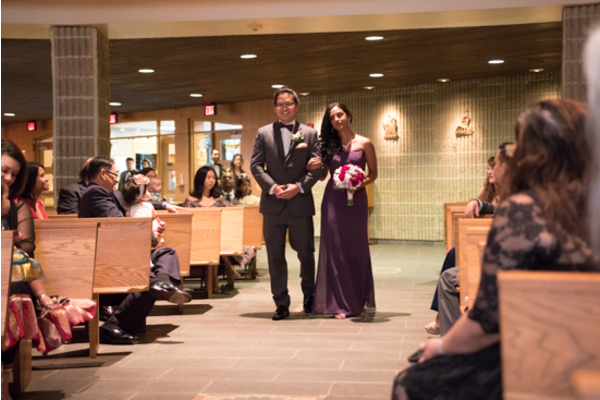 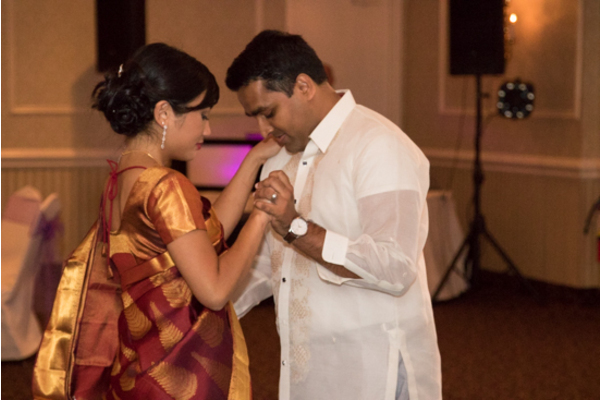 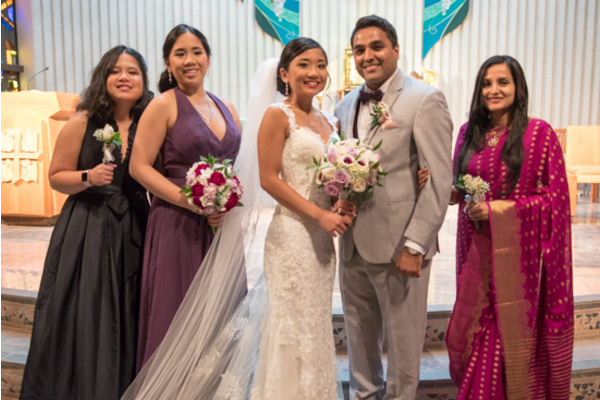 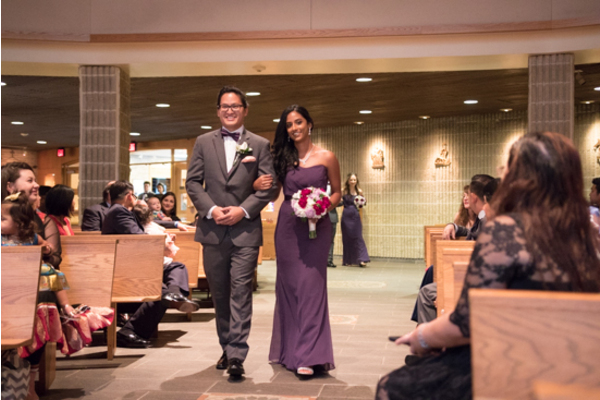 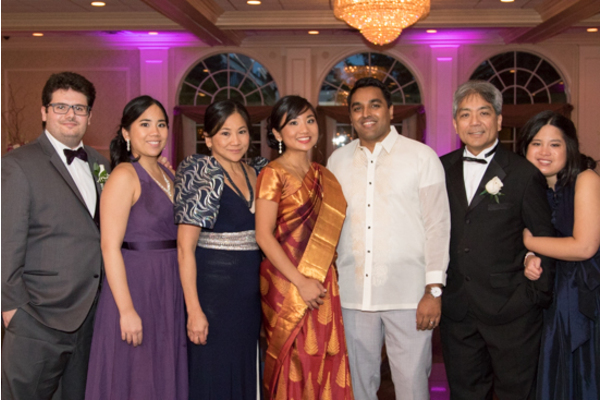 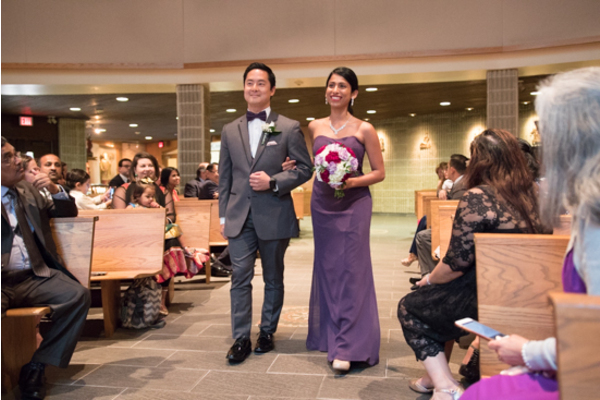 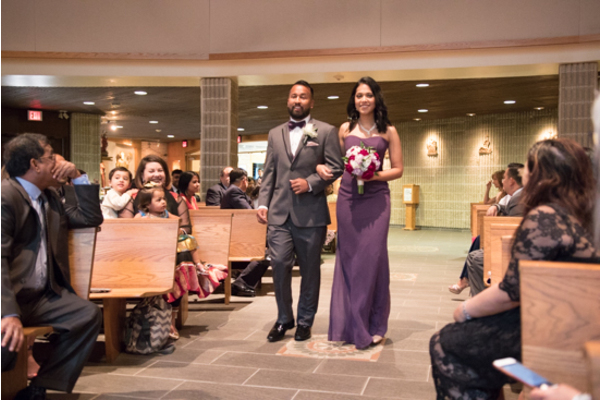 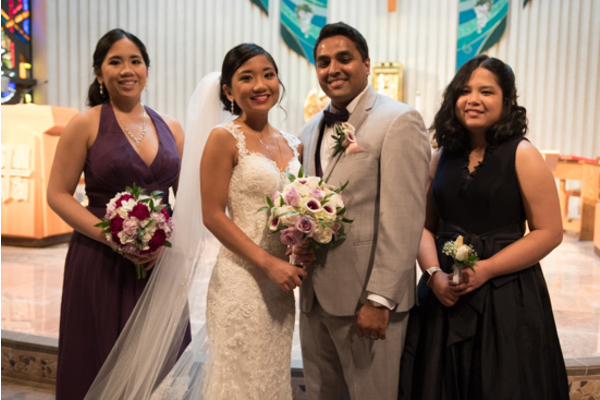 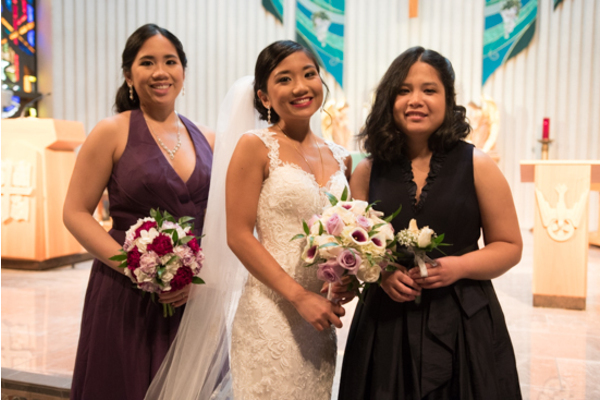 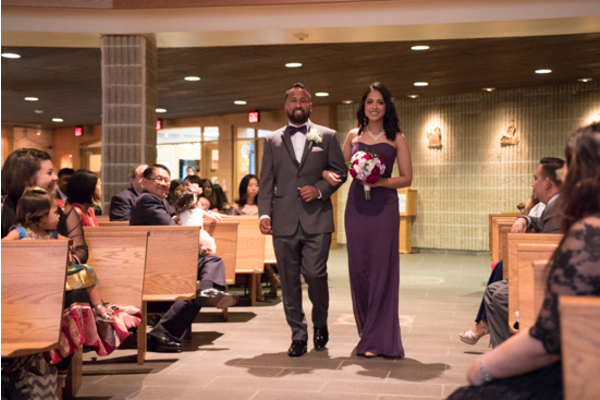 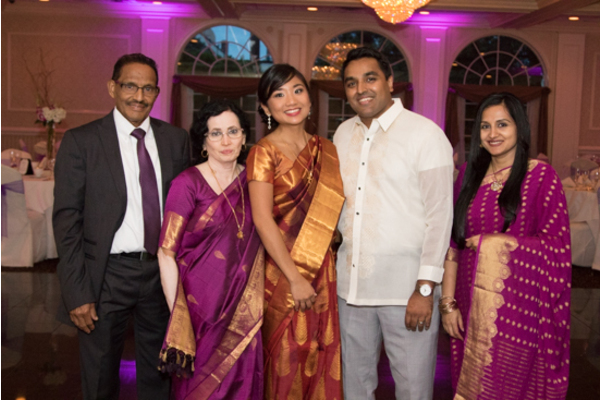 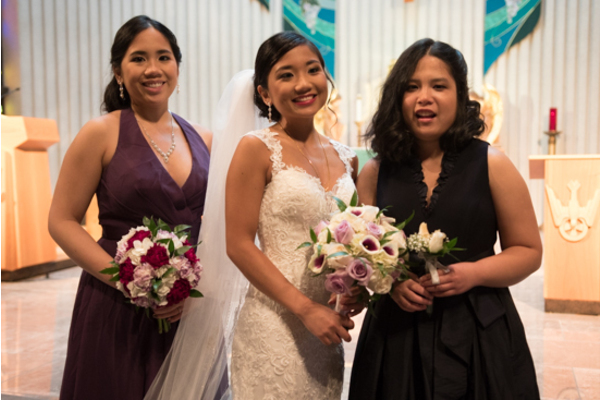 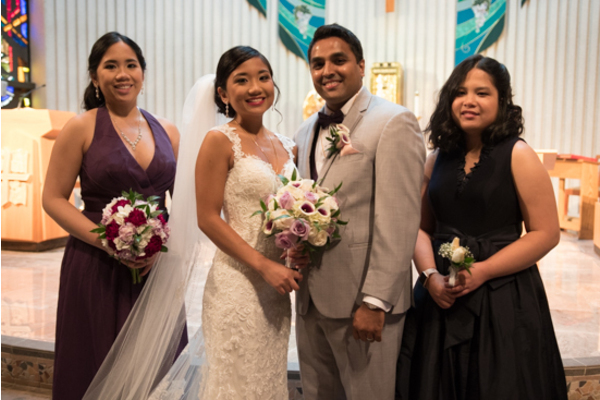 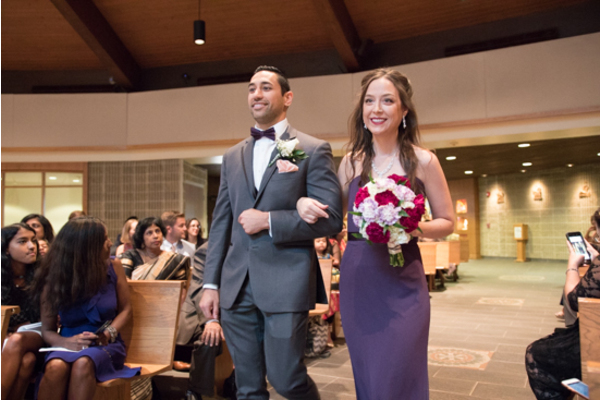 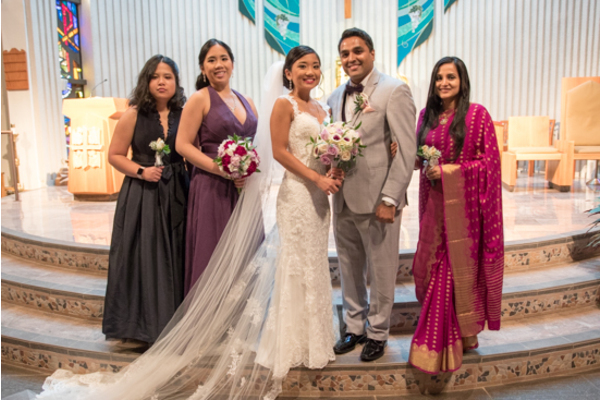 Congratulations, again, to the Clarissa and Saiju! 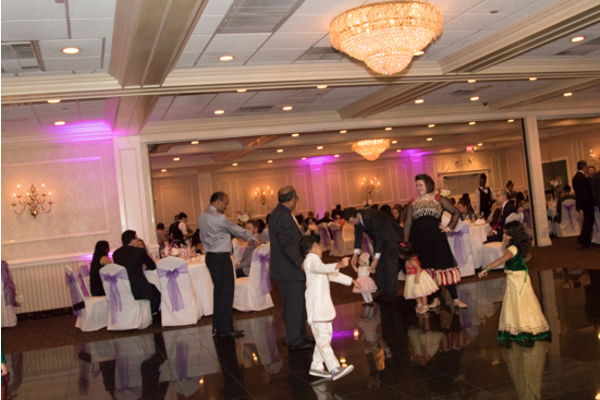 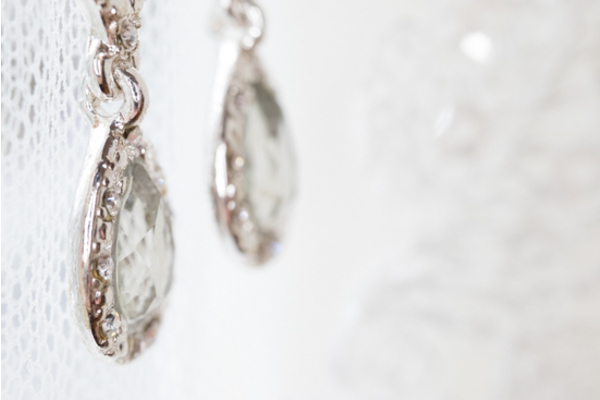 Enchanted Celebrations wishes you the best of luck in all of your future endeavors!